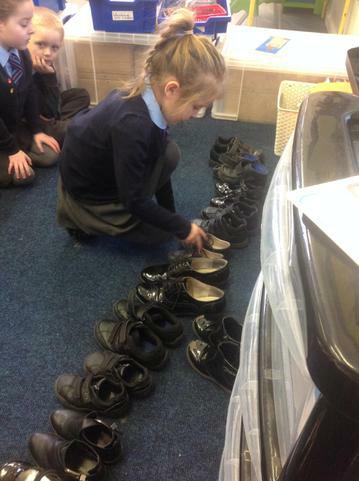 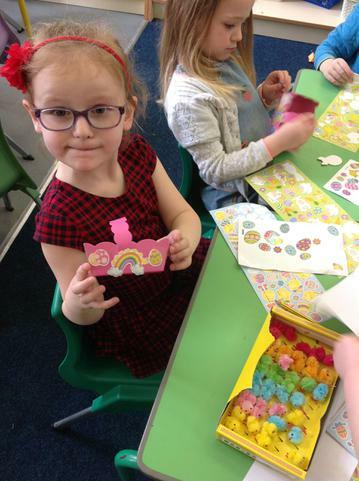 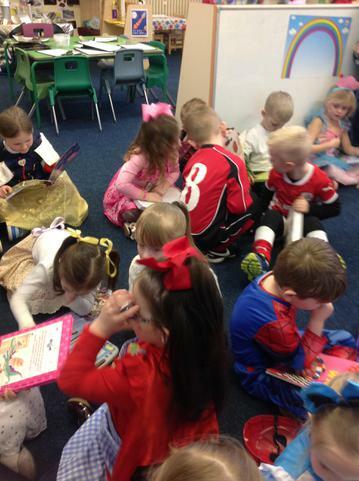 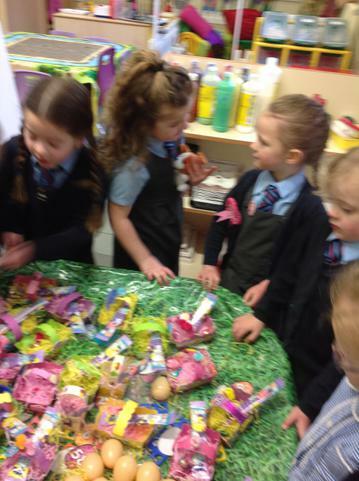 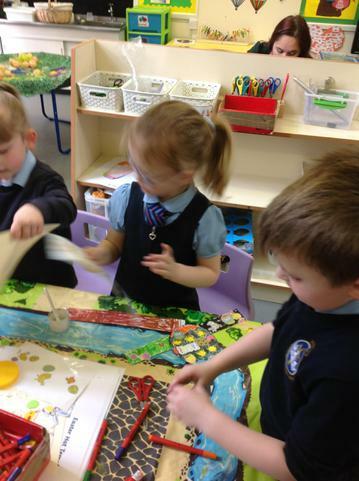 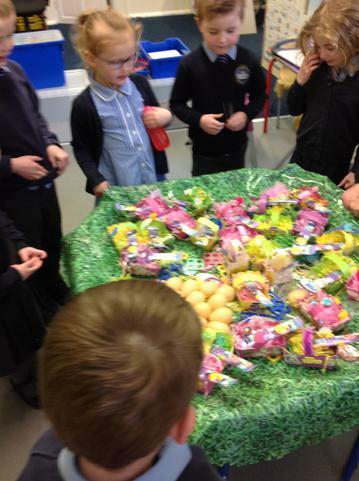 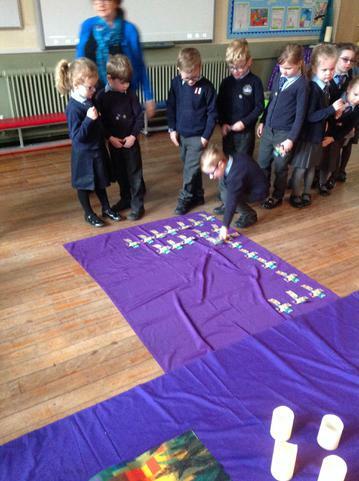 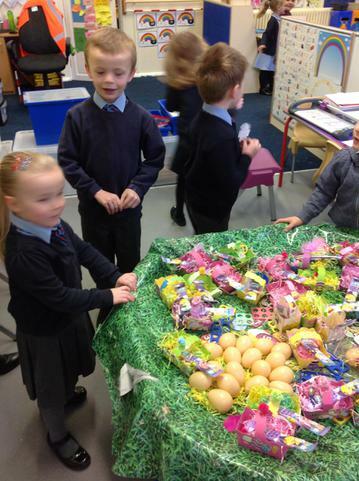 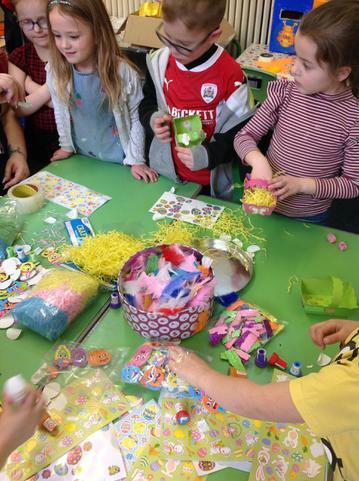 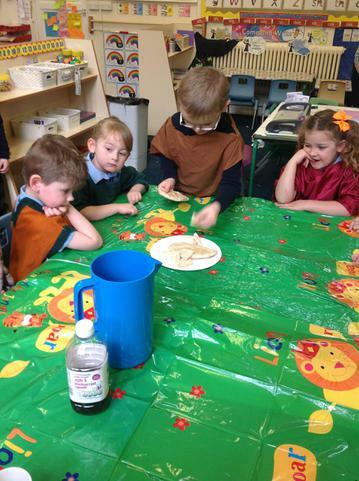 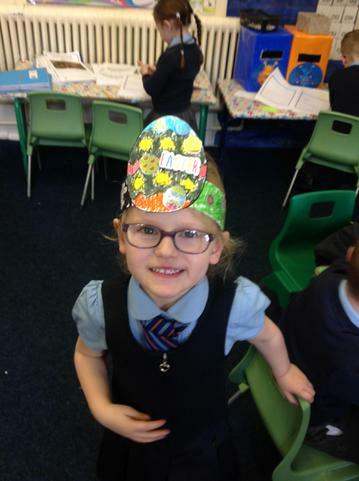 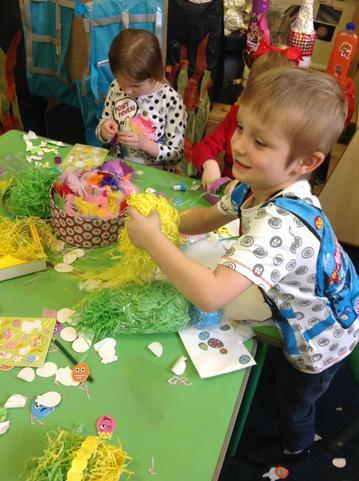 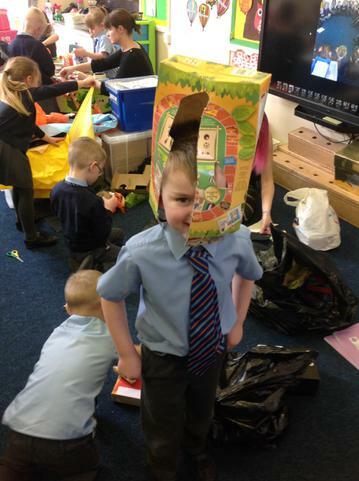 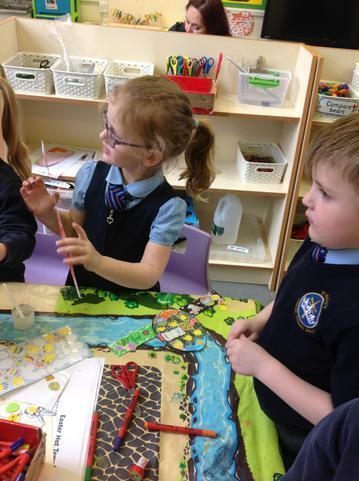 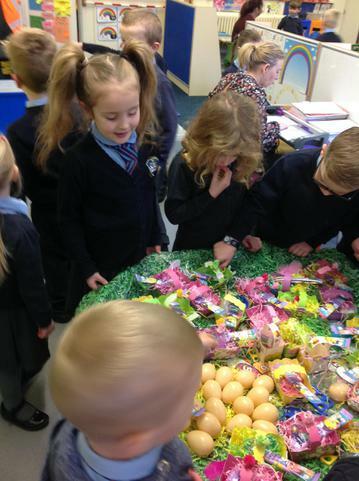 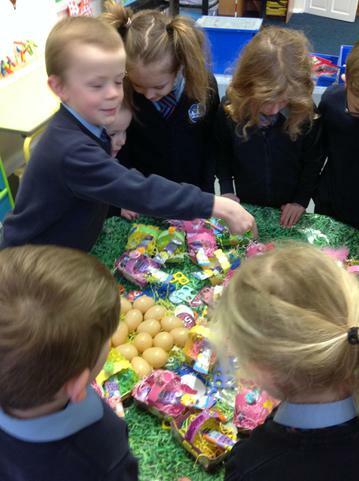 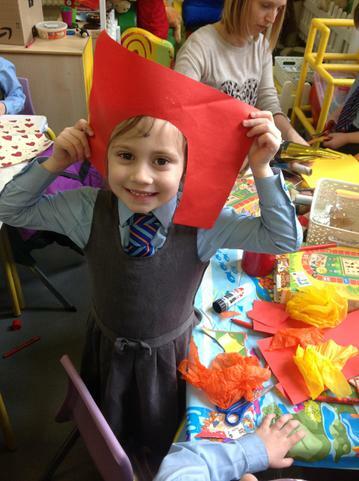 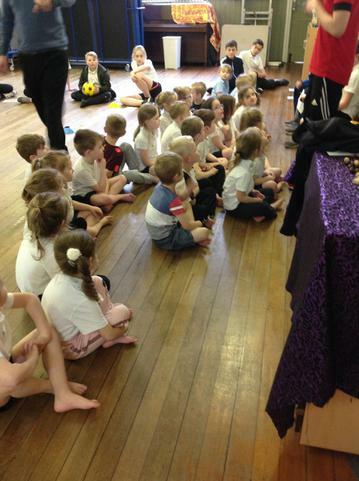 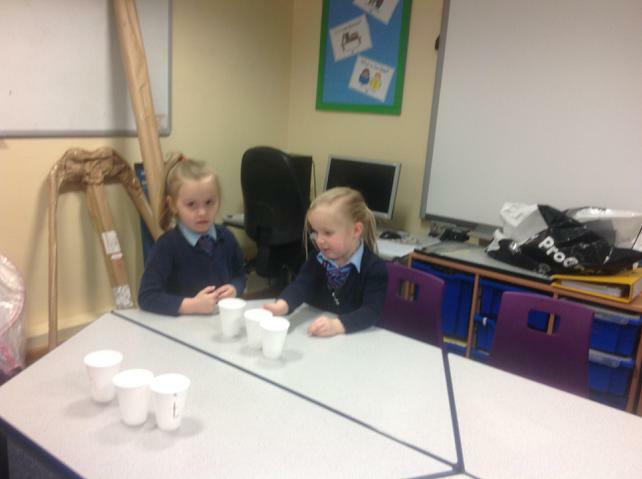 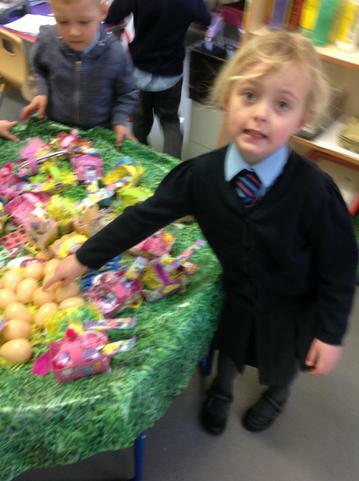 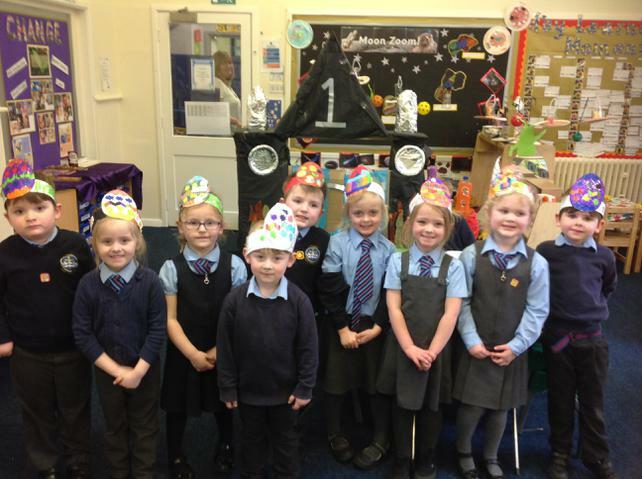 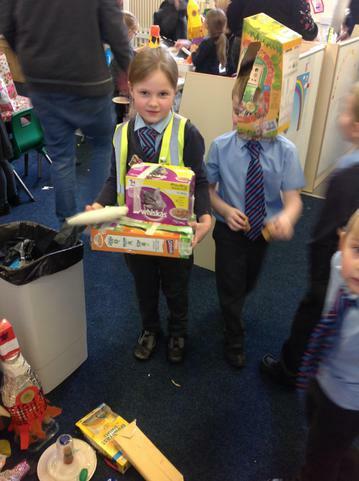 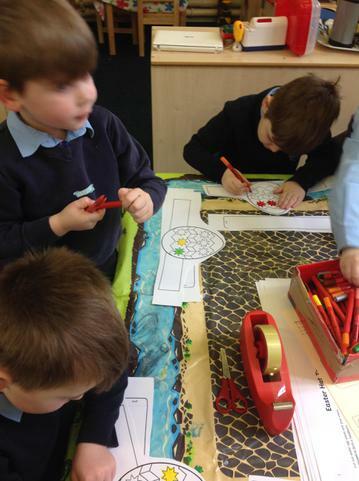 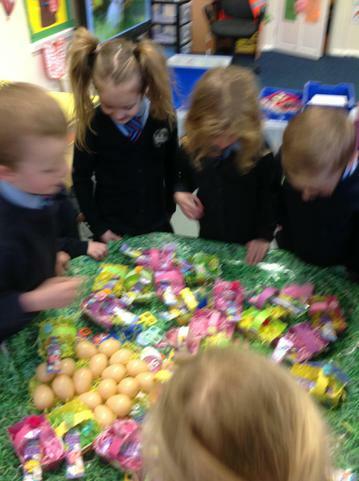 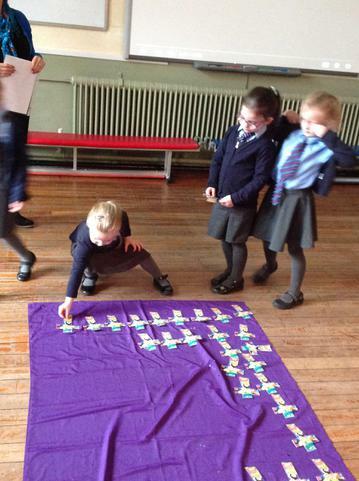 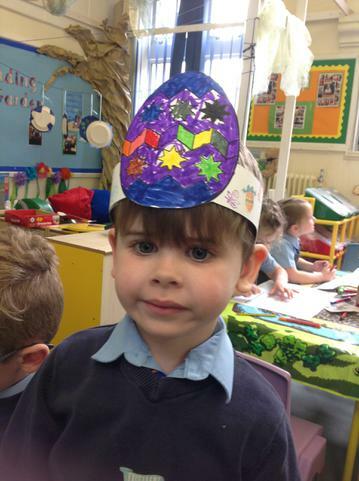 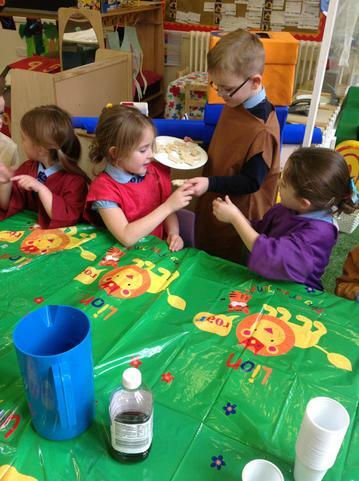 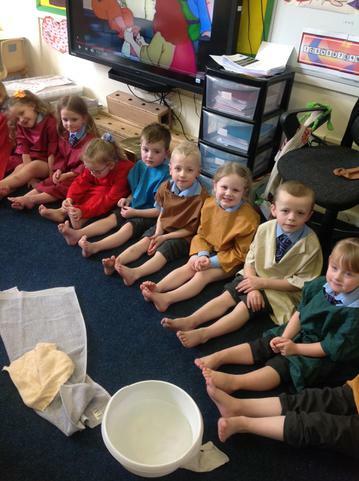 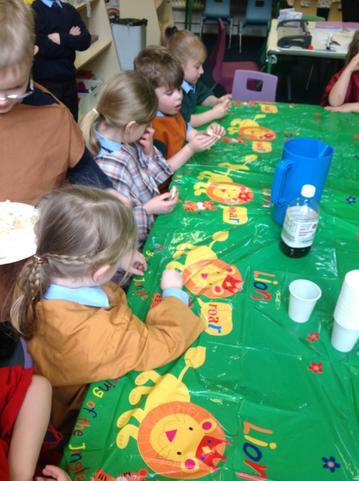 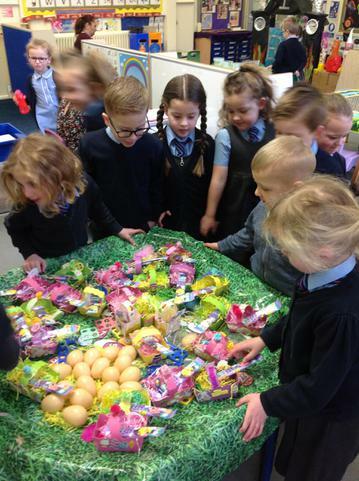 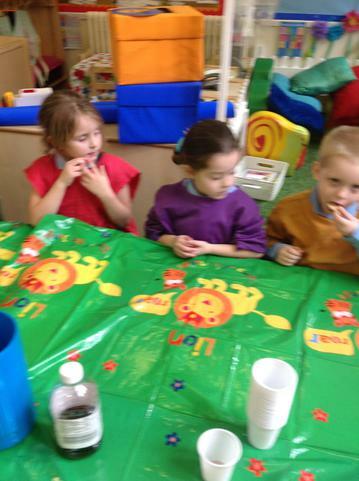 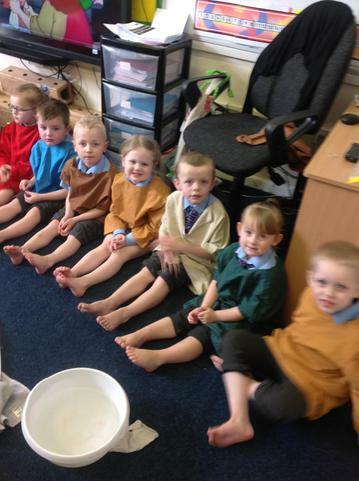 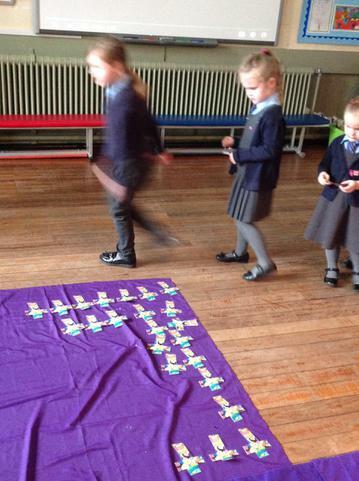 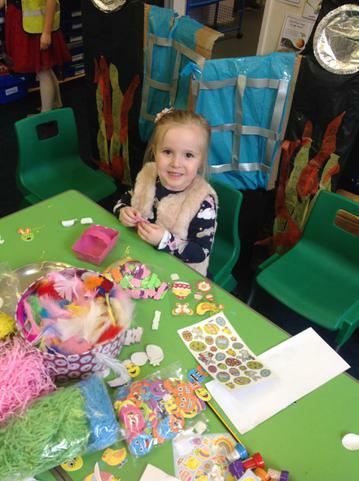 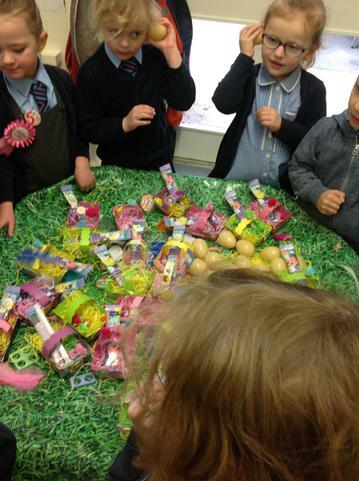 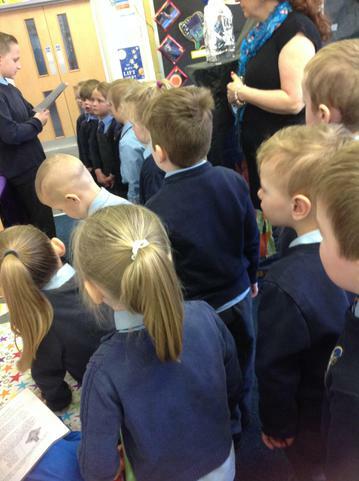 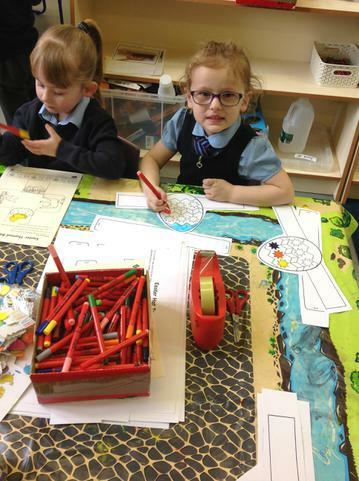 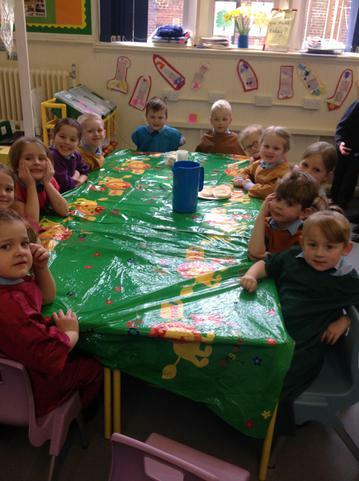 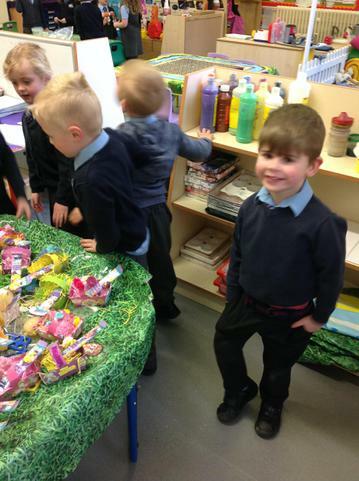 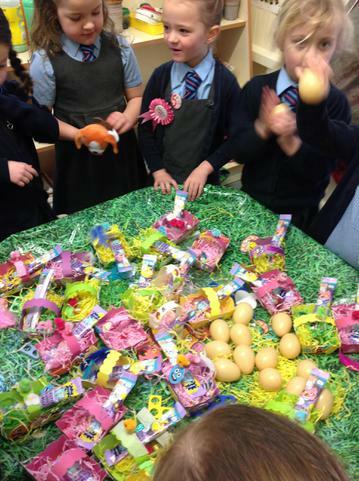 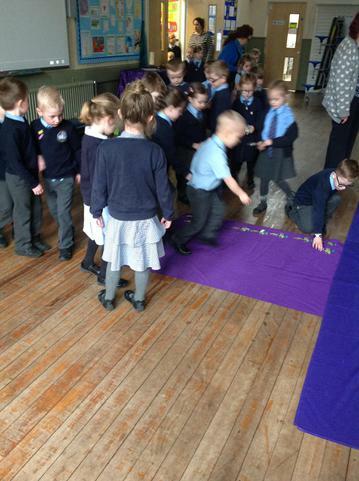 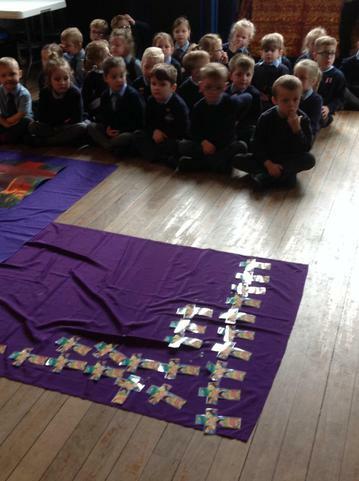 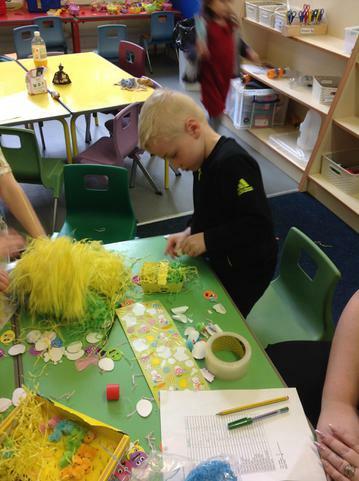 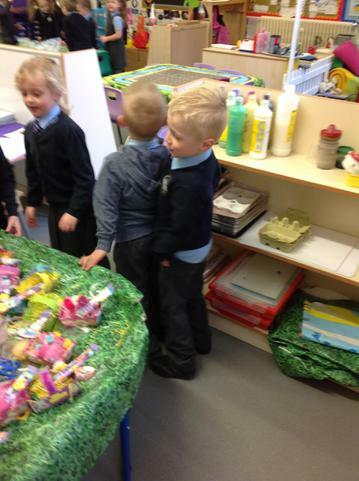 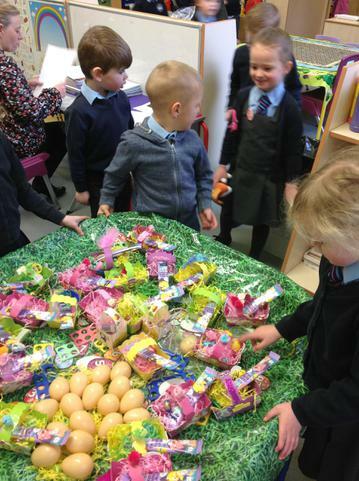 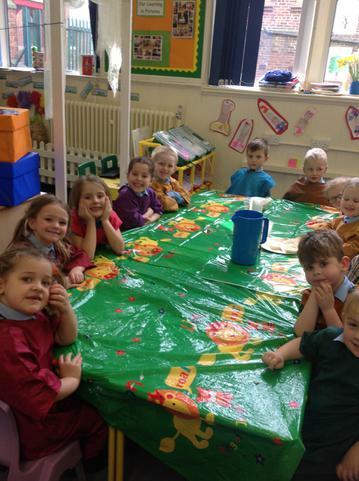 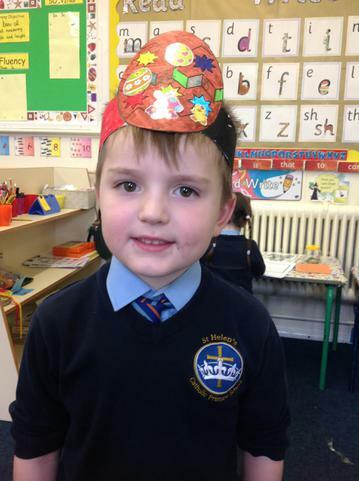 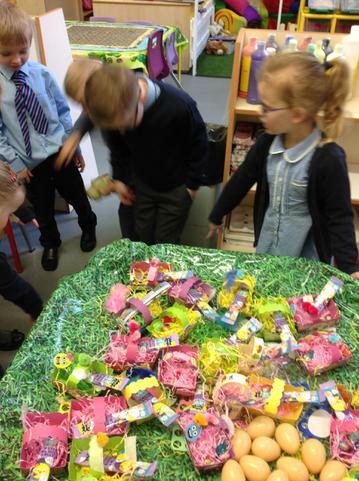 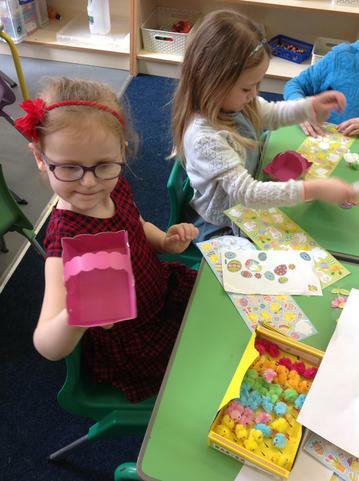 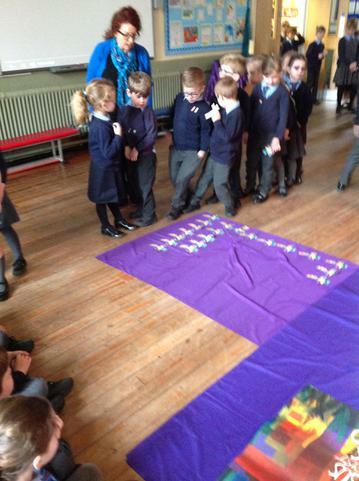 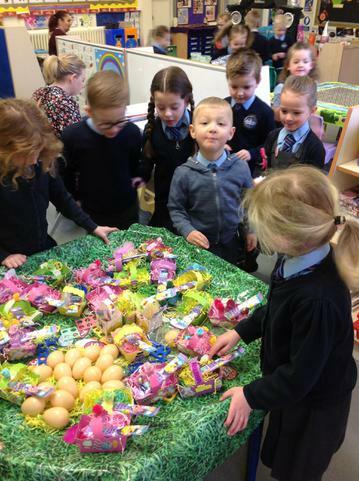 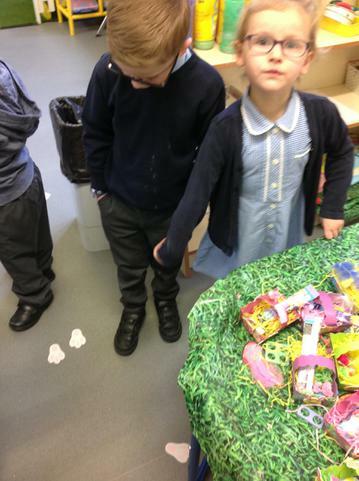 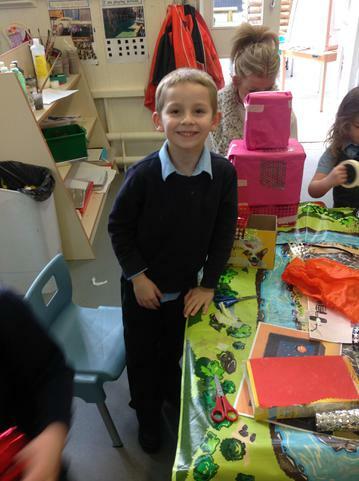 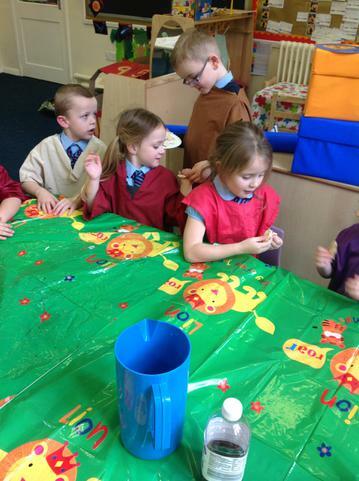 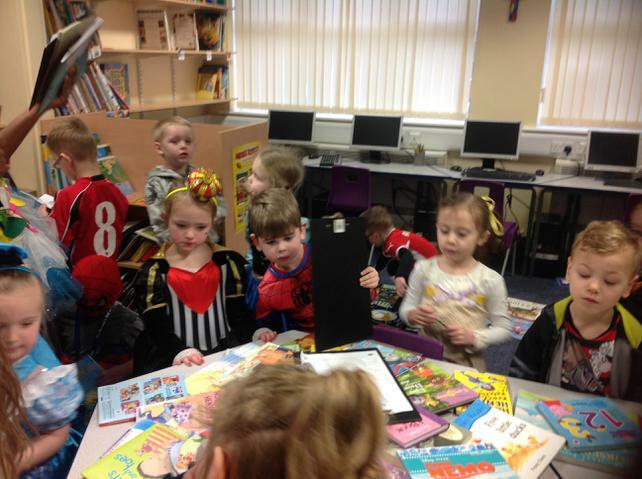 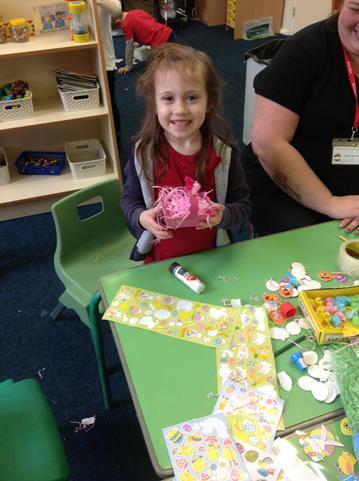 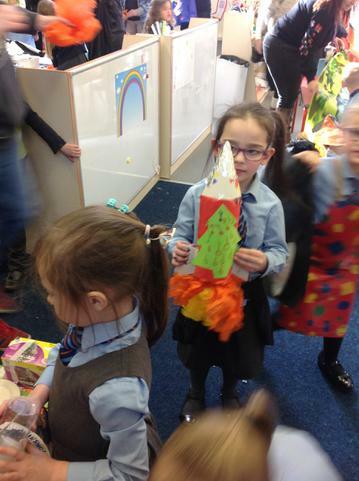 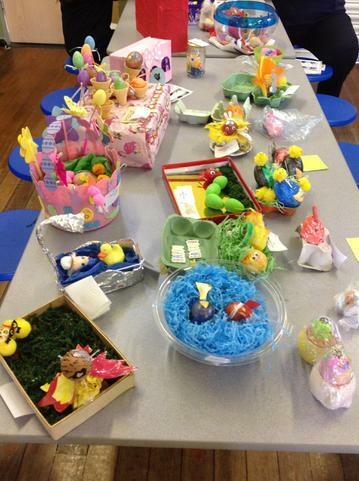 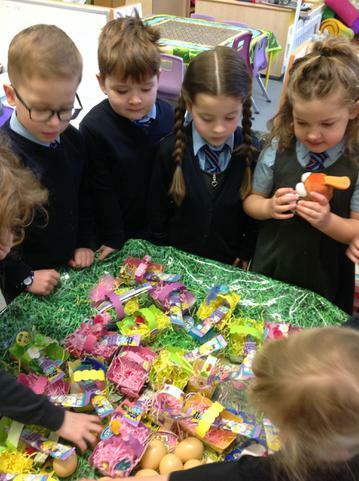 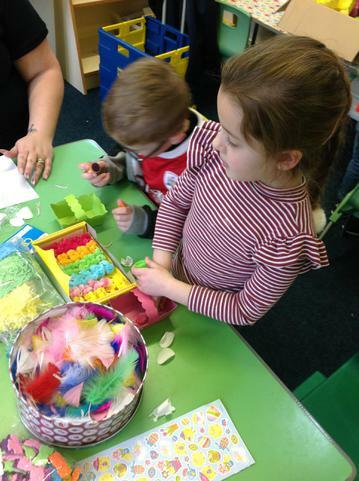 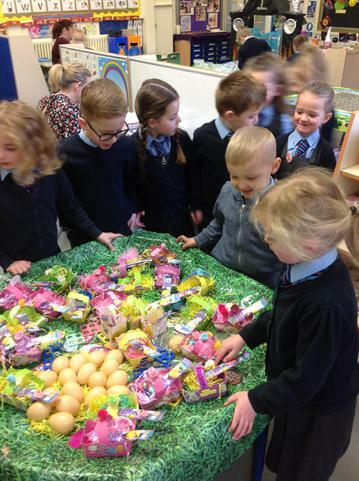 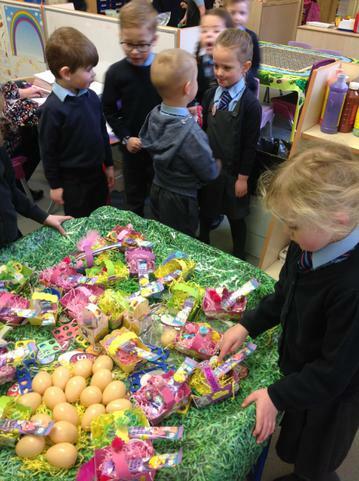 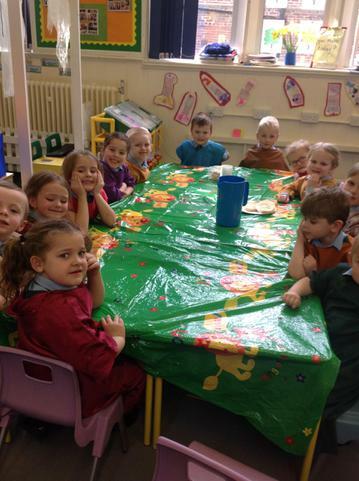 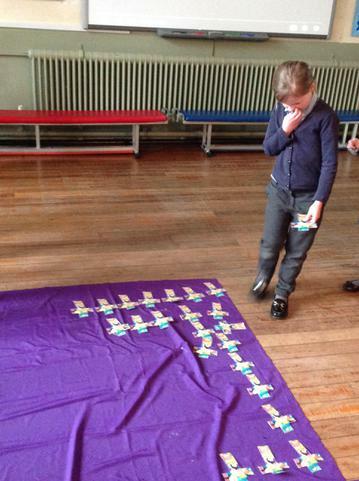 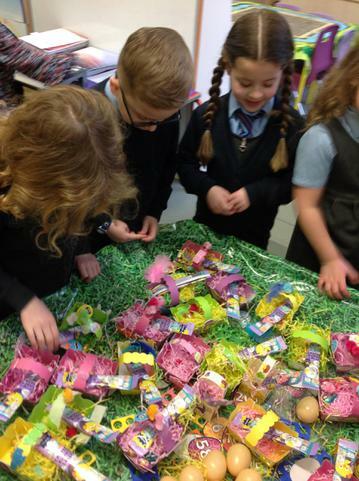 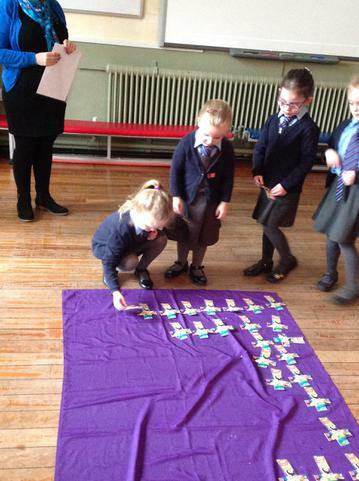 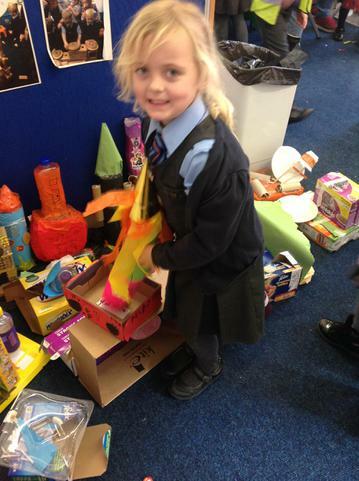 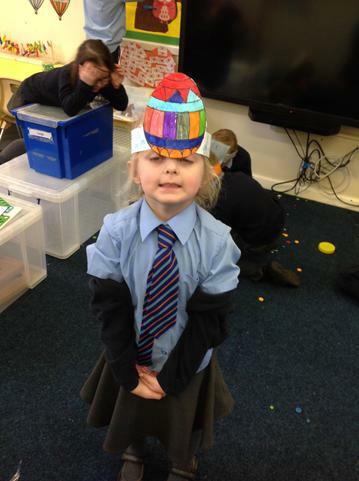 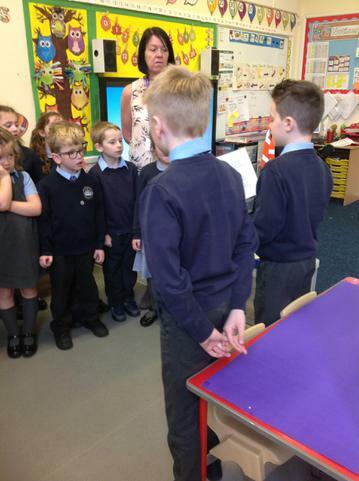 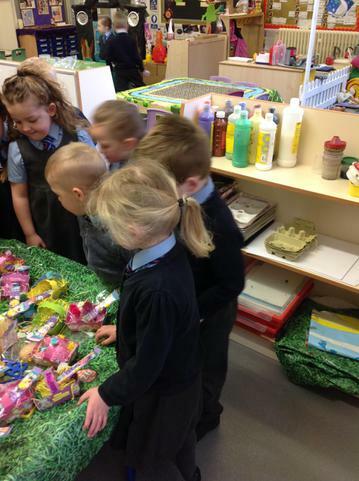 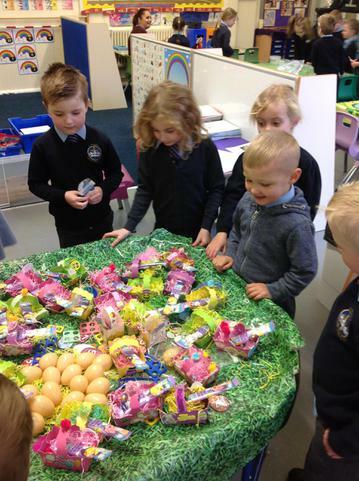 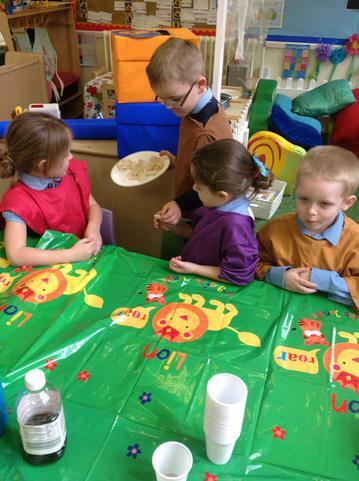 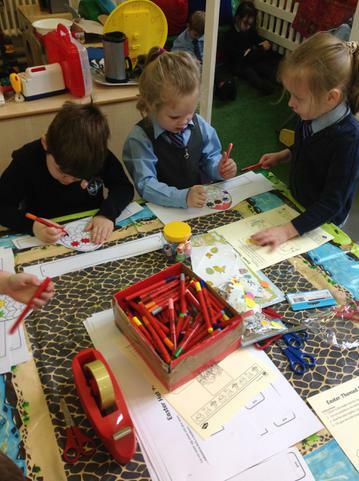 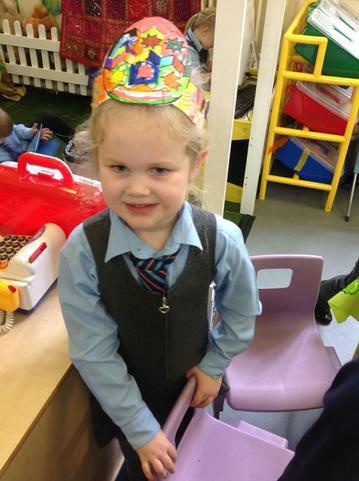 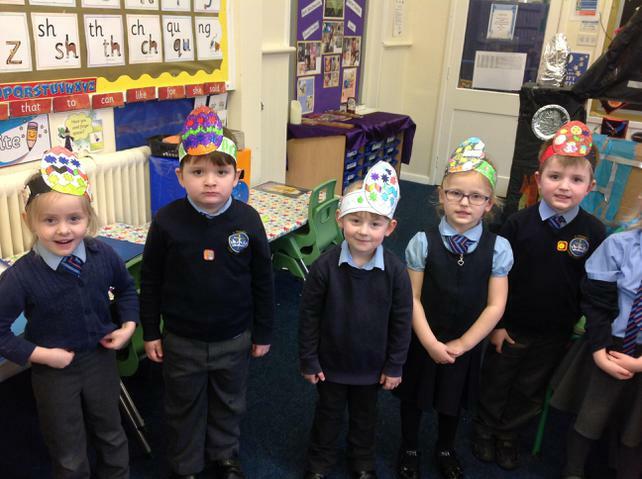 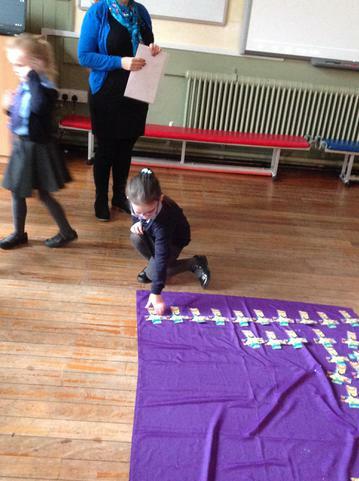 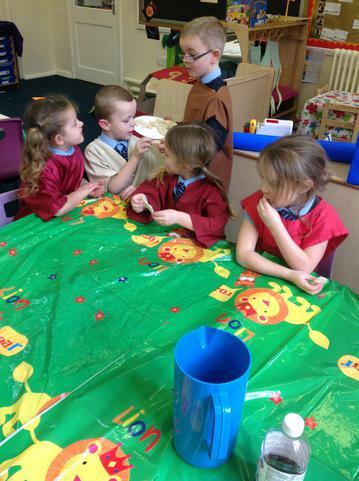 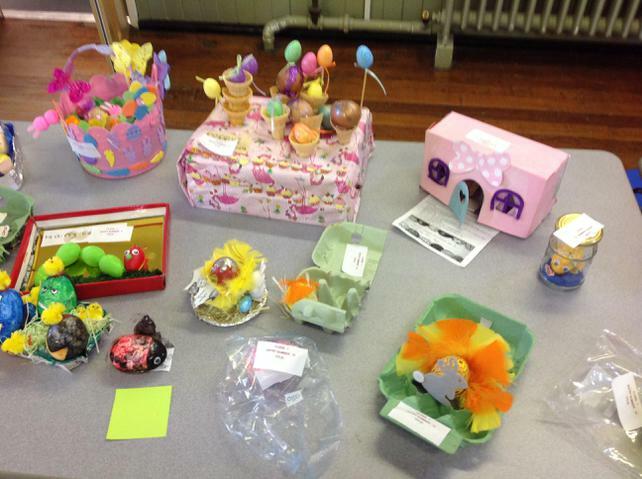 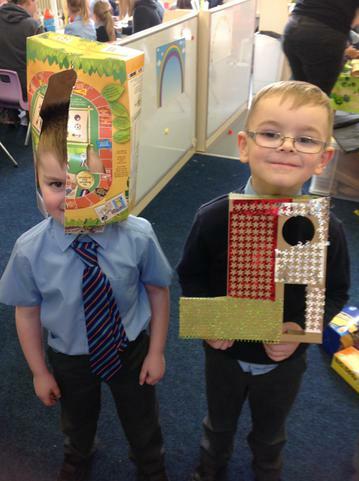 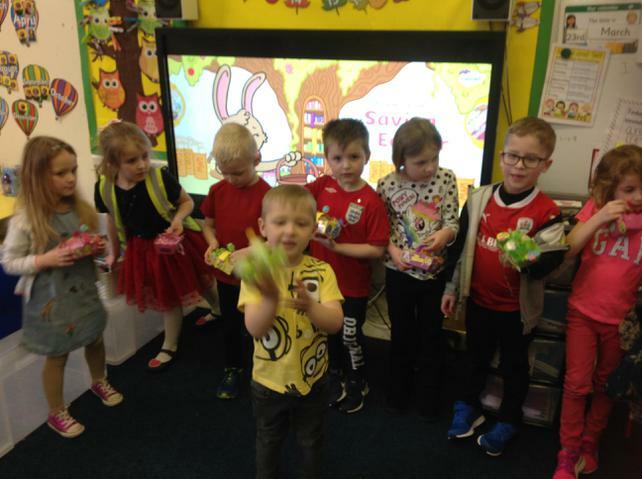 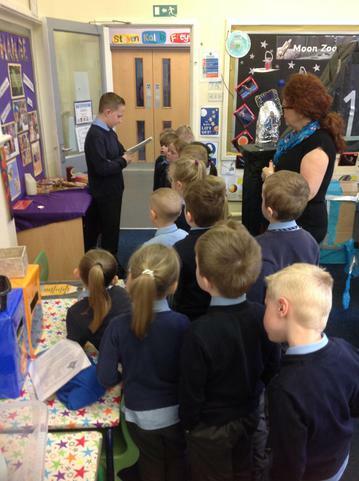 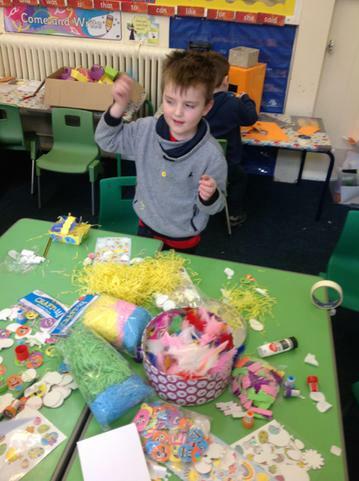 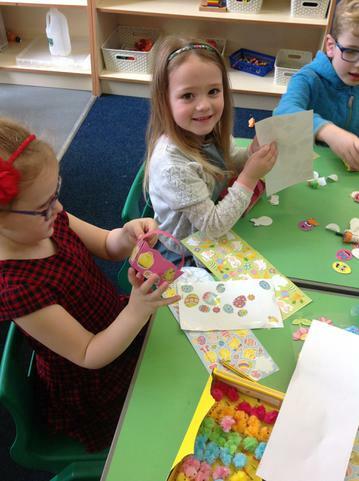 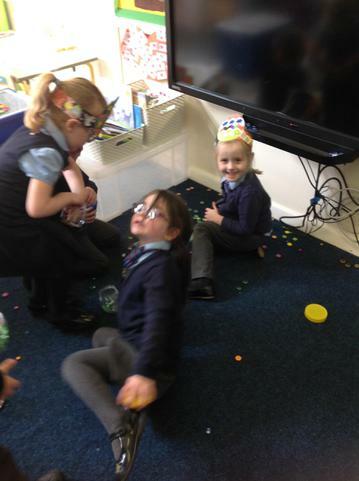 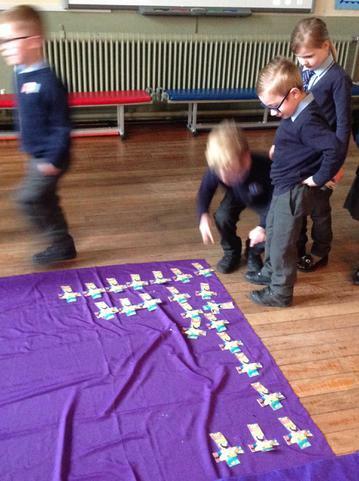 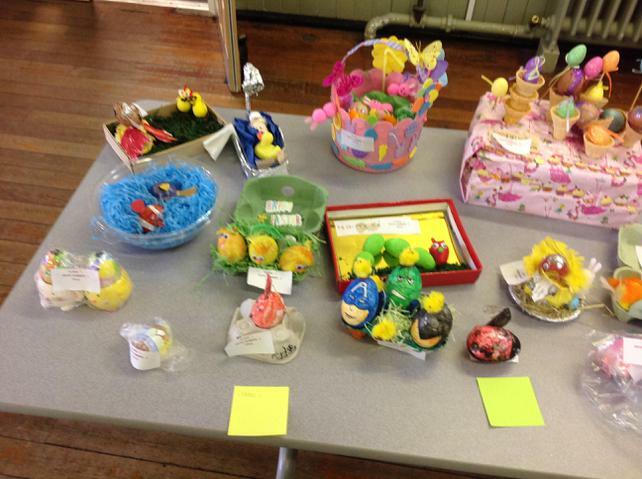 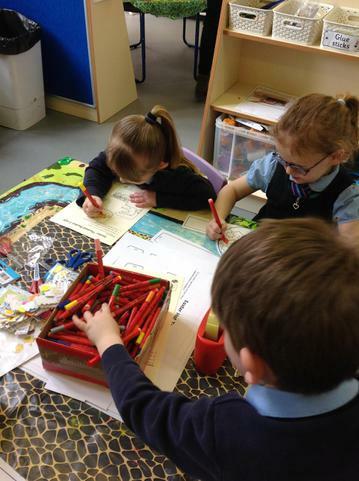 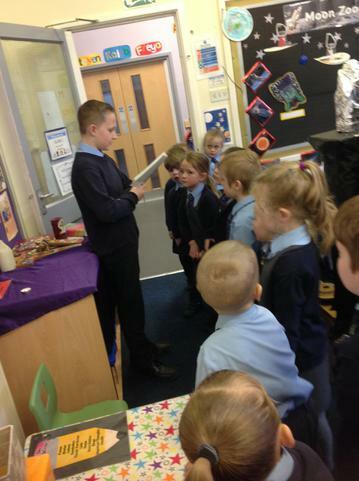 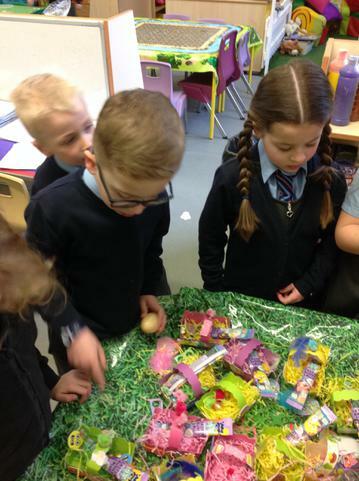 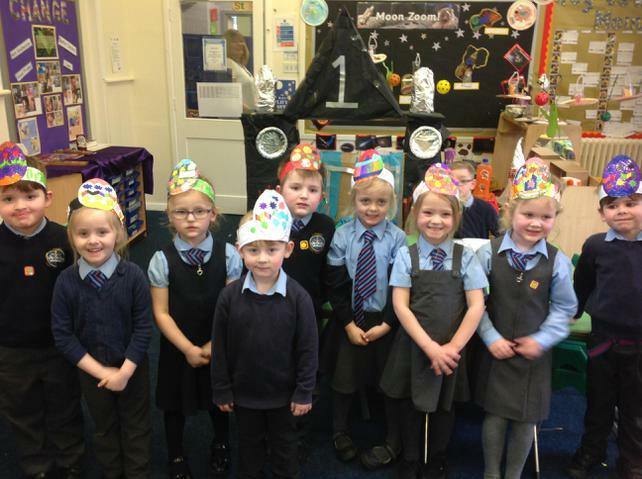 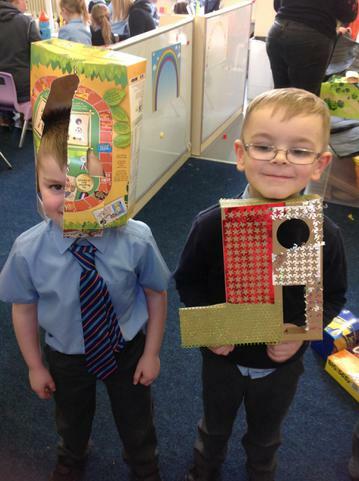 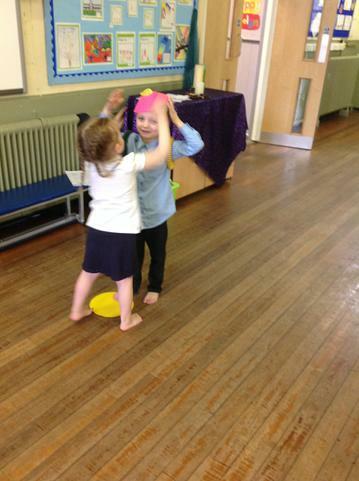 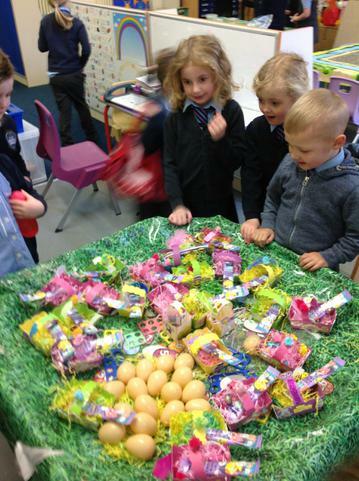 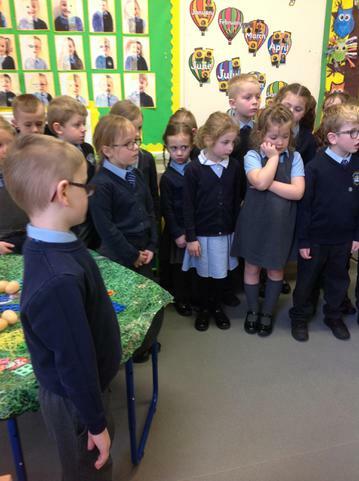 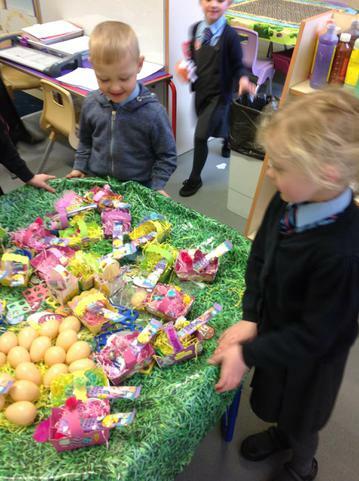 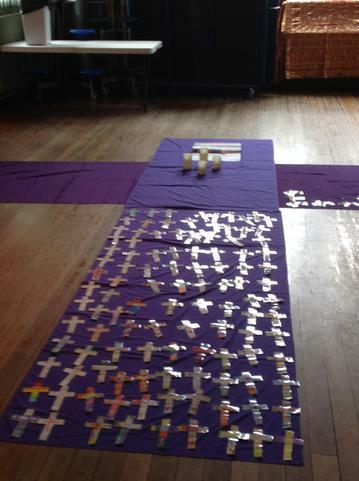 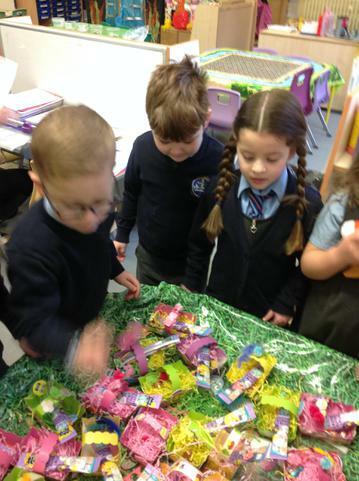 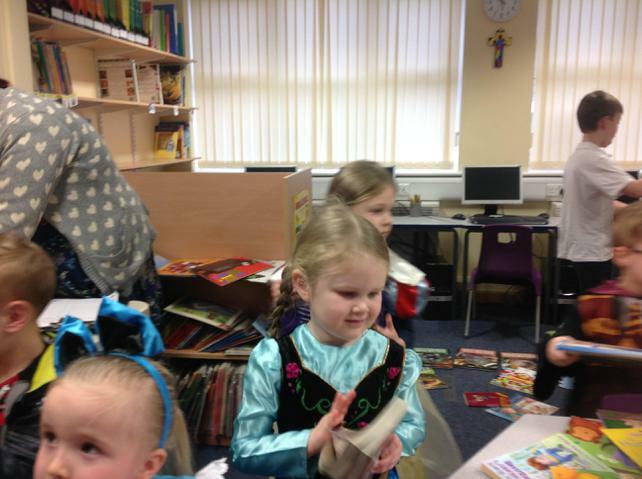 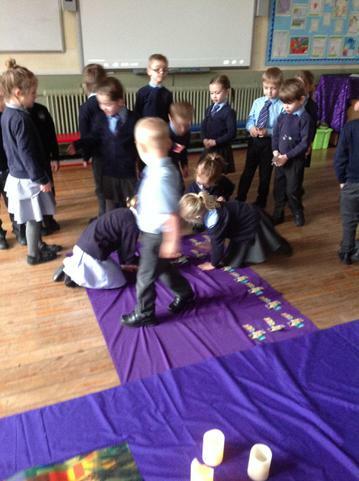 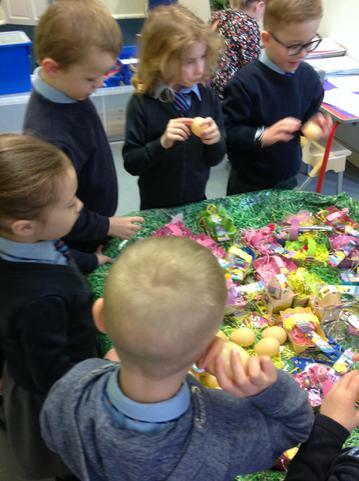 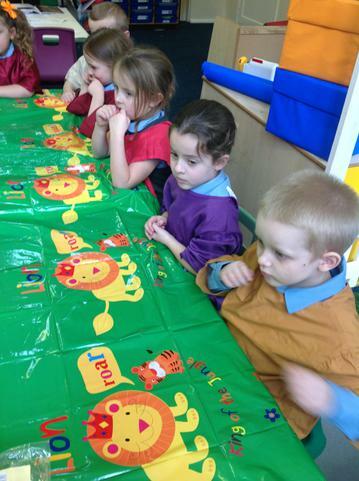 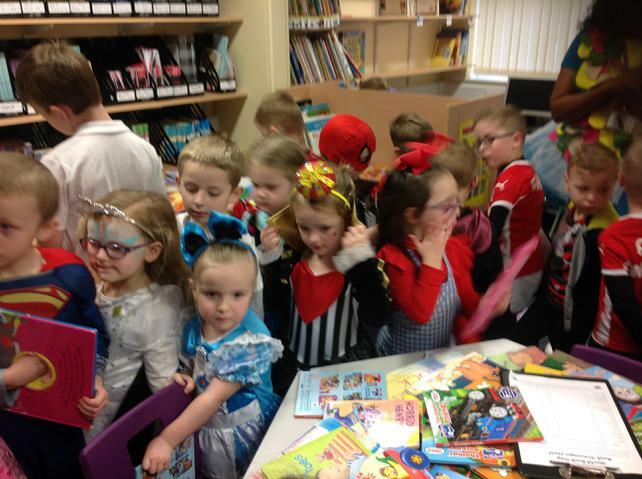 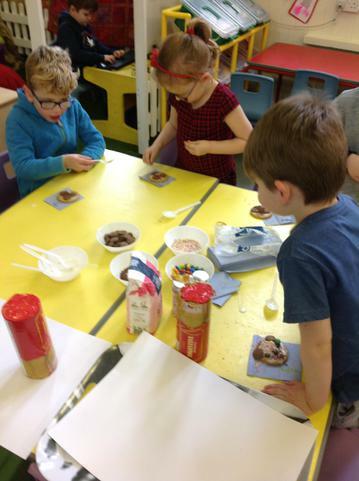 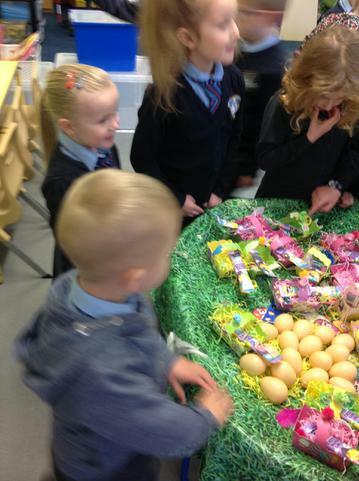 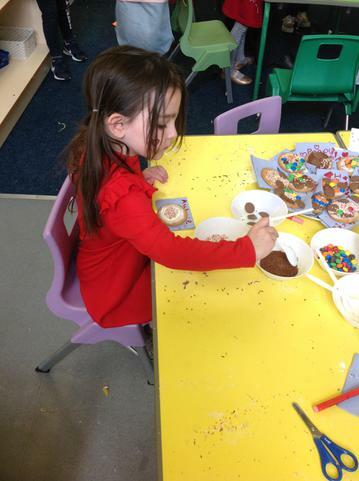 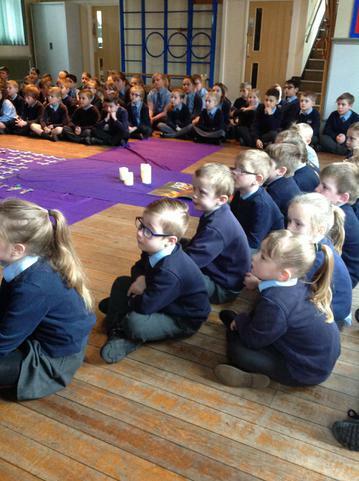 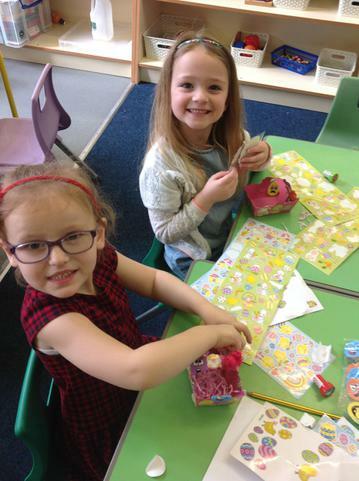 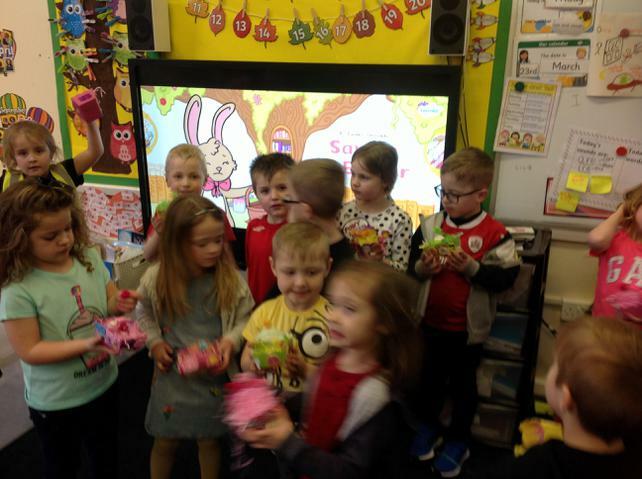 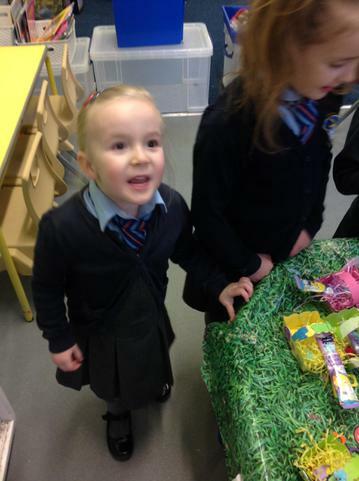 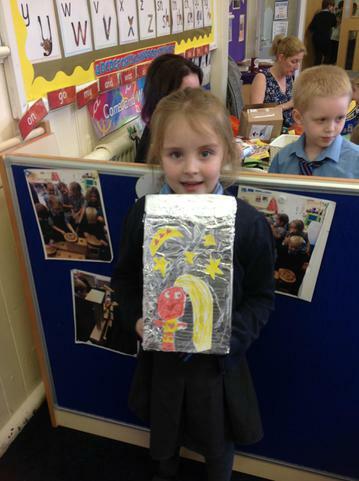 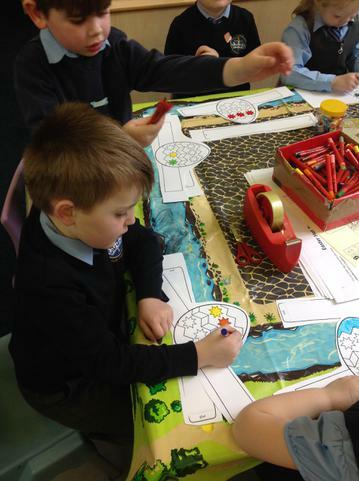 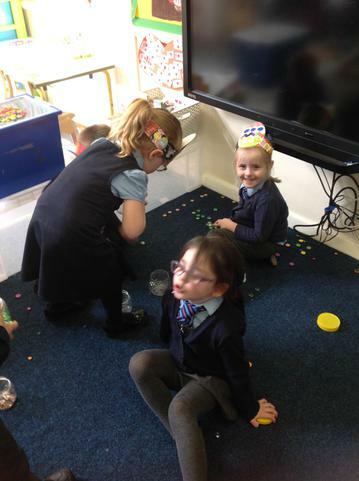 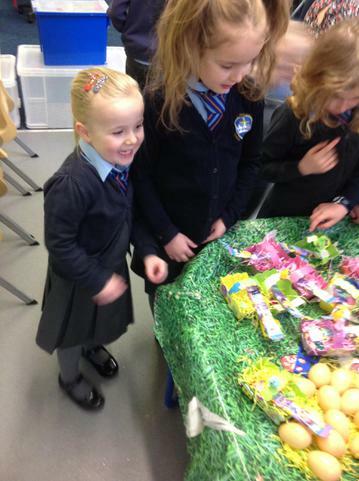 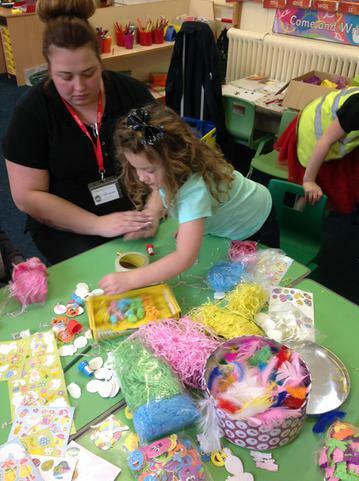 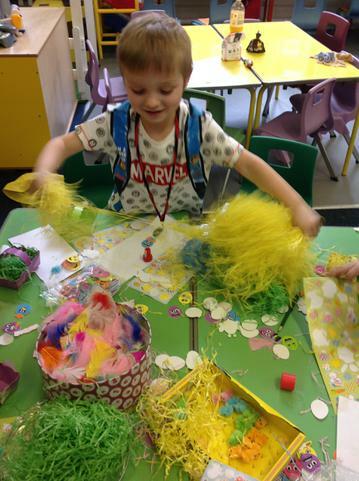 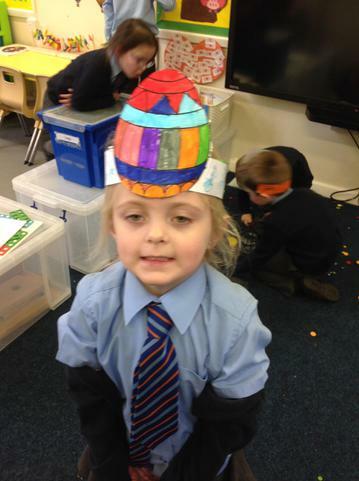 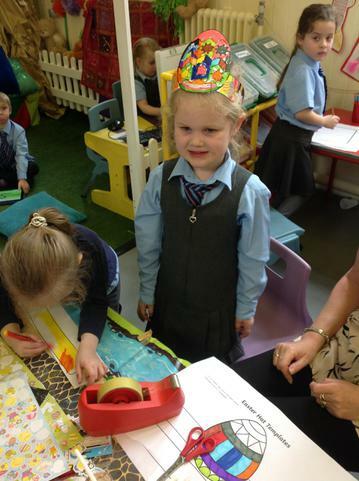 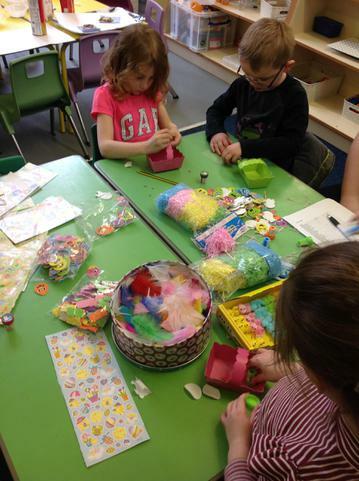 Holy Week- This week we have enjoyed taking part in different Easter themed activities. 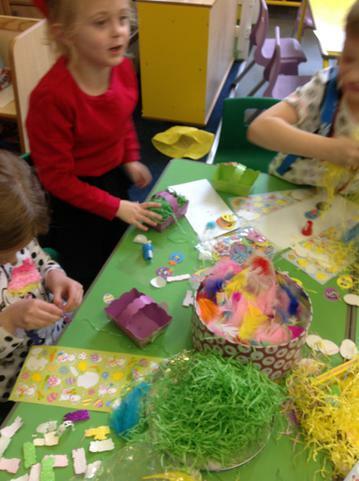 We are looking forward to the Easter break and we will come back refreshed, ready to create more memories. 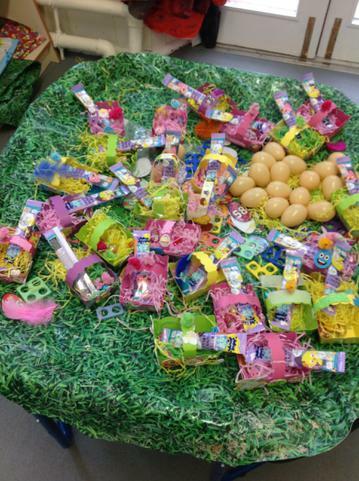 Because we just love Easter so much!!!! 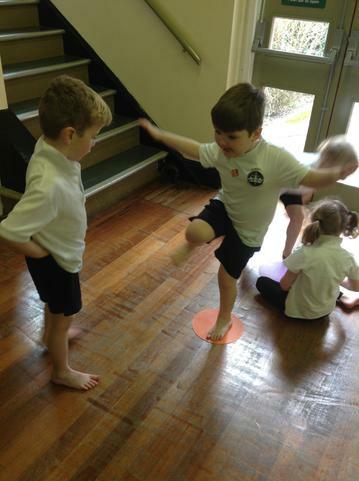 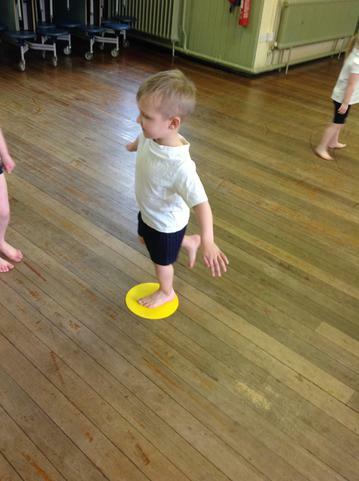 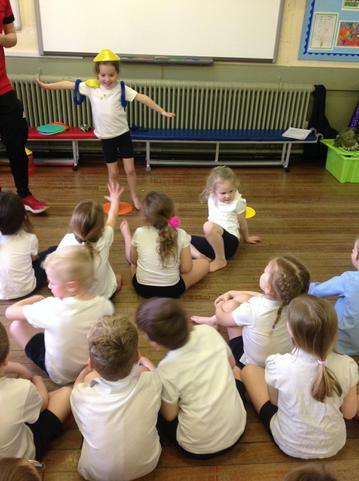 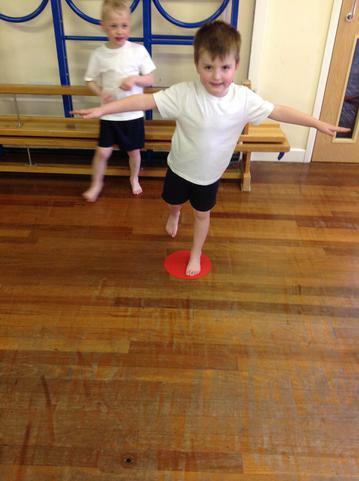 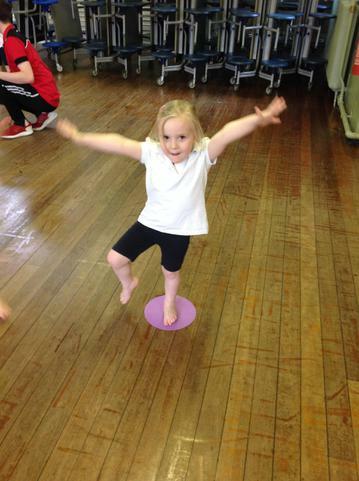 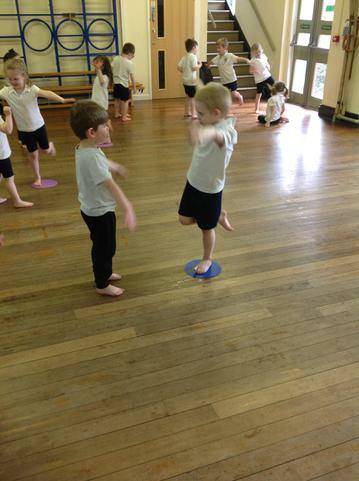 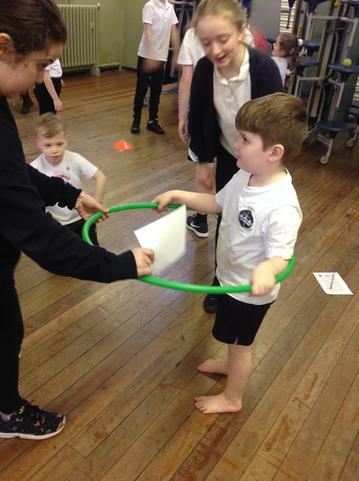 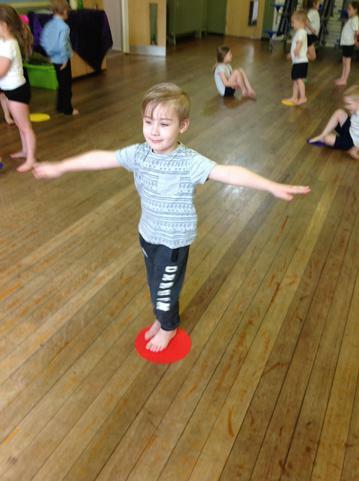 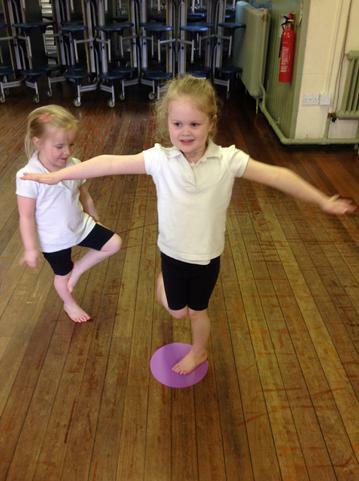 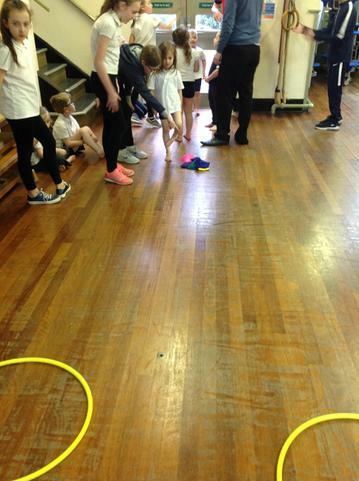 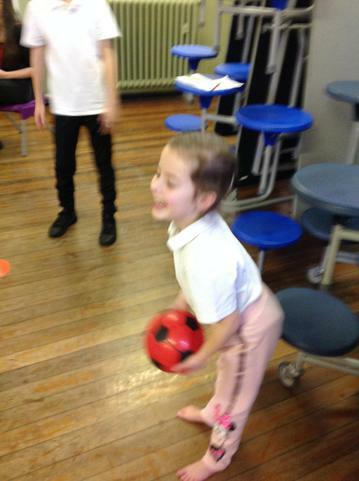 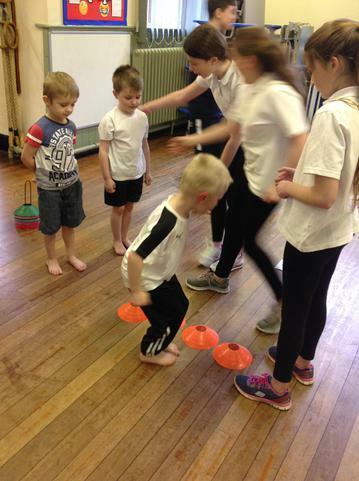 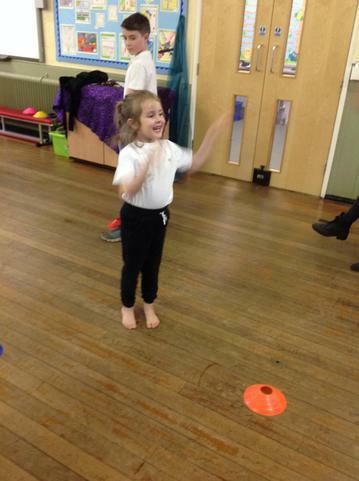 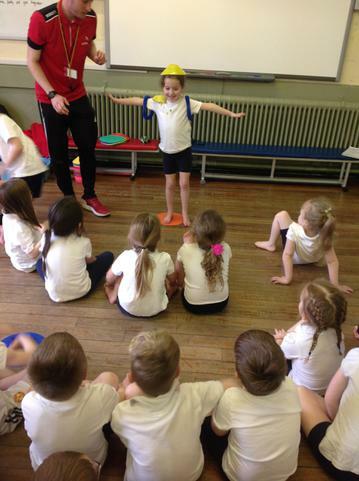 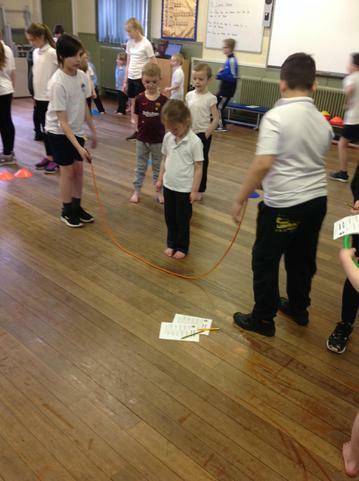 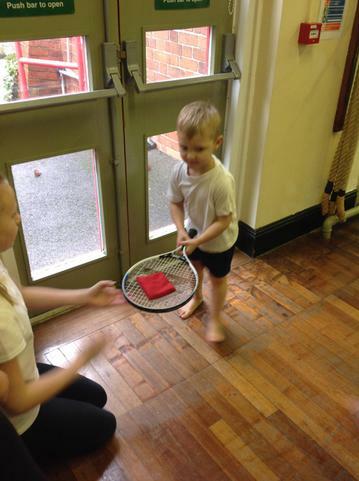 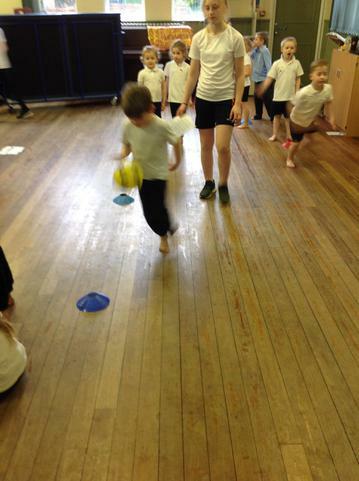 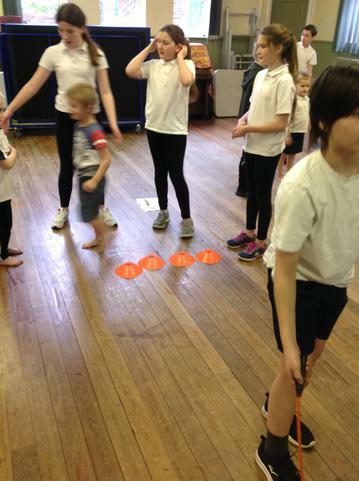 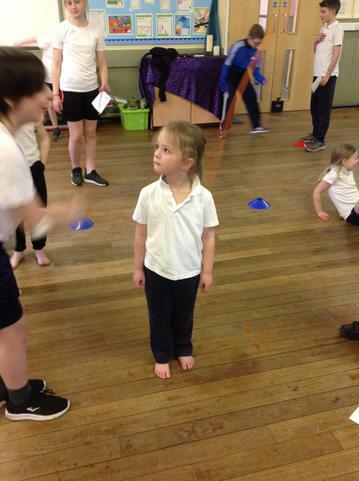 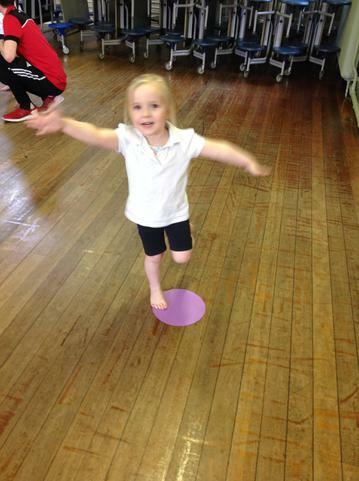 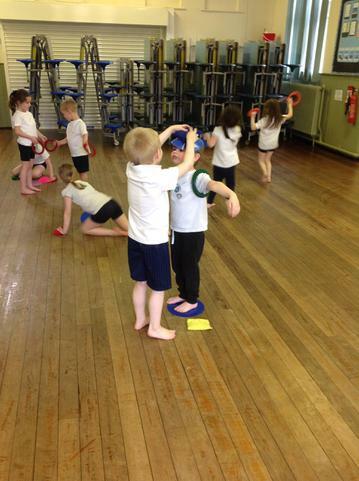 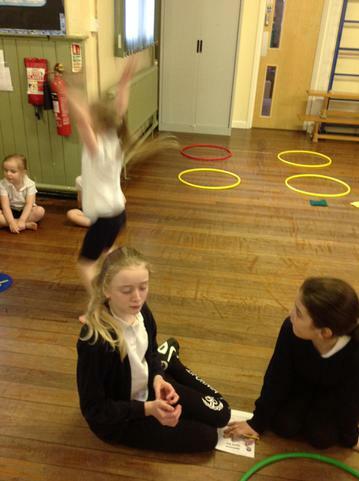 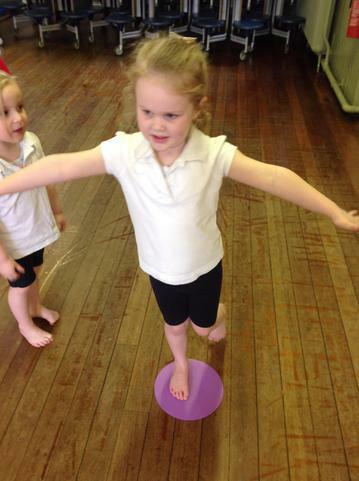 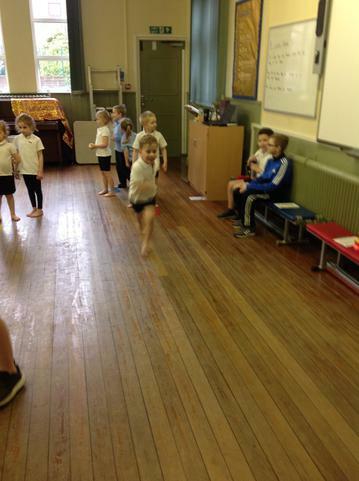 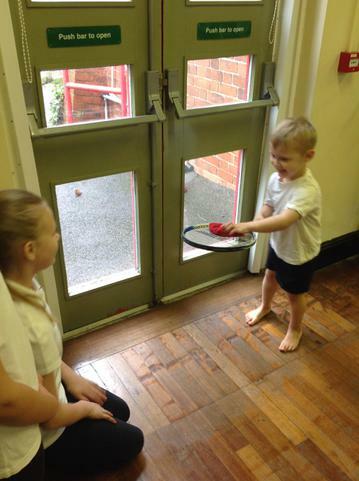 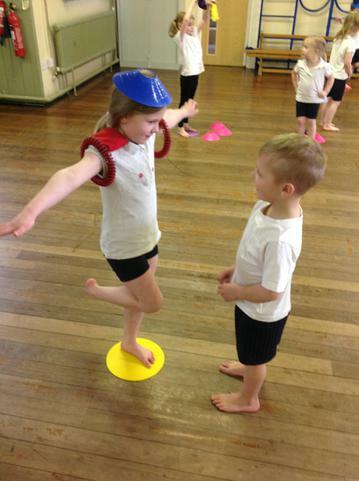 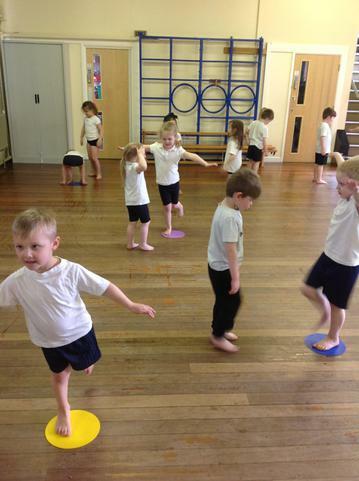 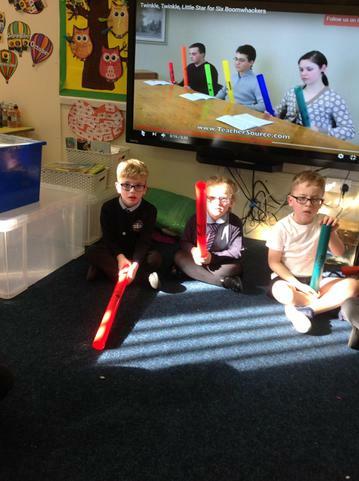 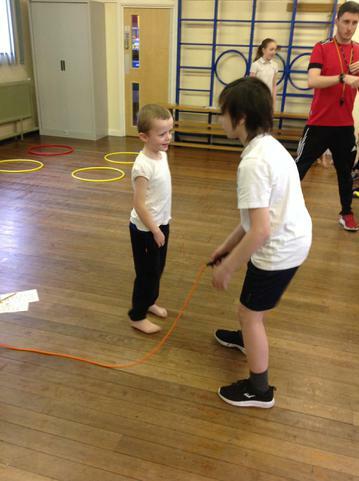 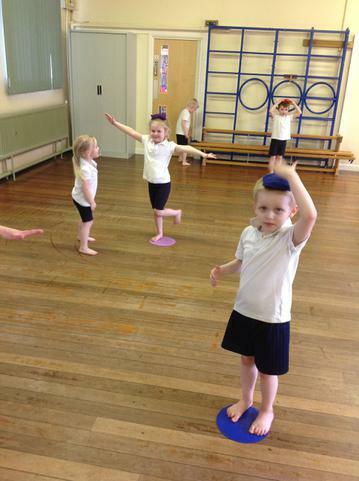 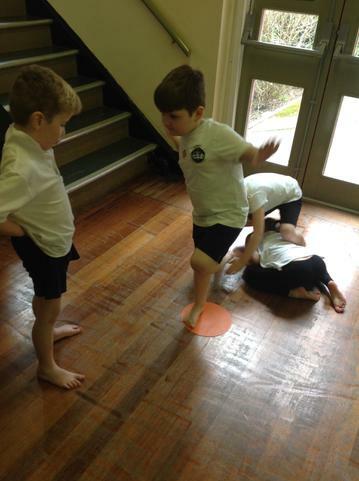 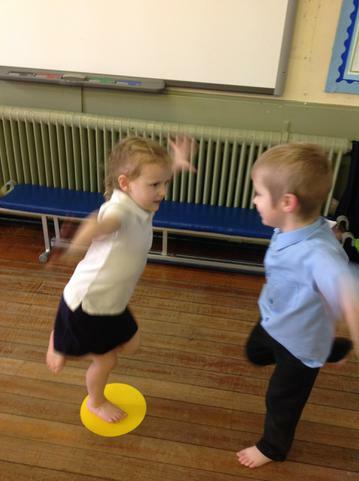 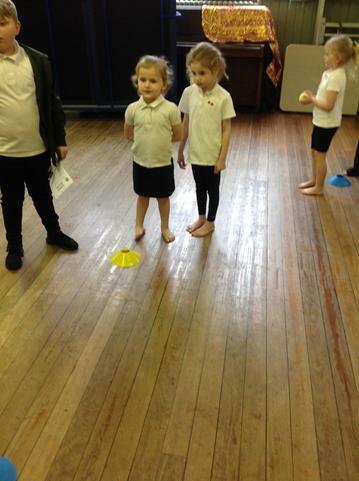 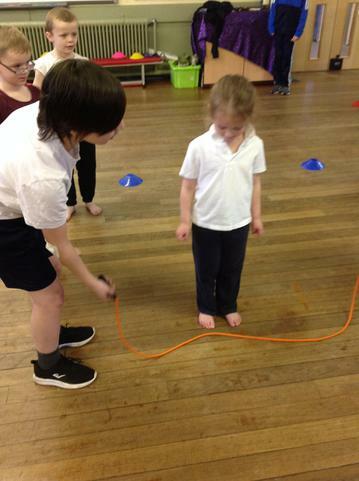 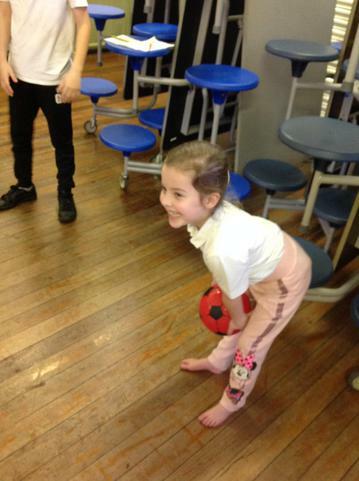 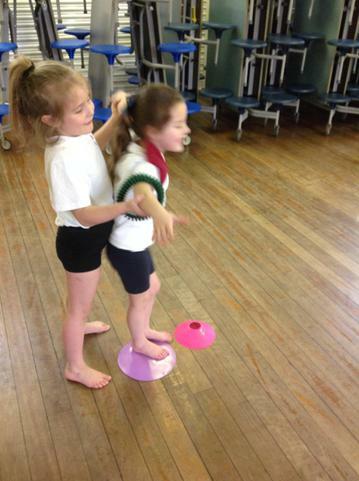 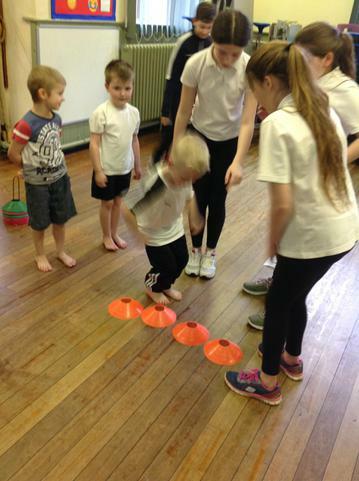 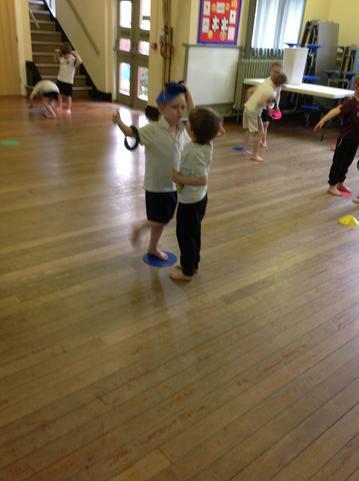 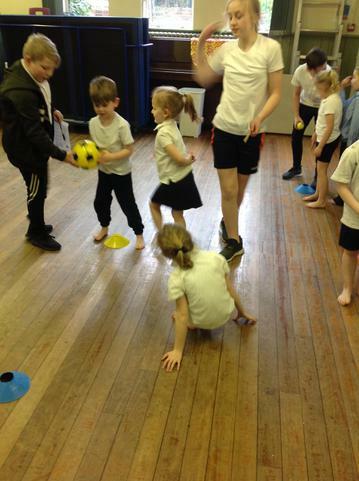 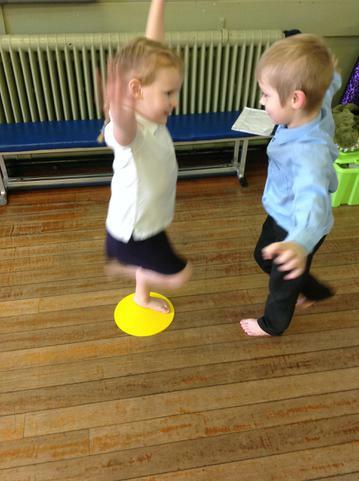 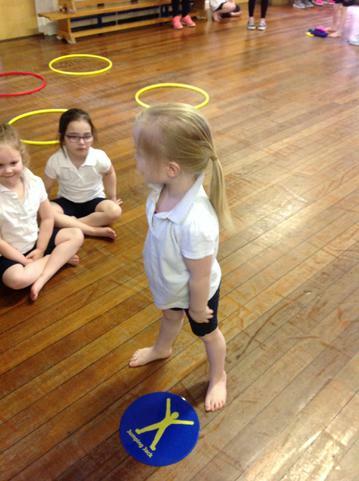 This week we enjoyed balancing games in P.E and had a go on the boomwhakers. 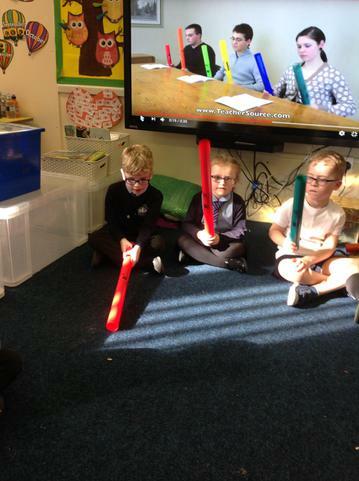 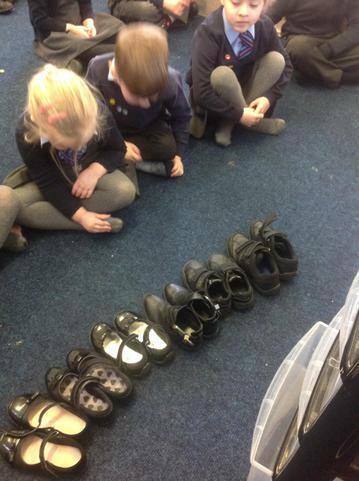 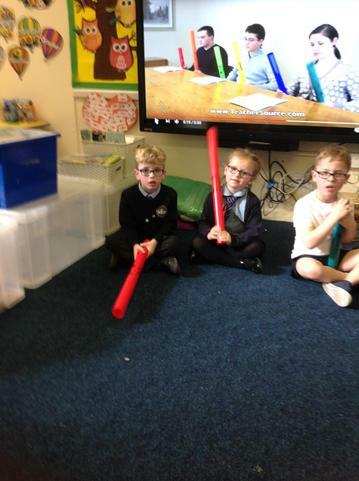 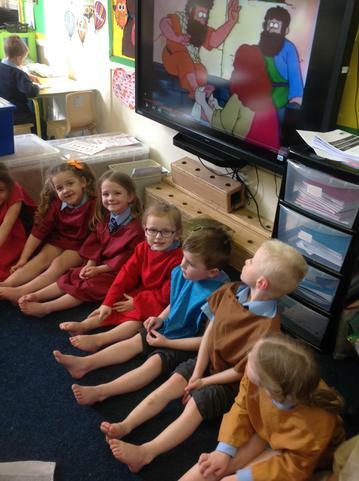 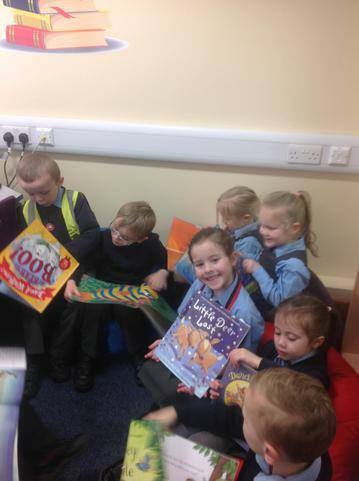 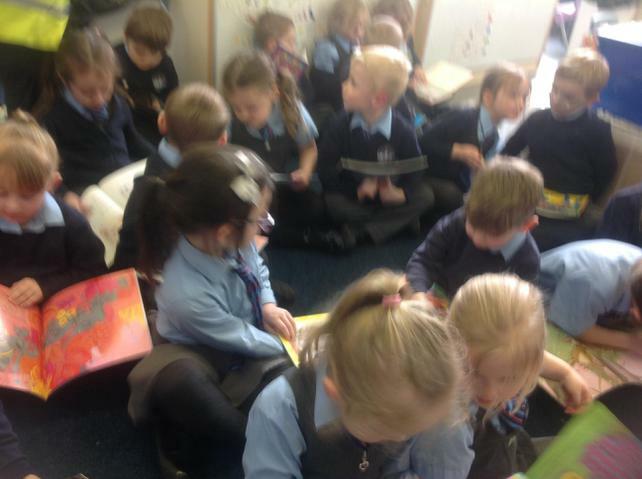 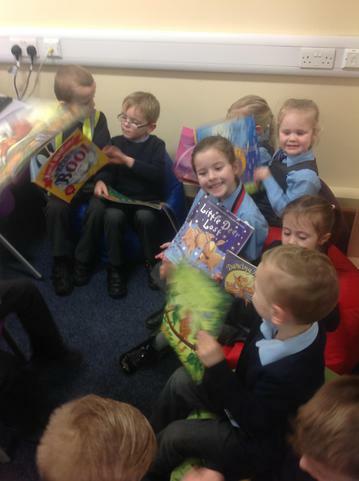 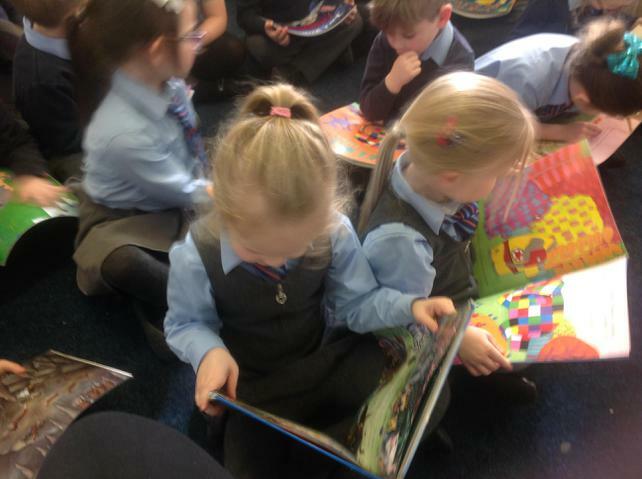 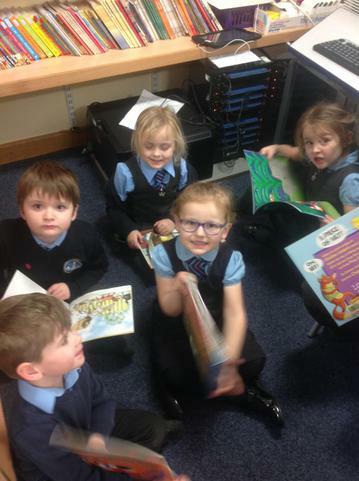 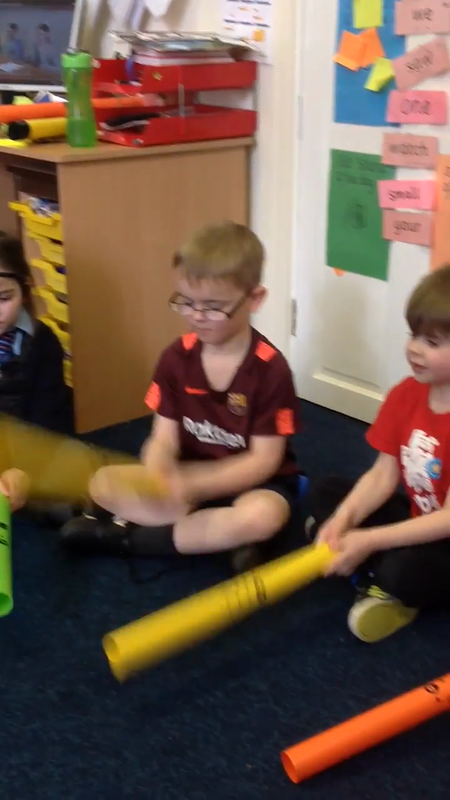 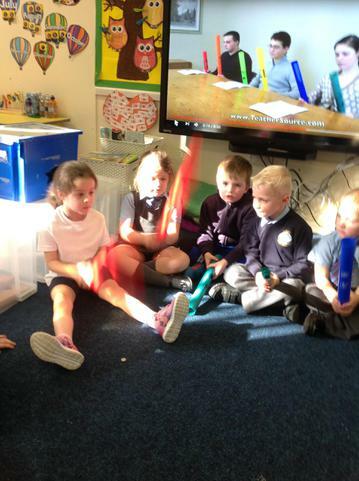 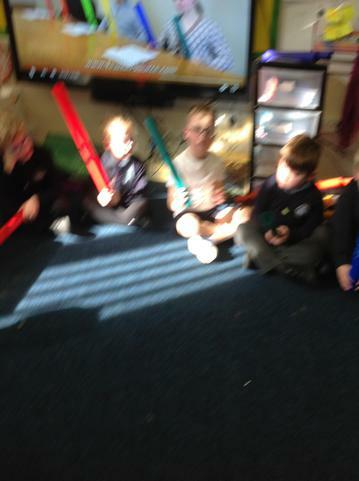 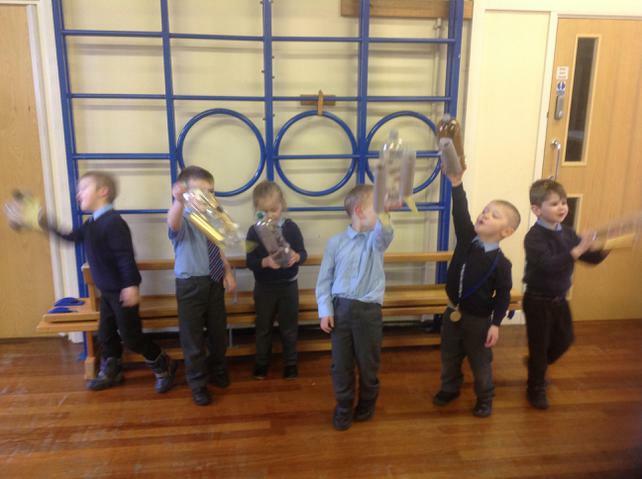 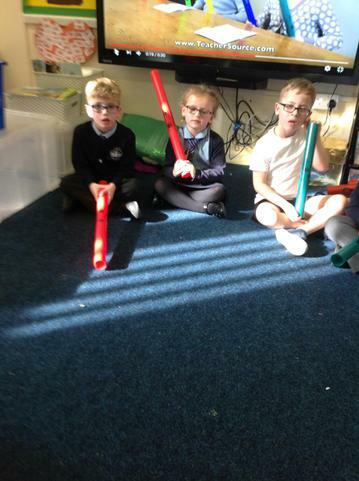 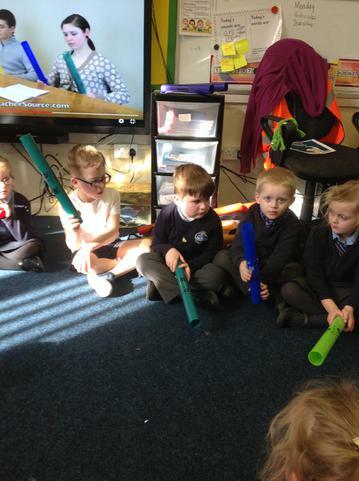 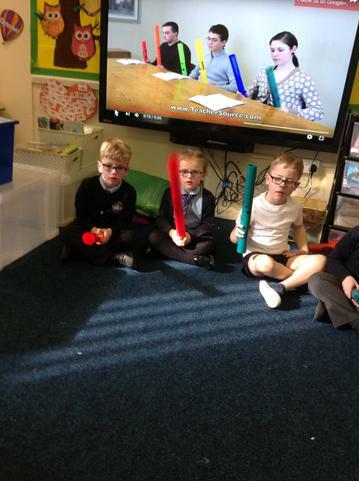 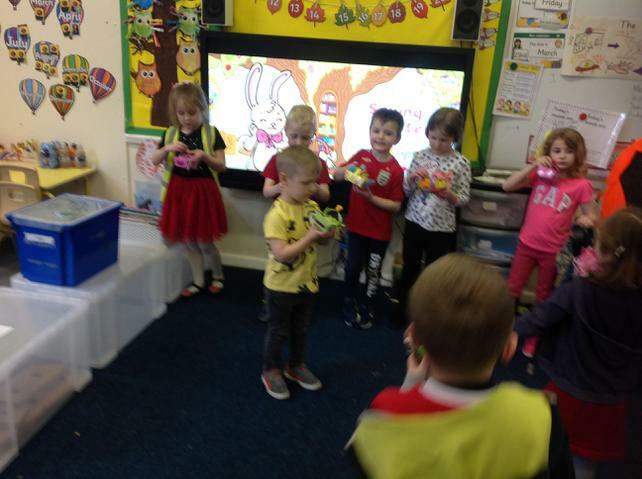 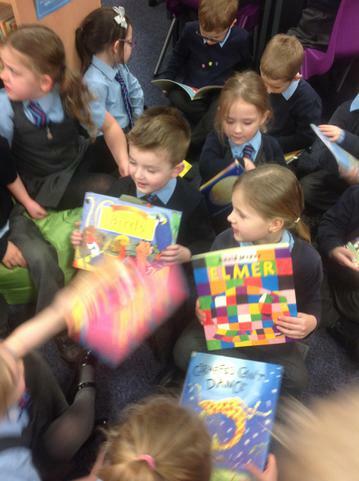 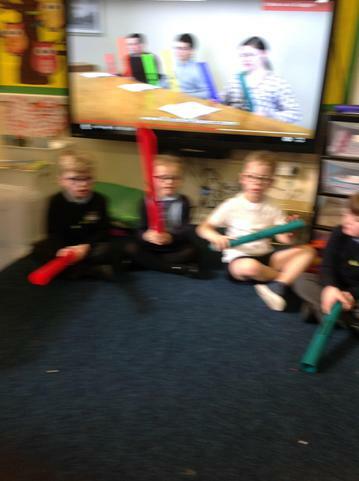 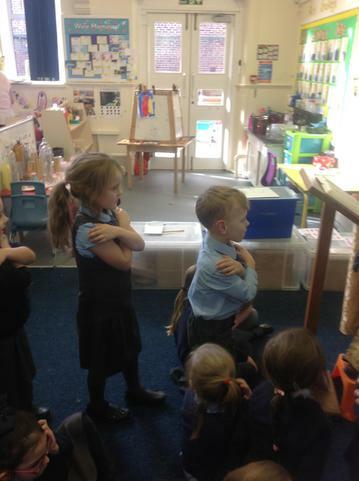 We learnt how to play 'Twinkle twinkle little star'. 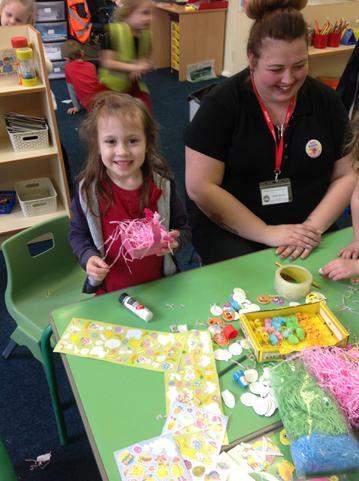 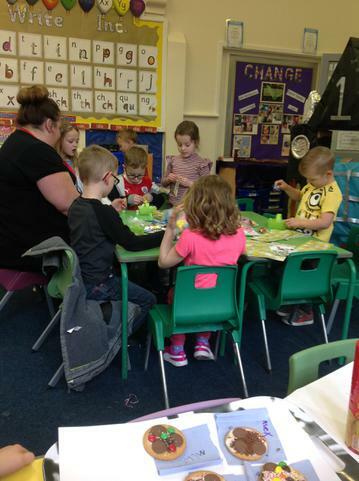 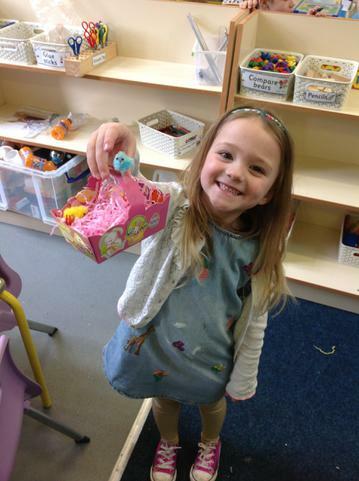 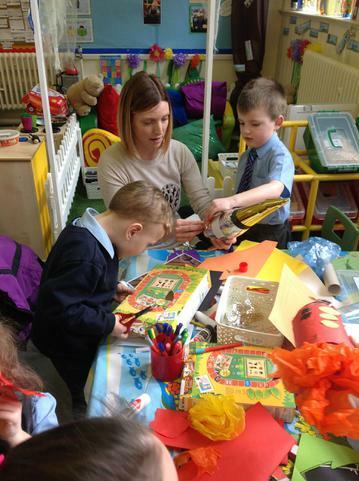 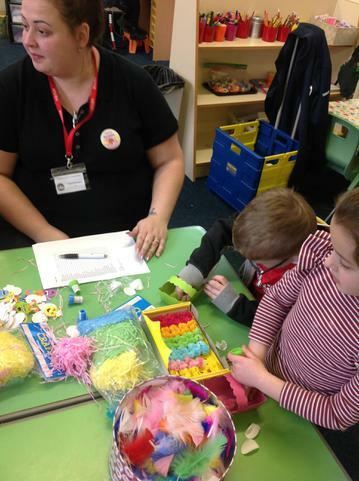 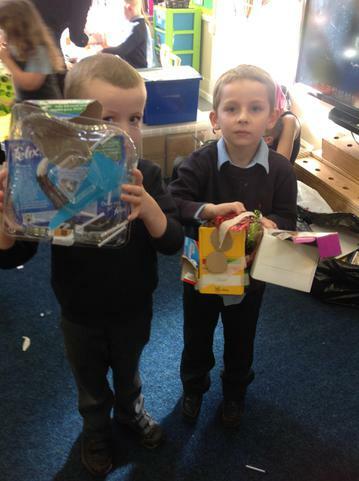 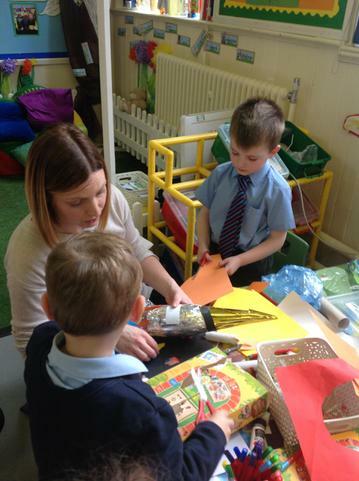 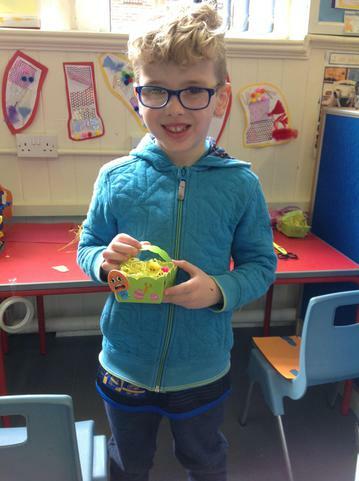 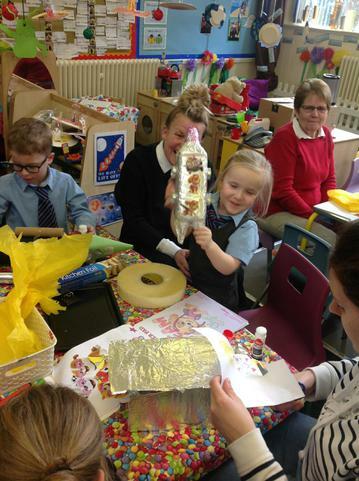 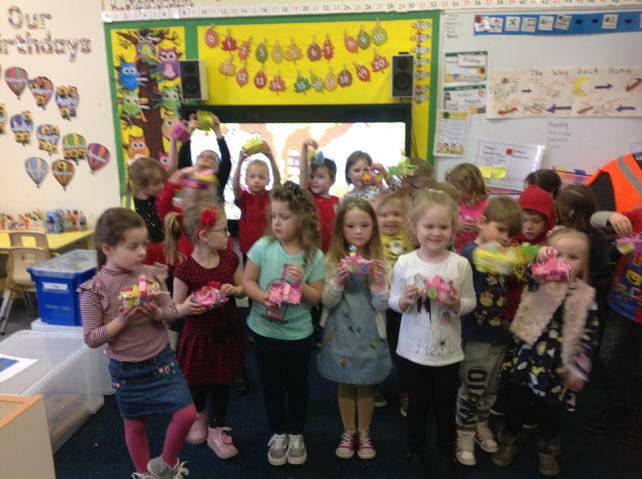 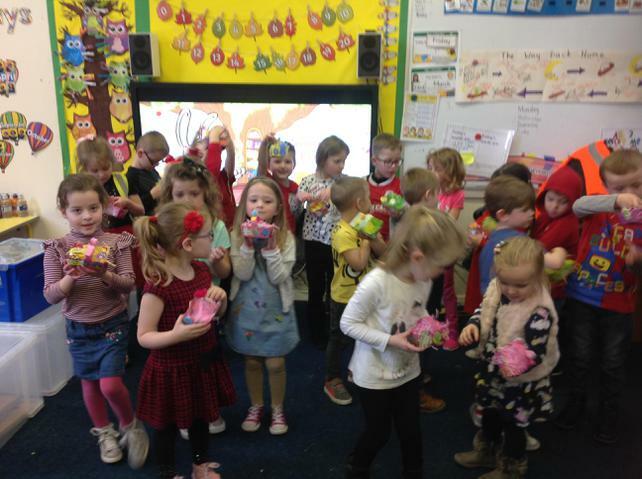 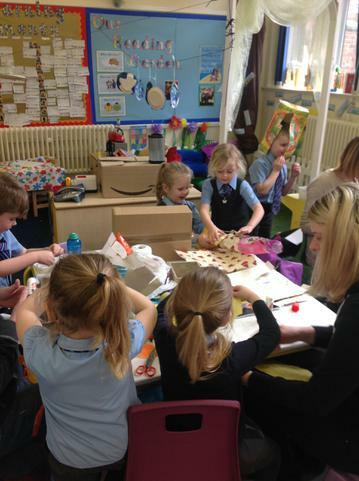 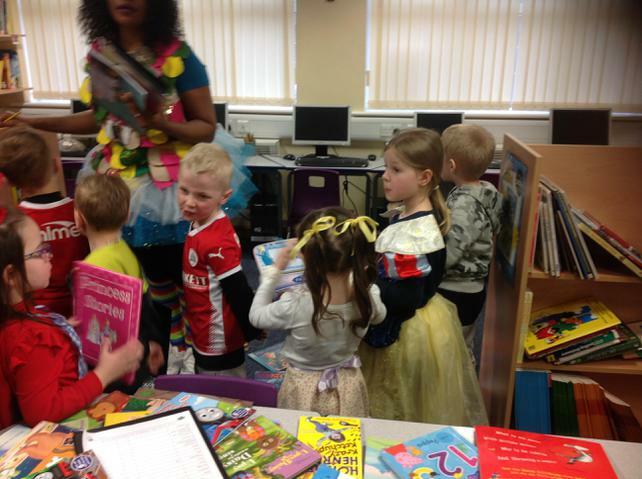 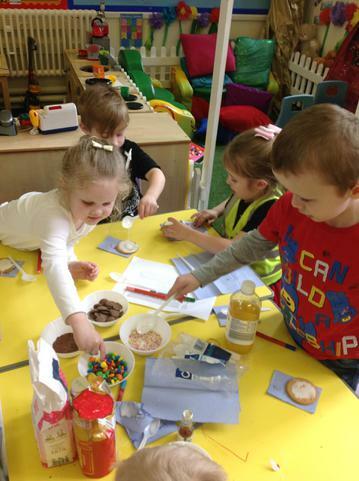 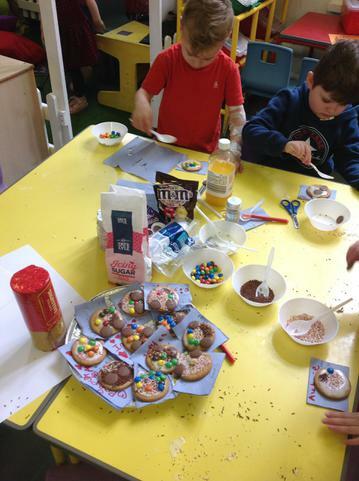 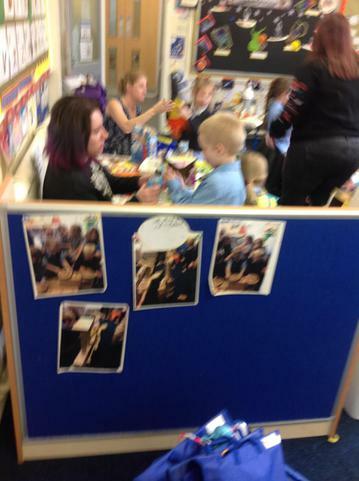 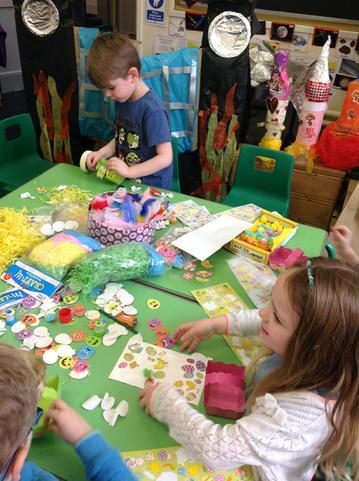 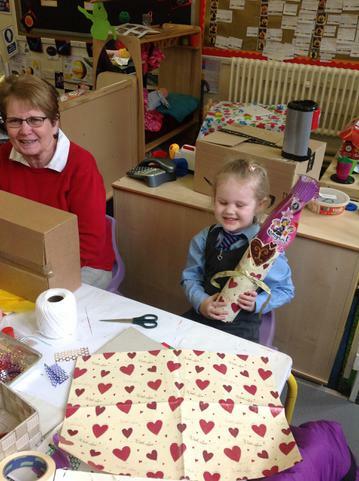 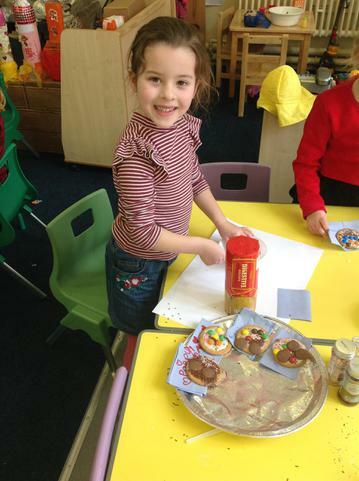 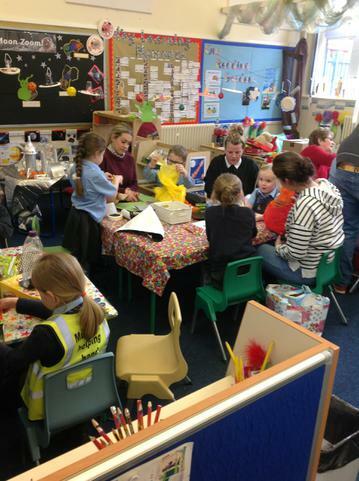 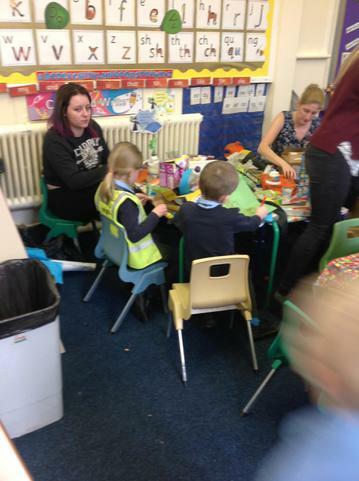 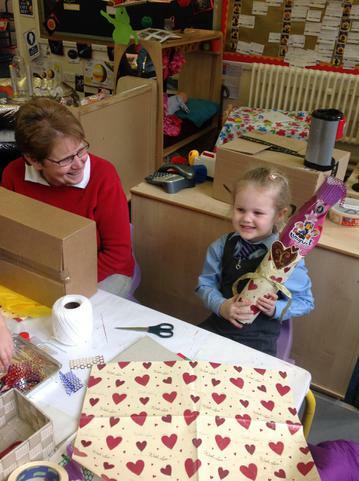 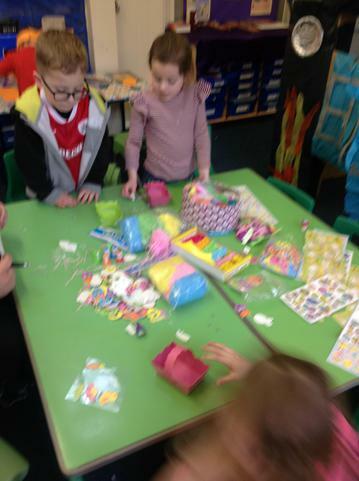 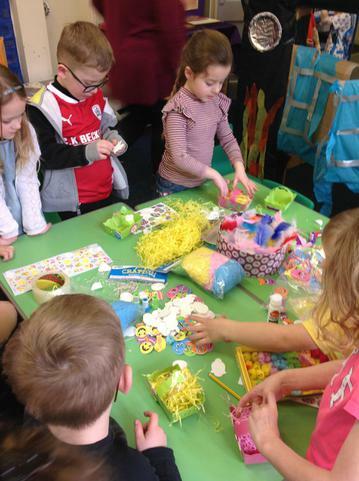 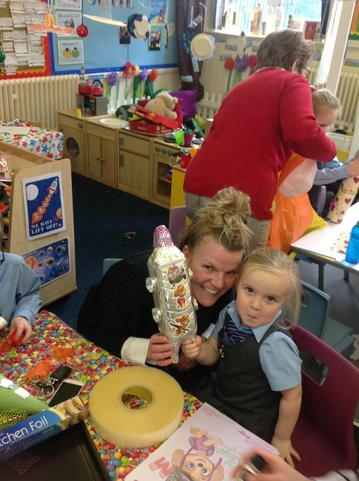 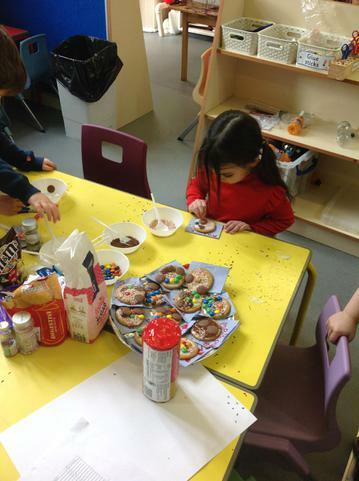 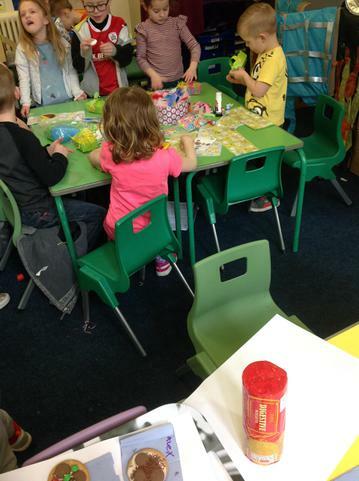 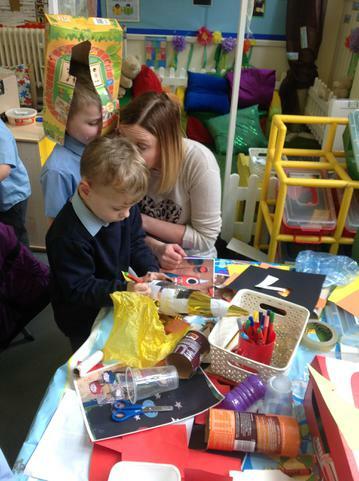 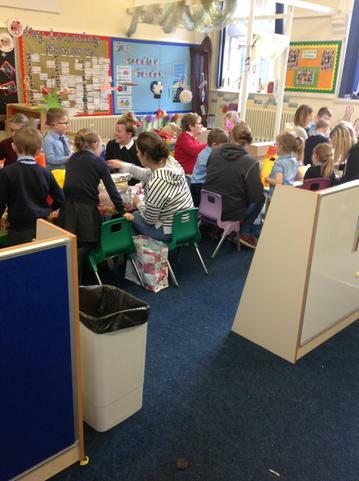 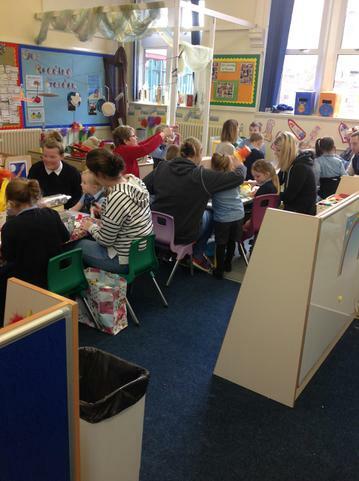 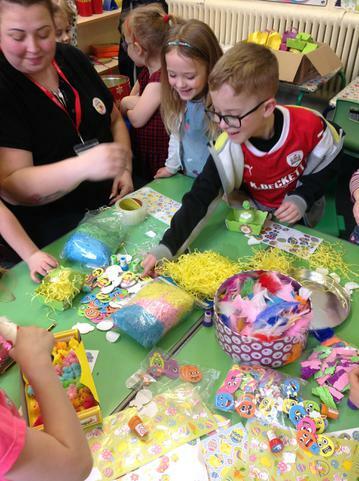 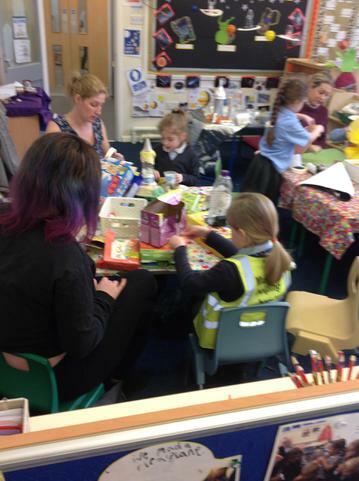 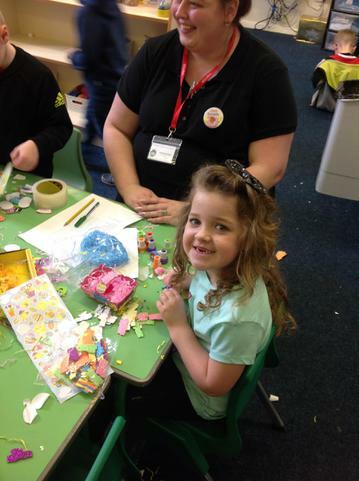 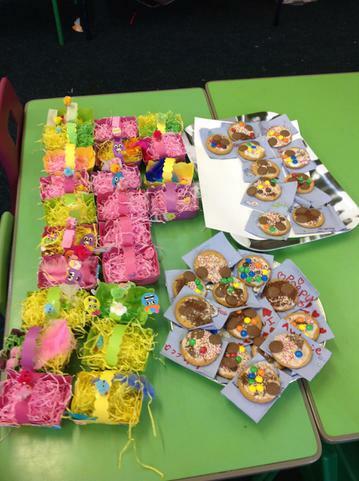 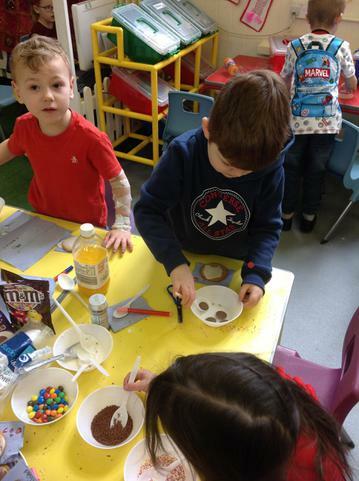 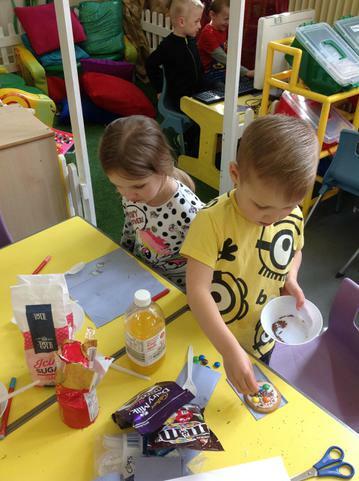 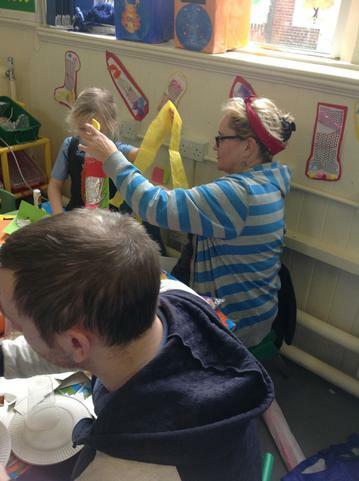 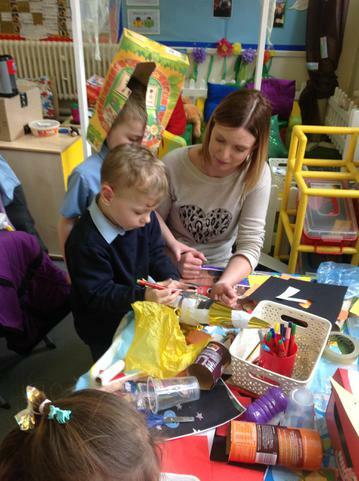 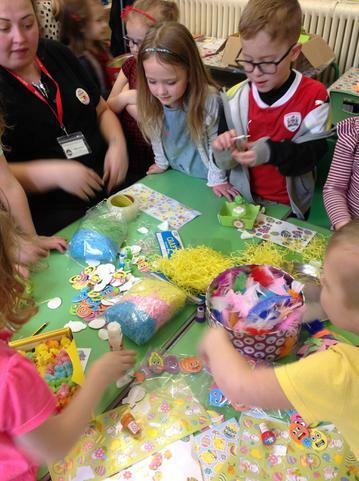 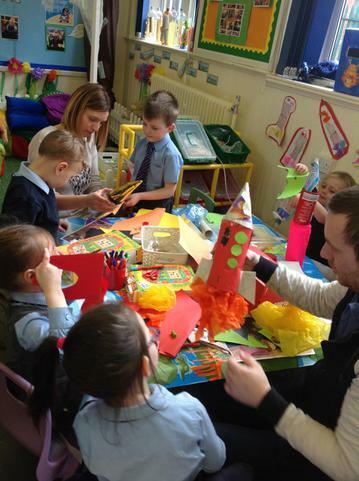 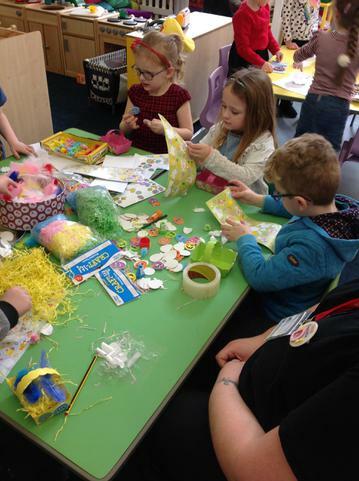 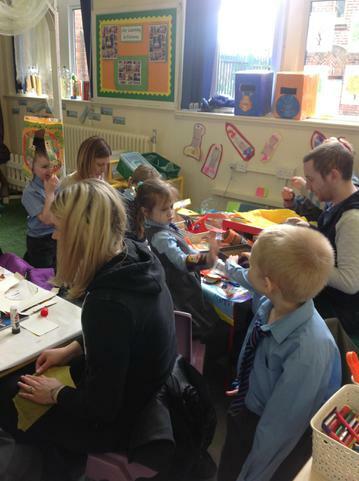 We were also lucky to have Mrs Gill from Tesco visit us to make Easter baskets and decorate biscuits. 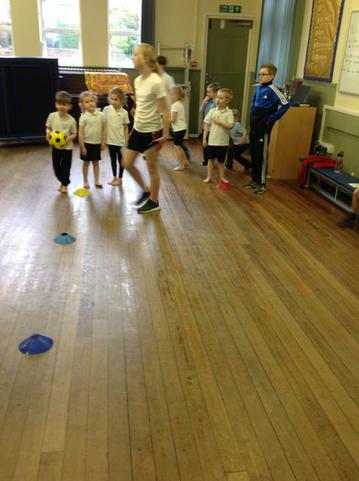 This week class 1 took part in a sponsored sports day to raise money for Bluebell Wood Children's Hospice. 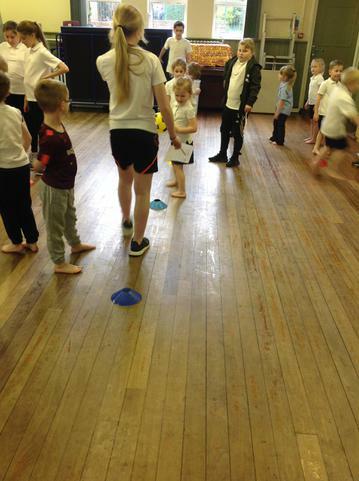 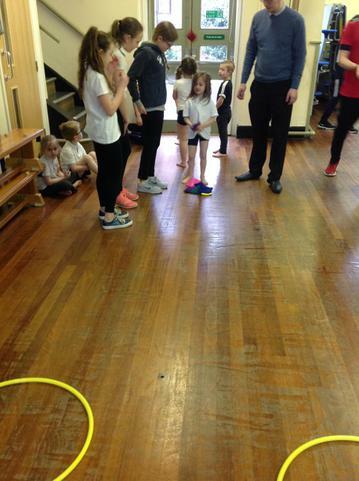 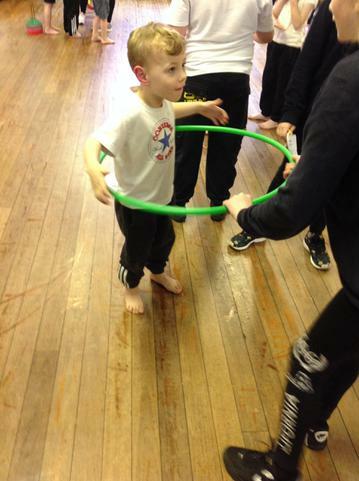 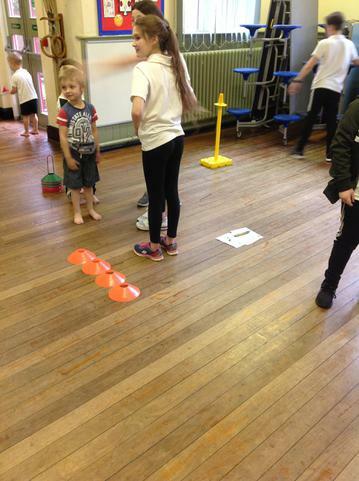 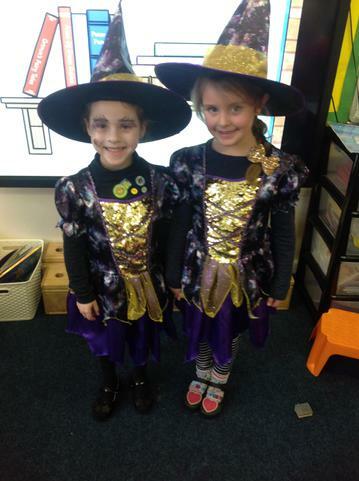 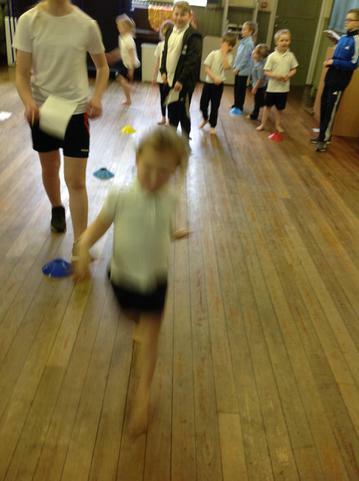 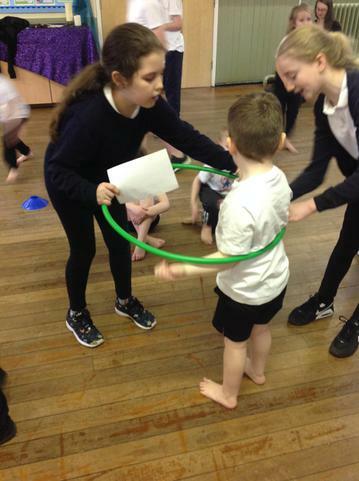 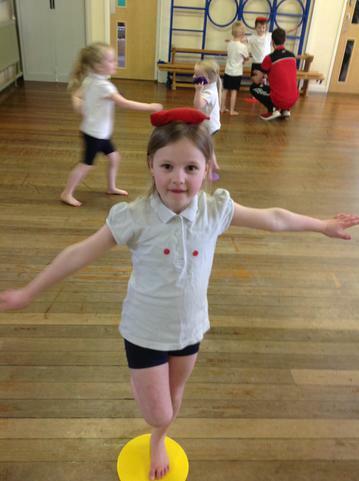 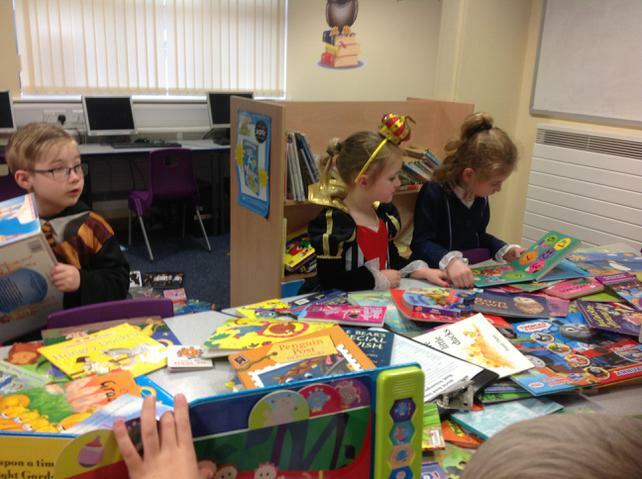 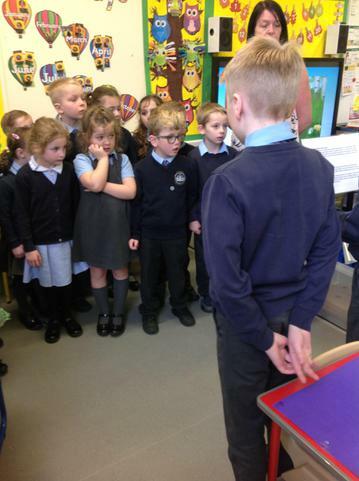 They took part in a range of activities supported by children from class 5. 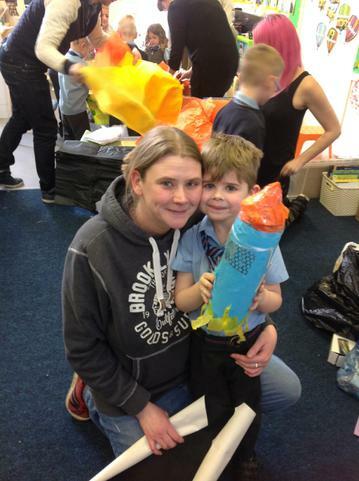 We want to thank all the parents who sponsored their children. 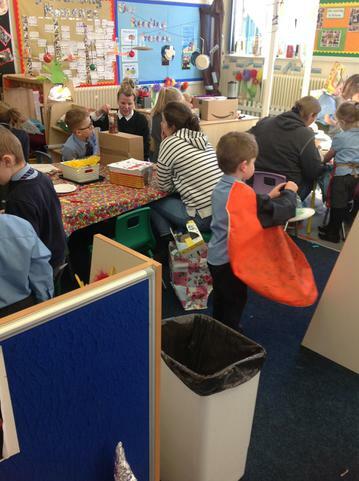 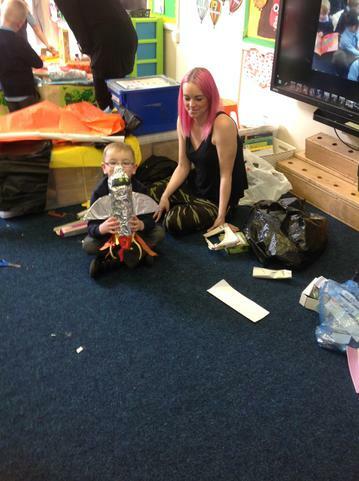 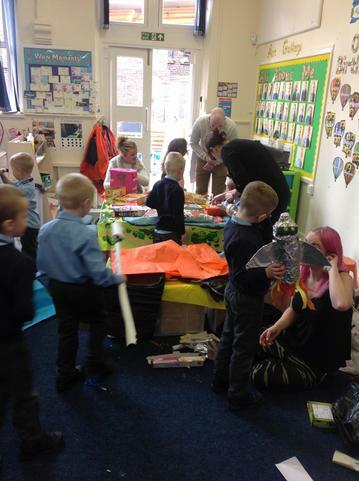 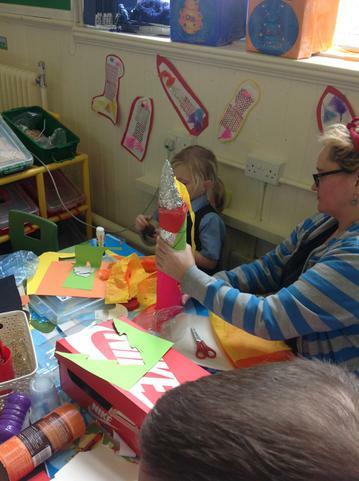 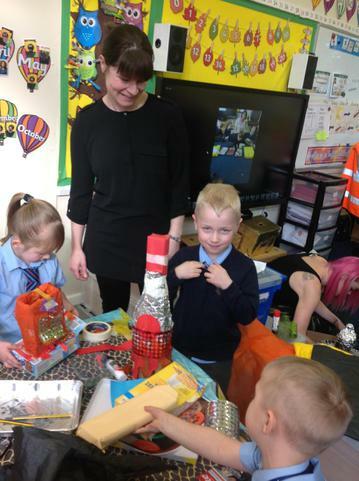 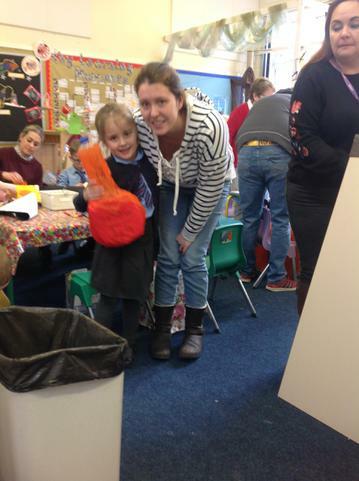 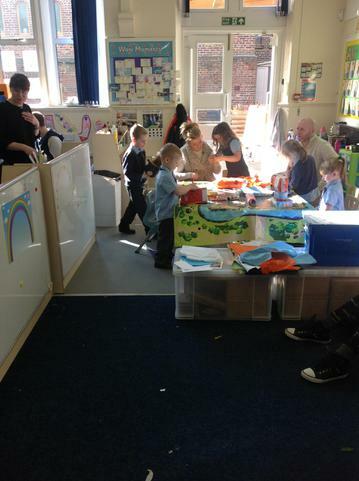 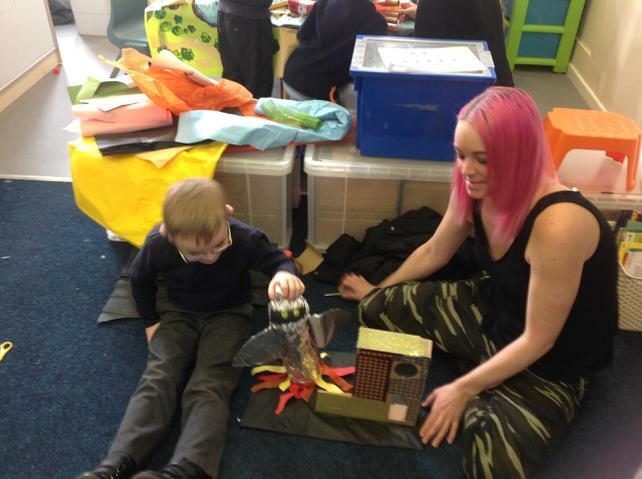 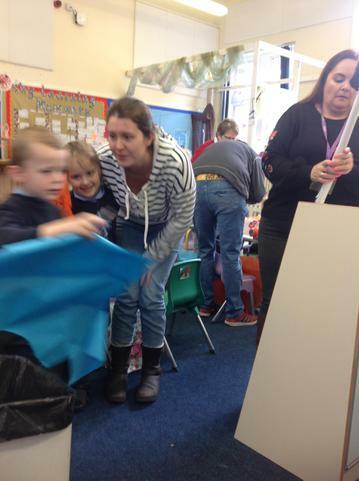 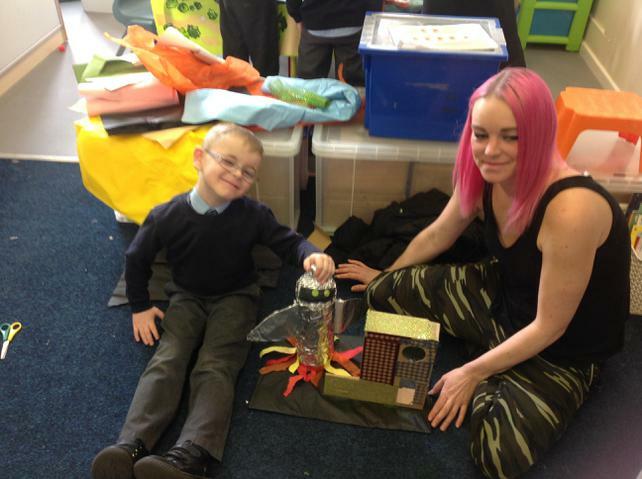 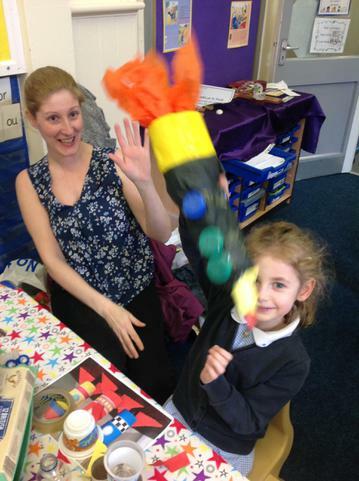 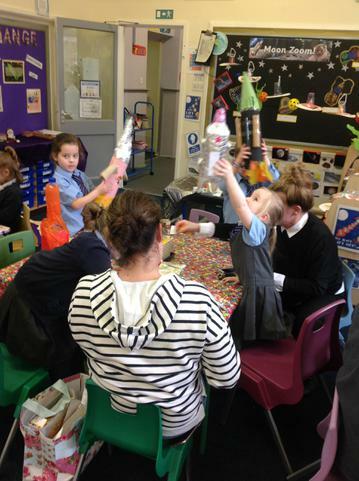 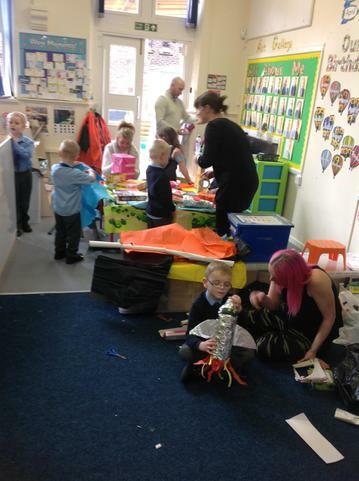 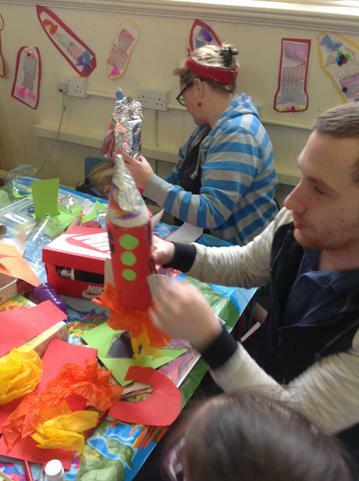 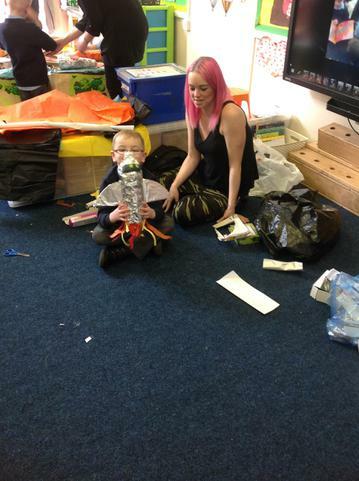 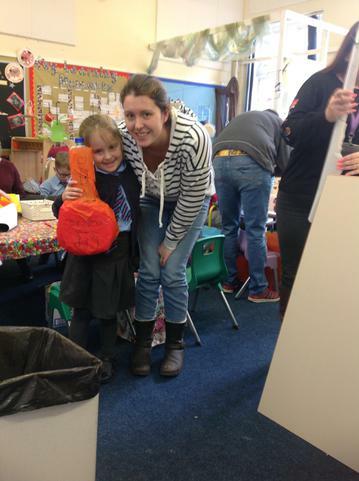 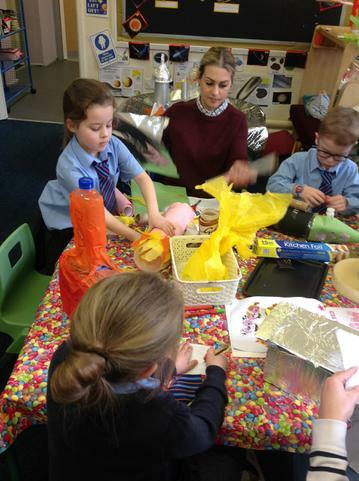 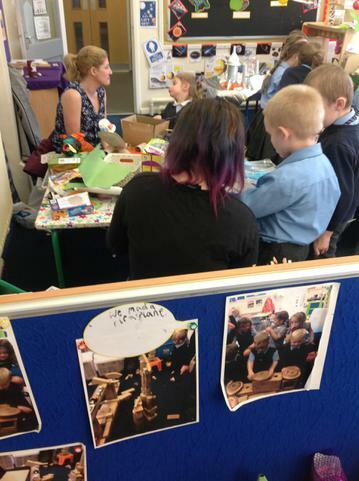 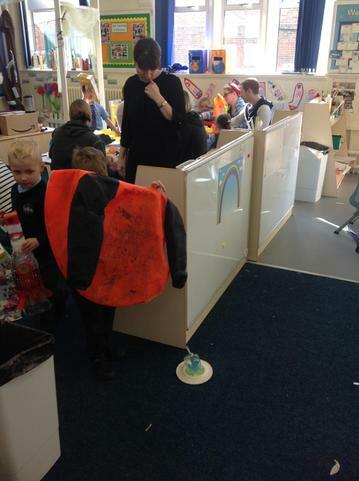 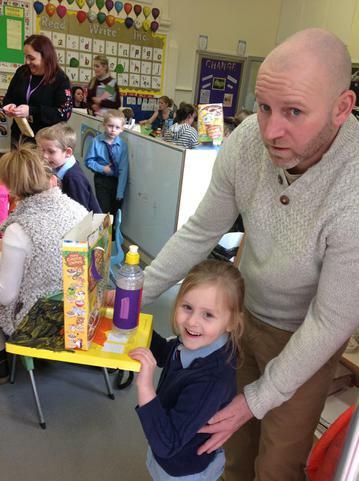 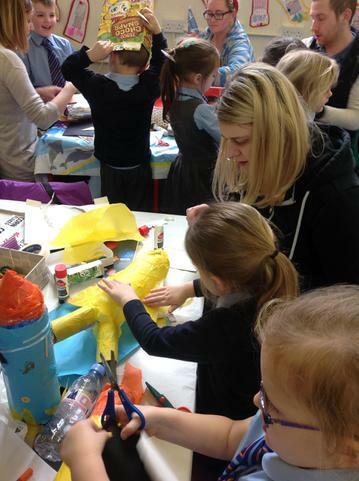 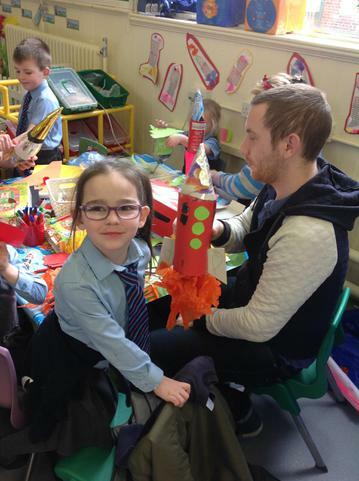 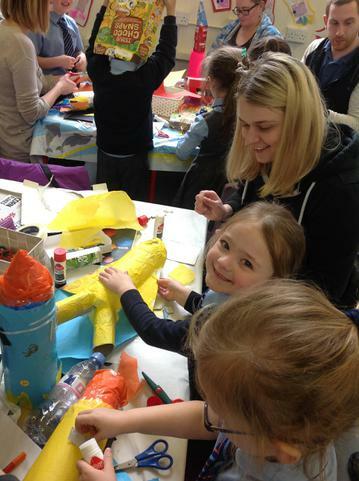 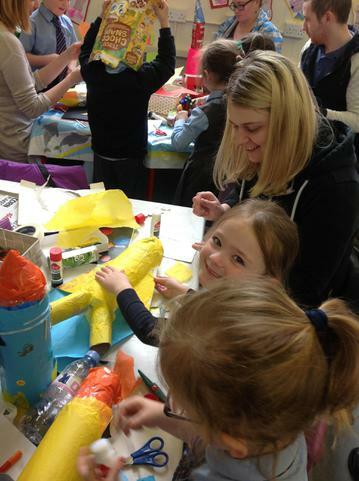 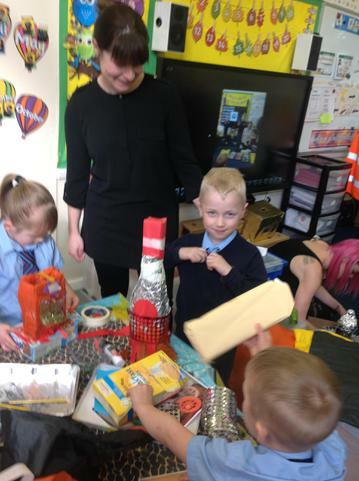 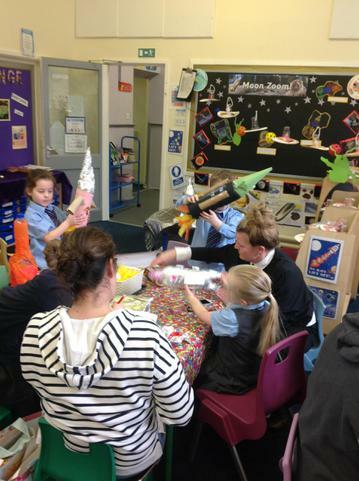 This week parents came into school to work with us to support our learning about Space. 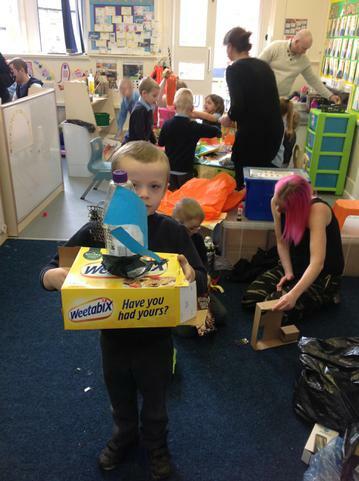 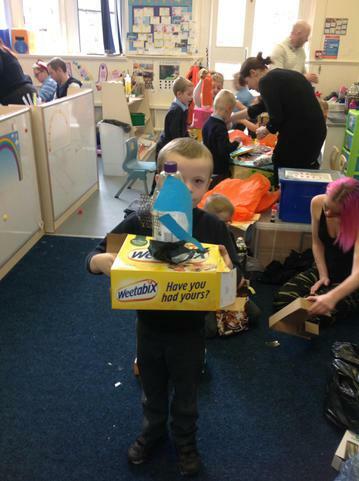 We made space themed vehicles and space stations. 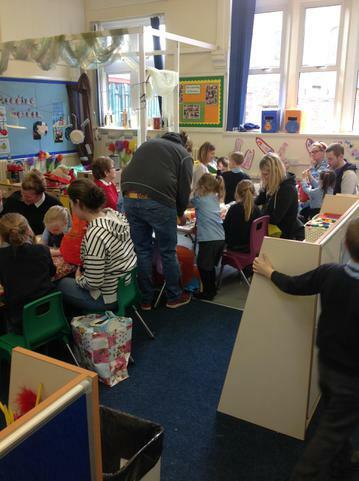 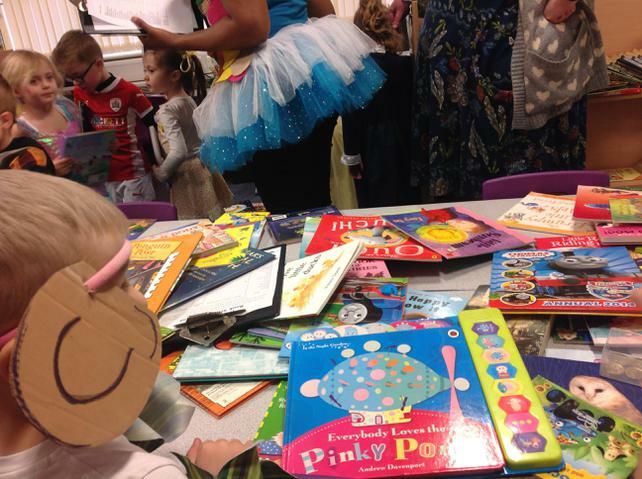 A huge thank you to all the parents who managed to attend this well attended event! 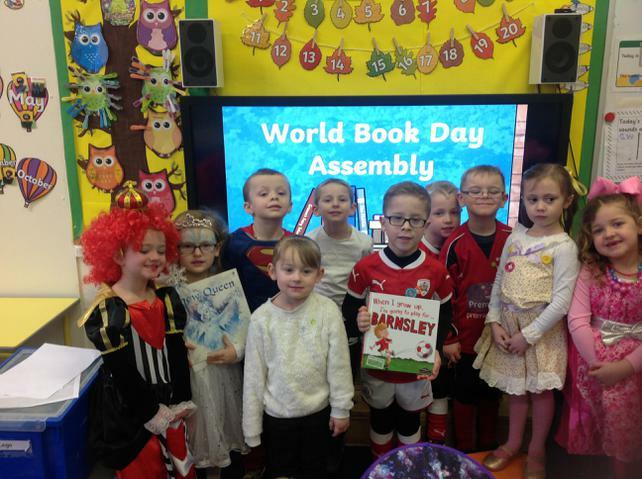 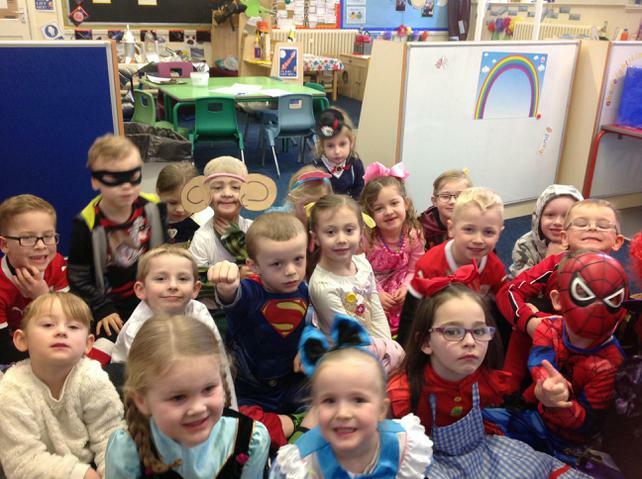 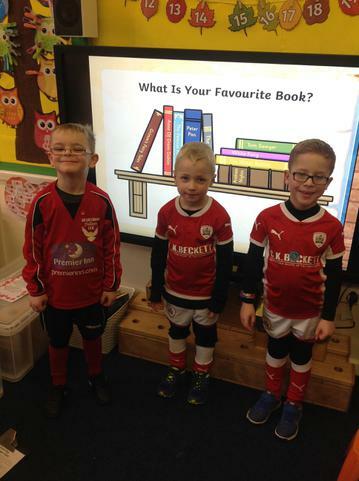 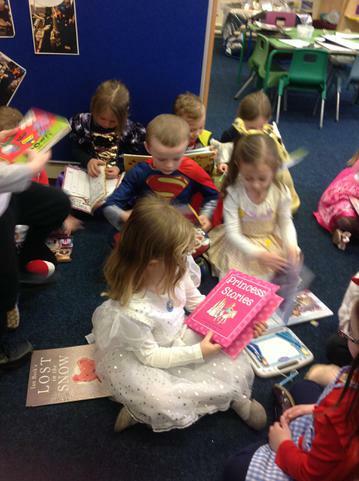 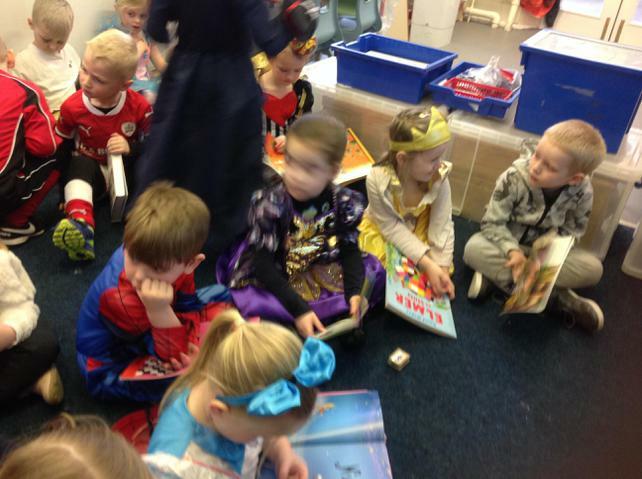 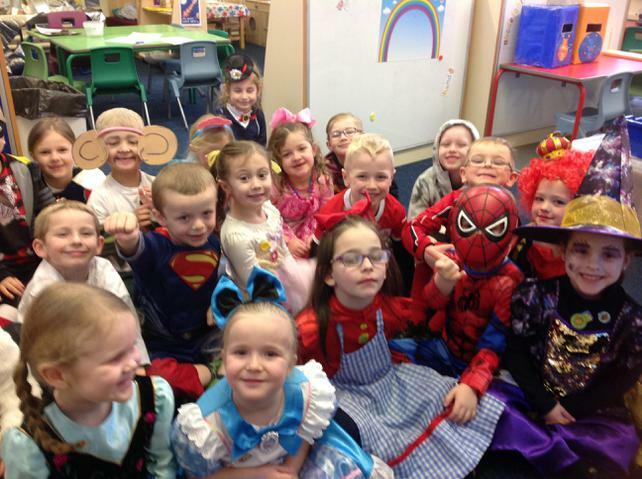 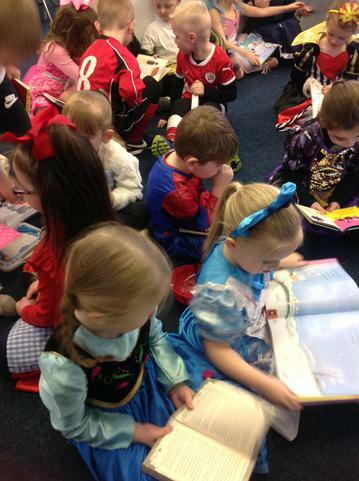 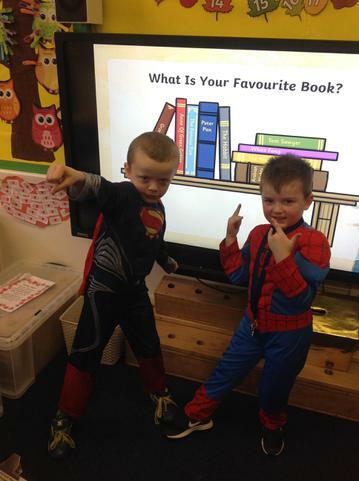 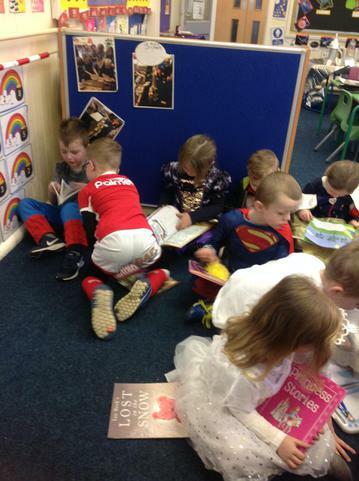 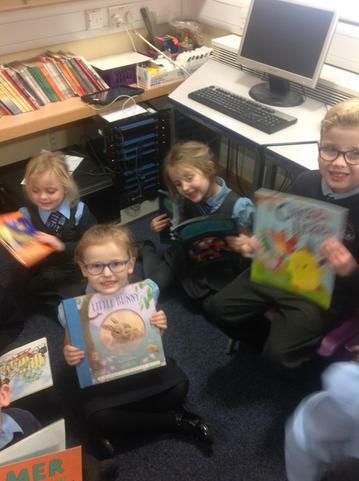 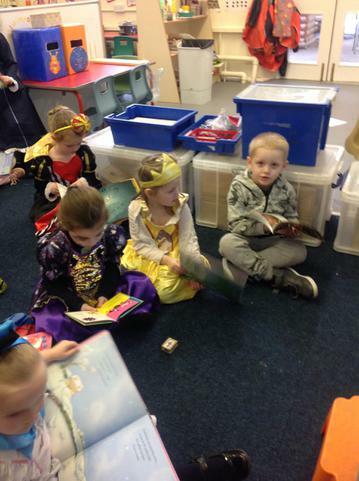 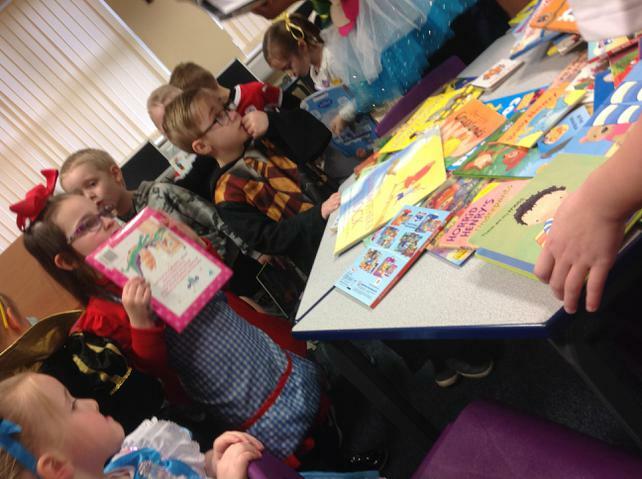 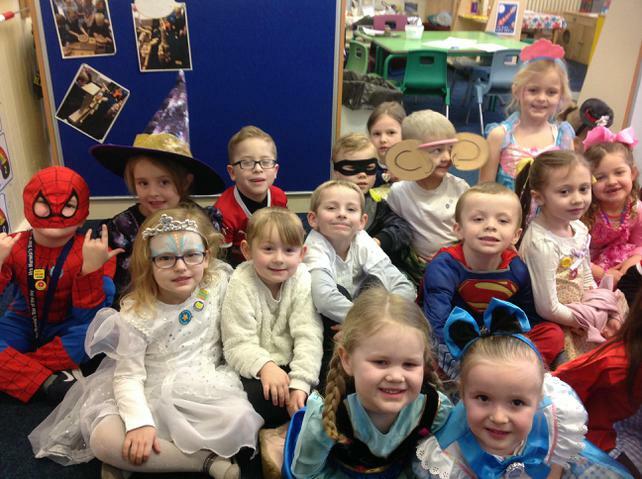 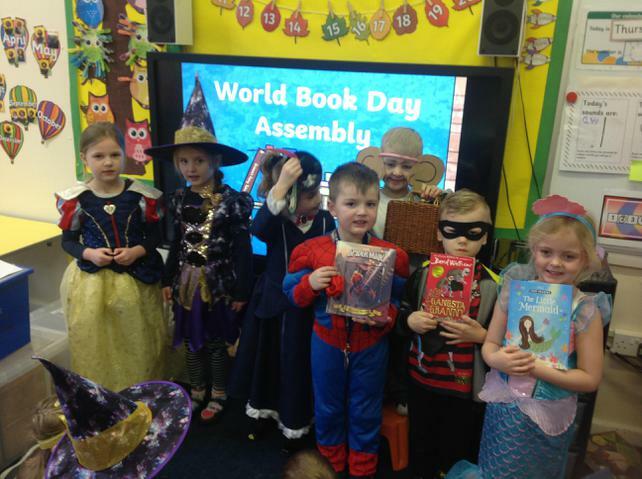 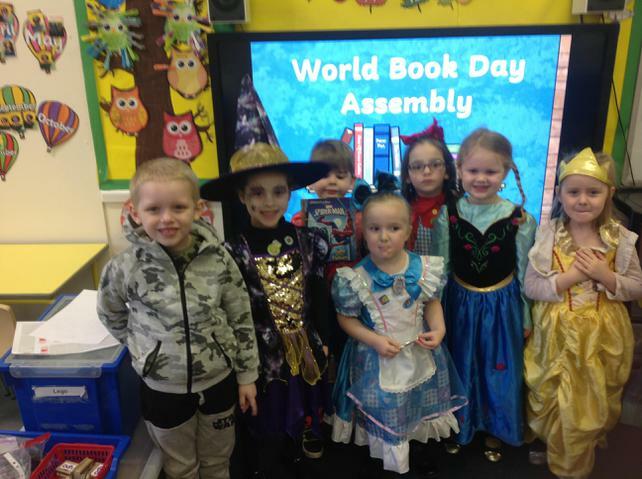 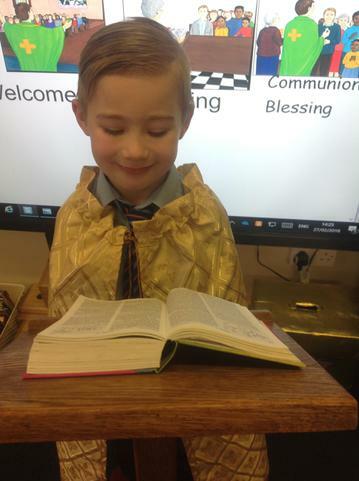 In R.E we were learning about Jesus' final meal with his friends (The Last Supper).We also enjoyed dressing up for World Book Day. 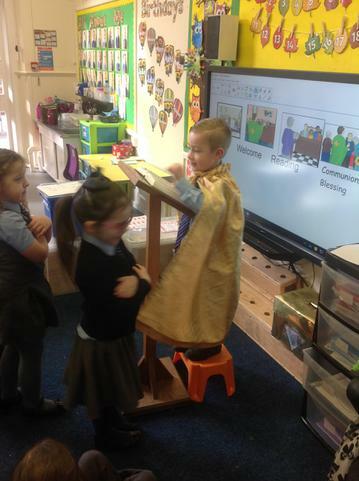 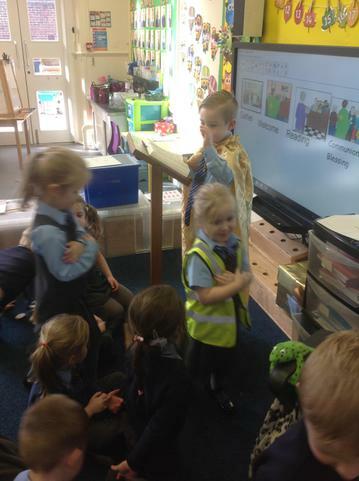 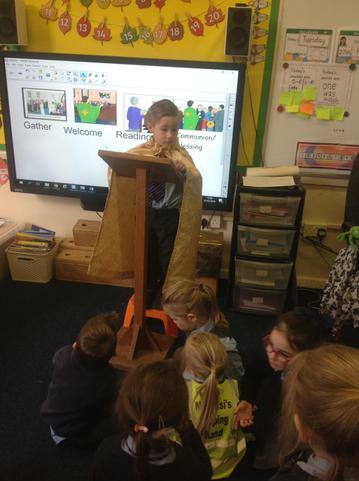 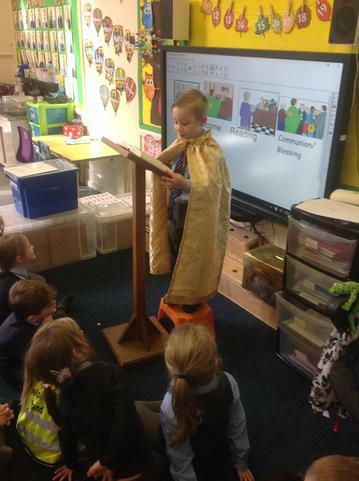 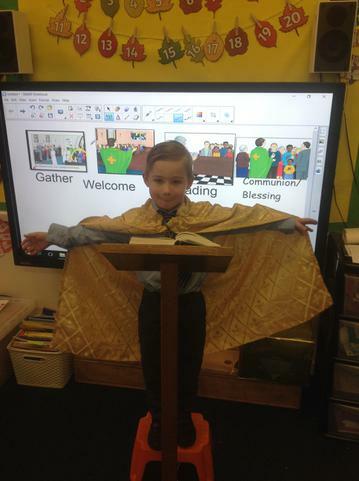 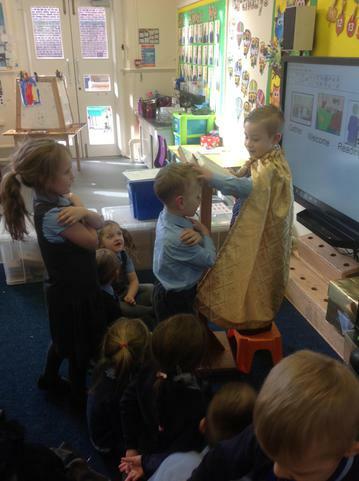 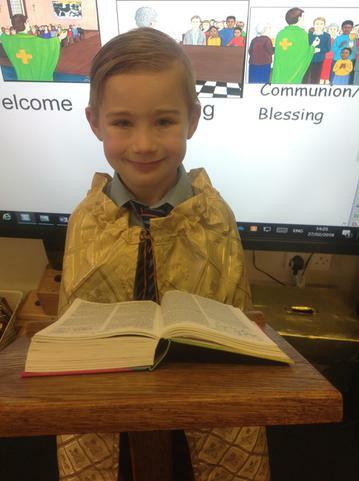 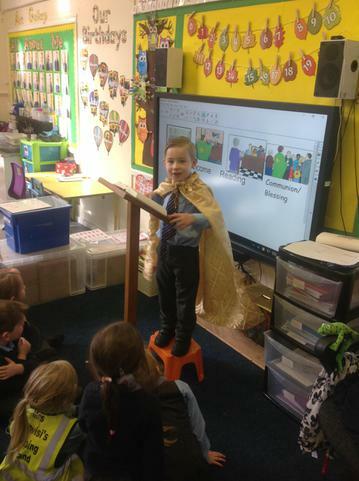 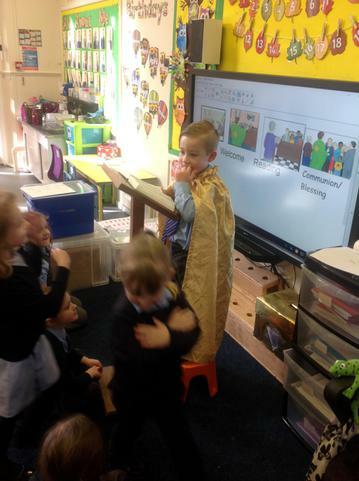 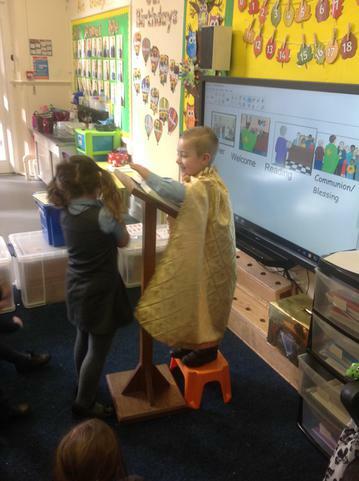 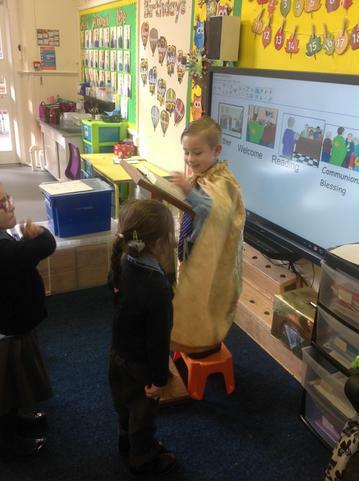 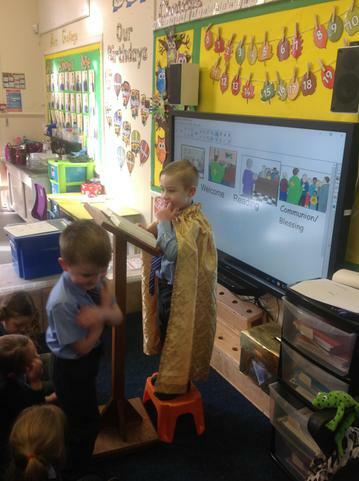 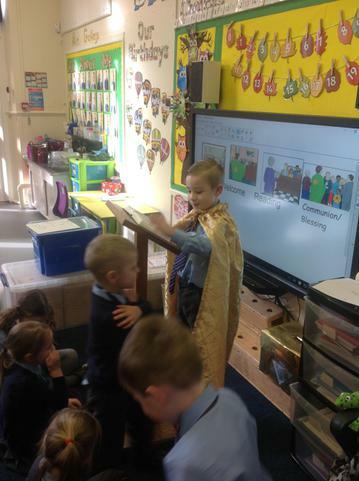 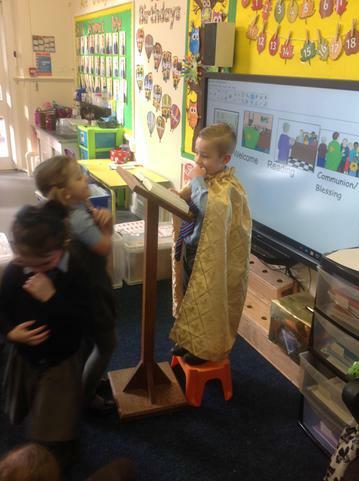 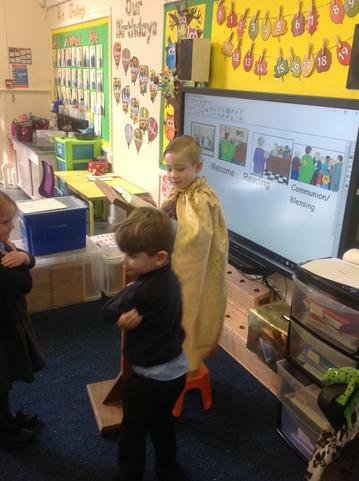 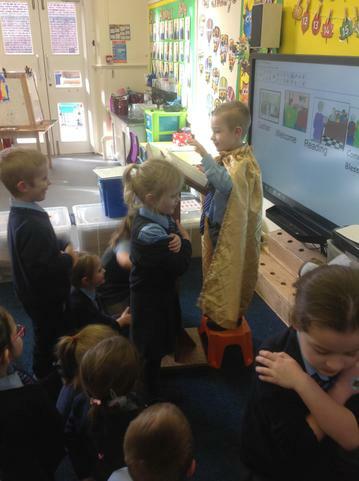 This week in R.E we were looking at what happens during Mass. 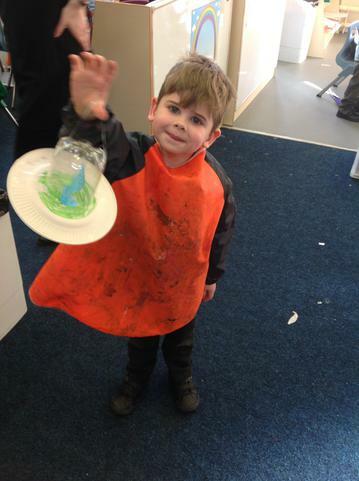 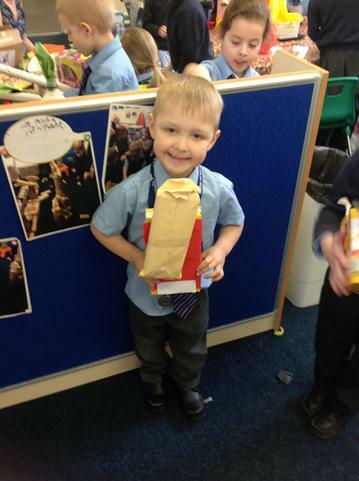 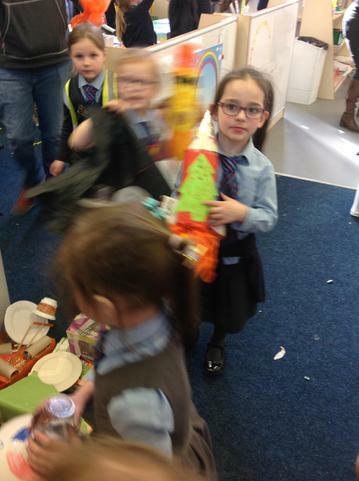 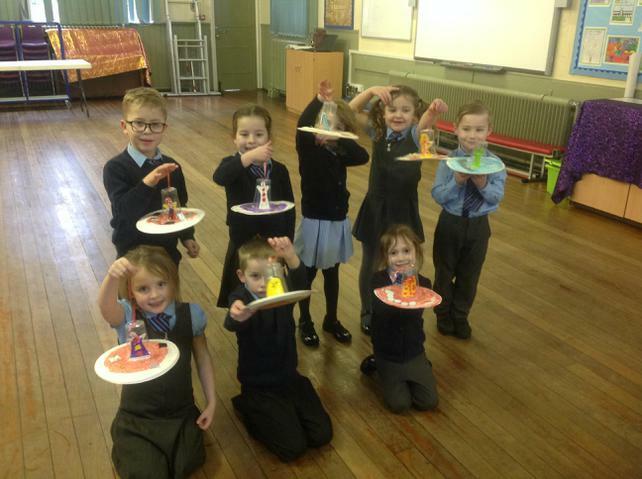 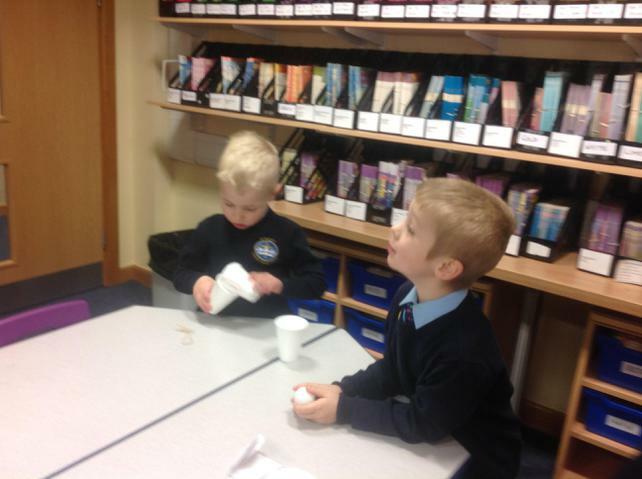 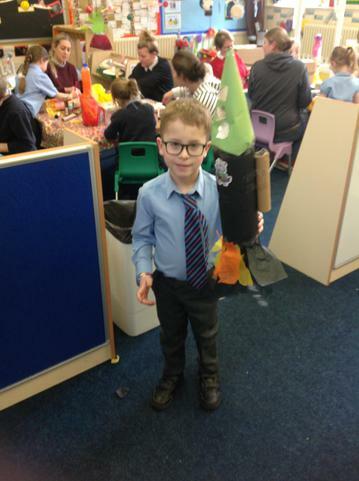 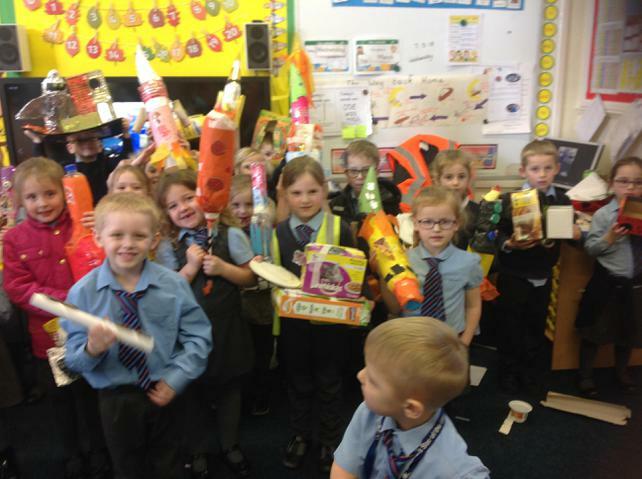 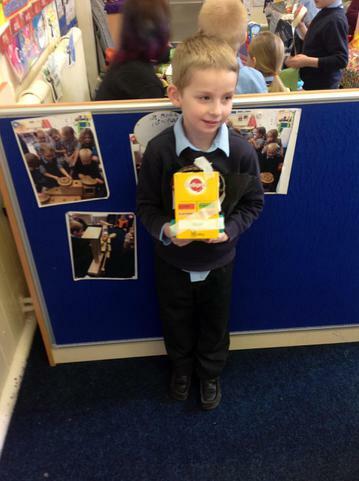 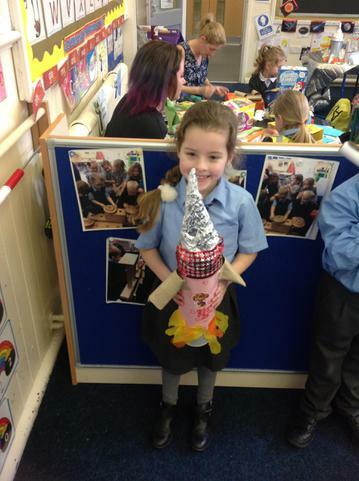 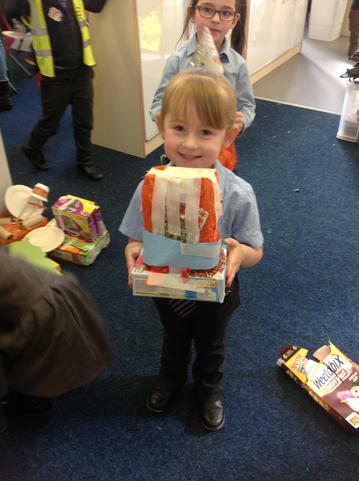 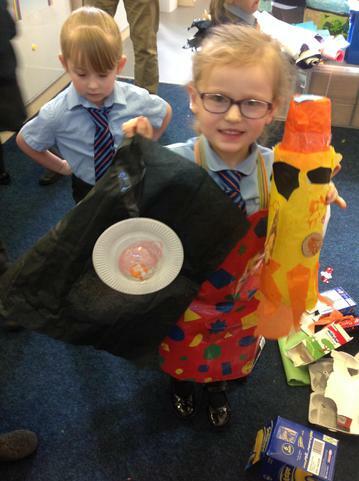 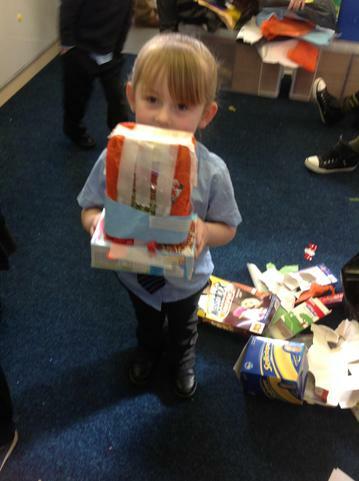 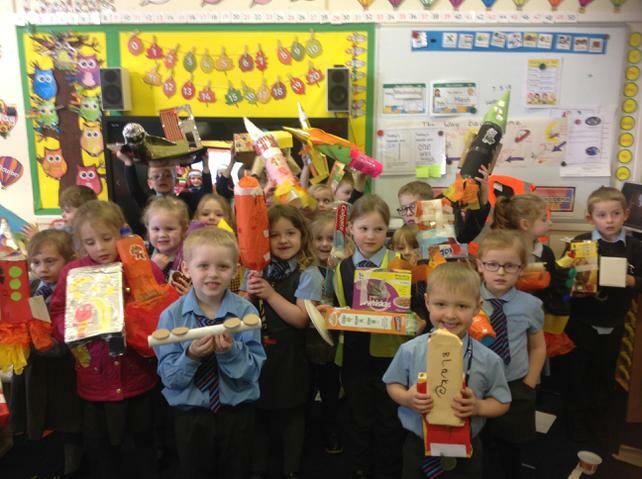 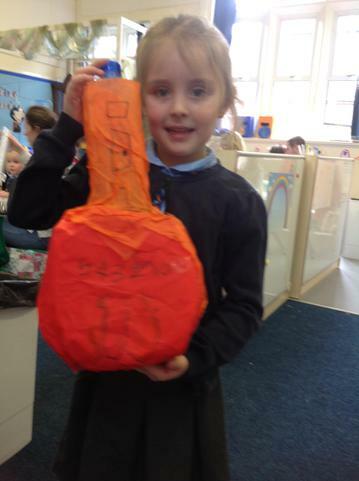 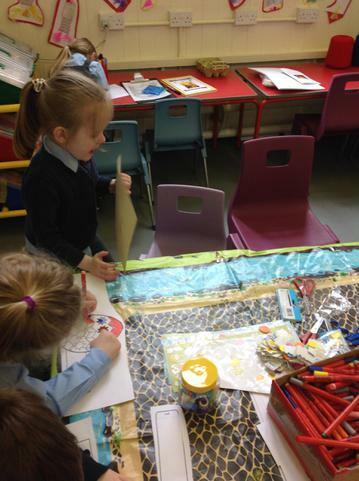 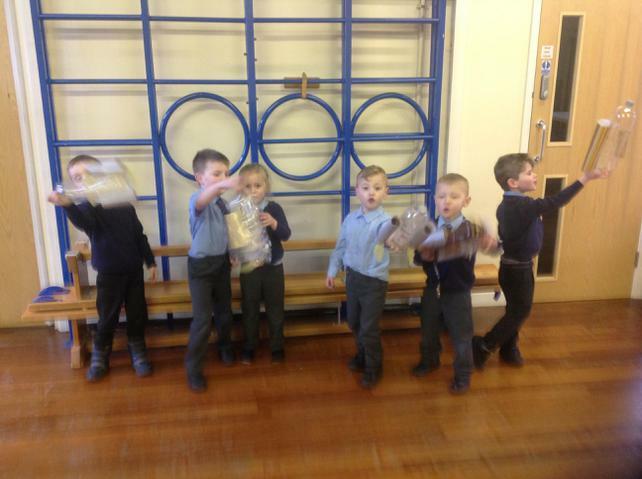 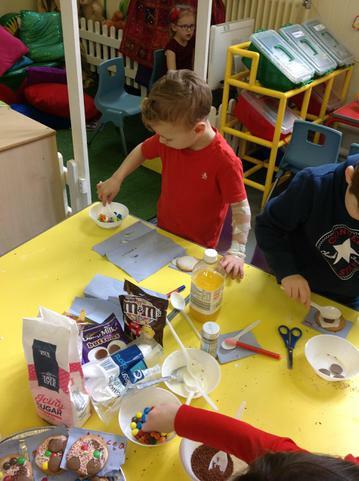 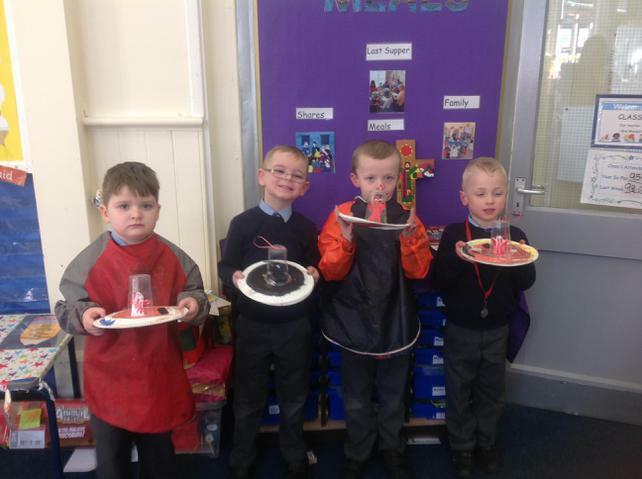 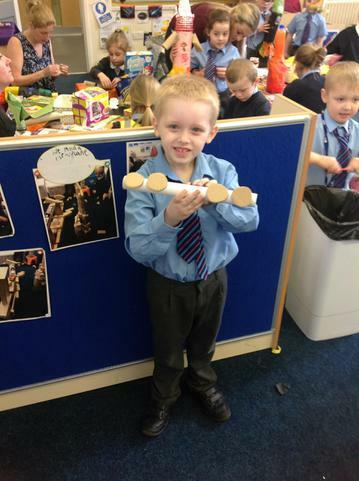 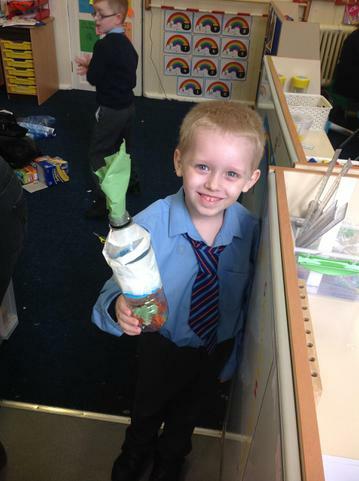 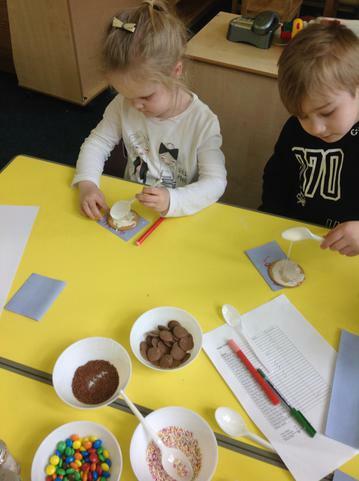 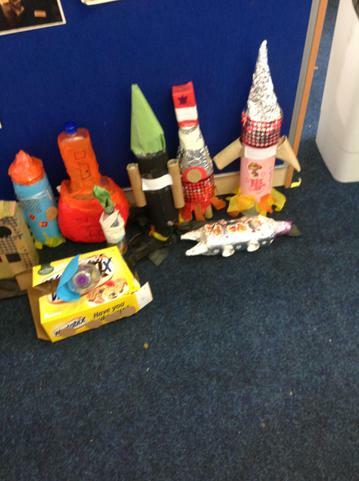 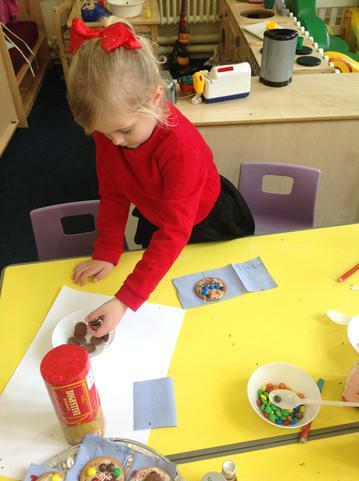 For our topic, we made flying saucers and rockets. 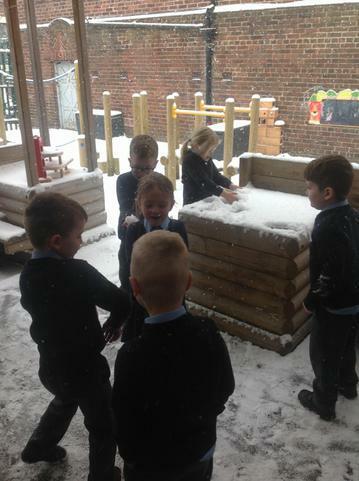 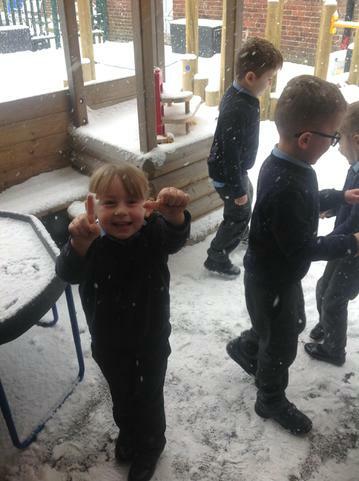 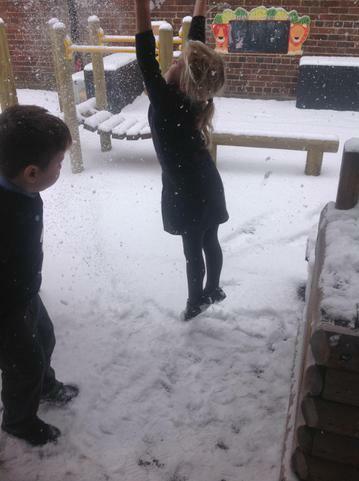 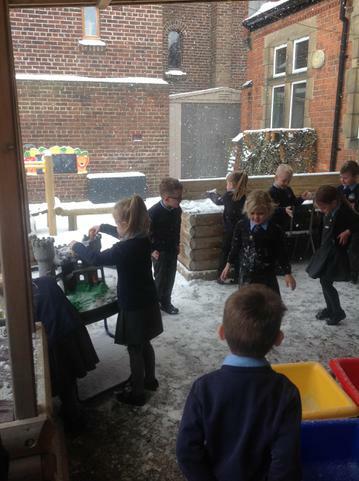 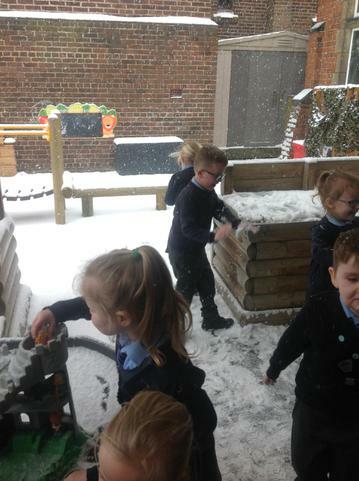 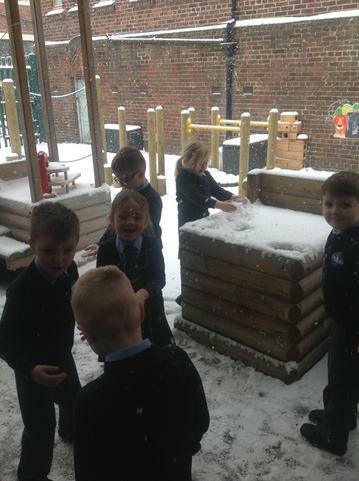 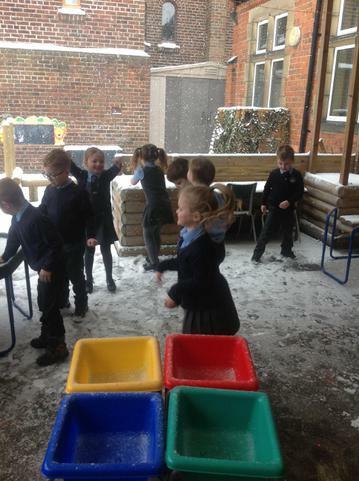 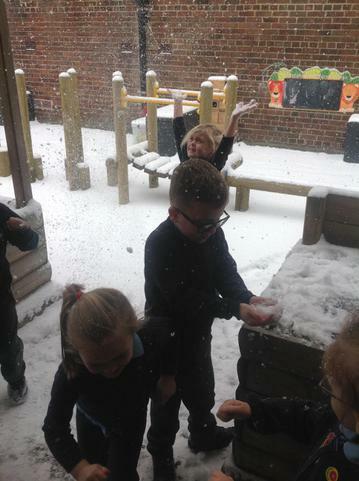 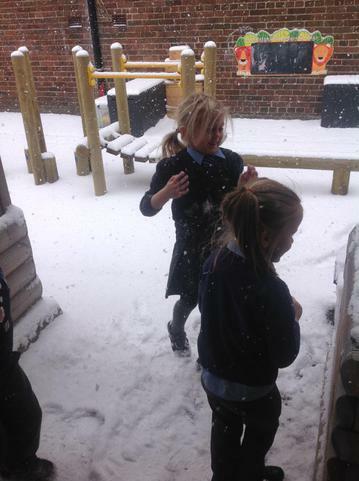 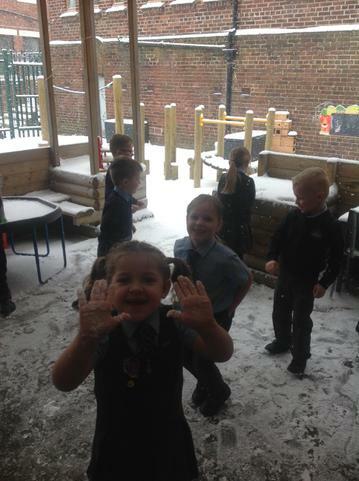 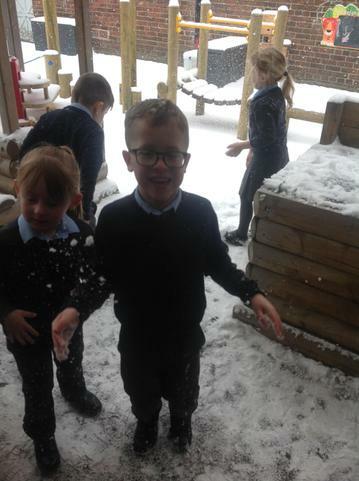 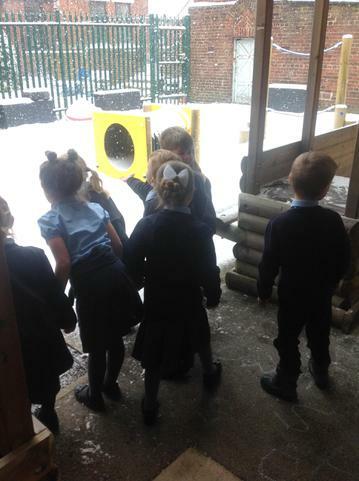 We also had an opportunity to play in the Snow! 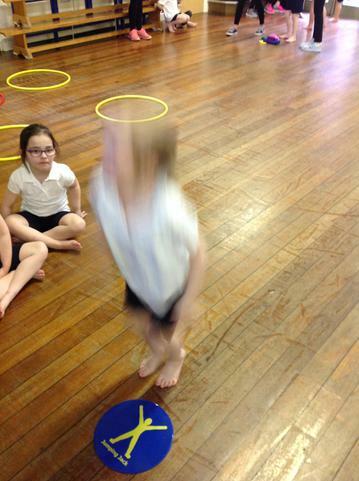 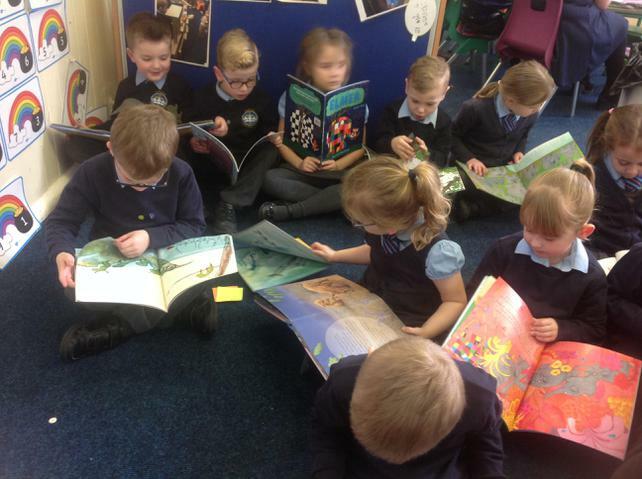 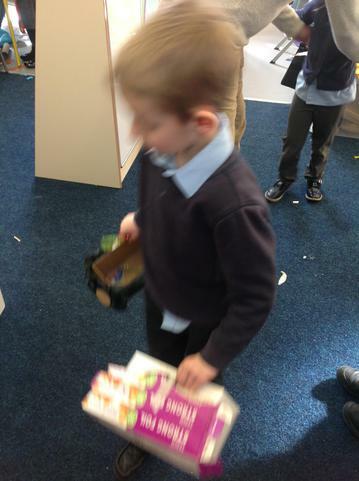 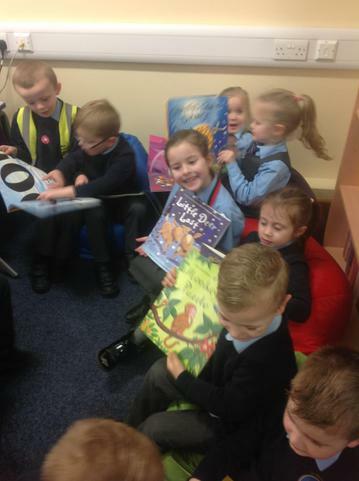 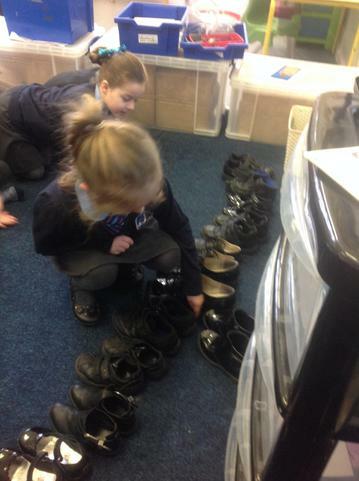 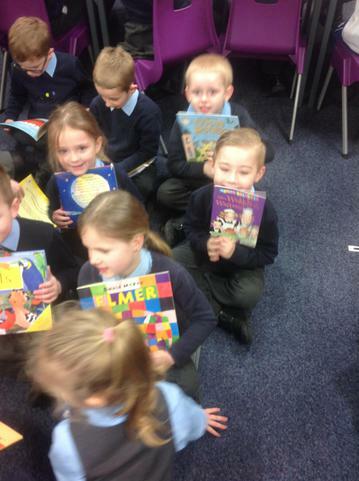 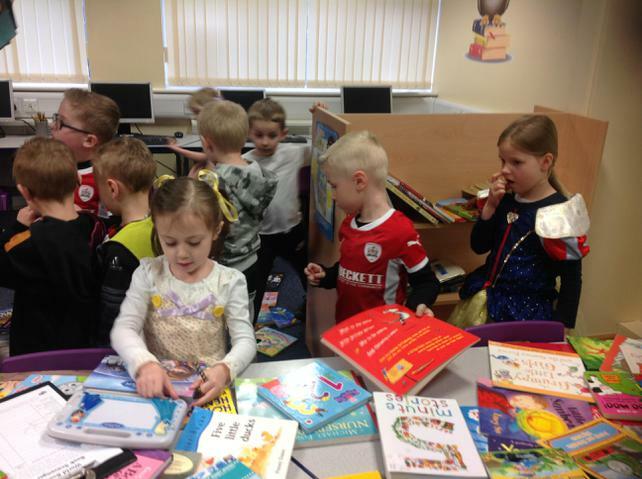 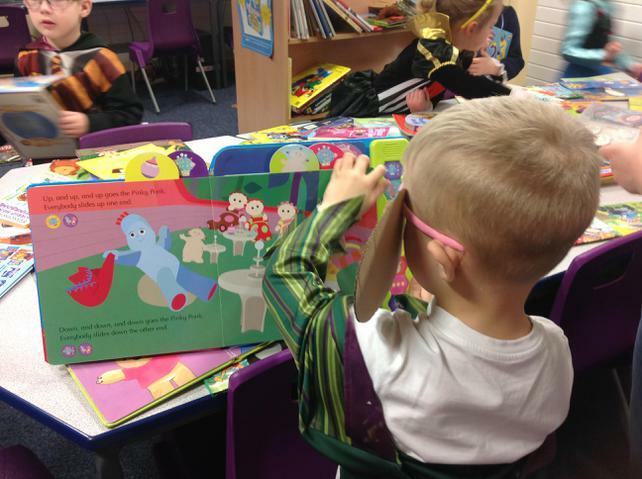 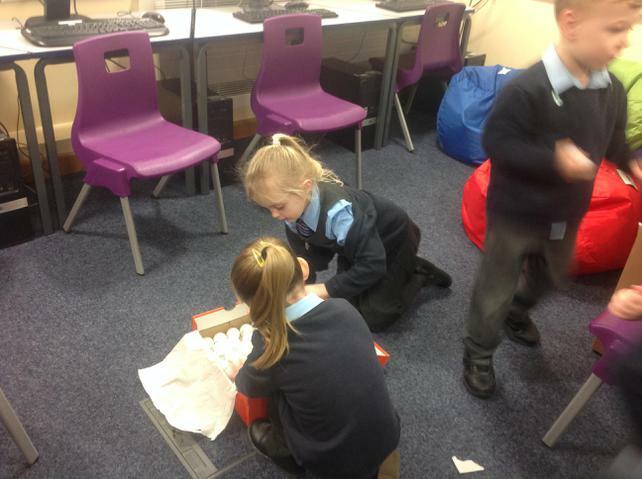 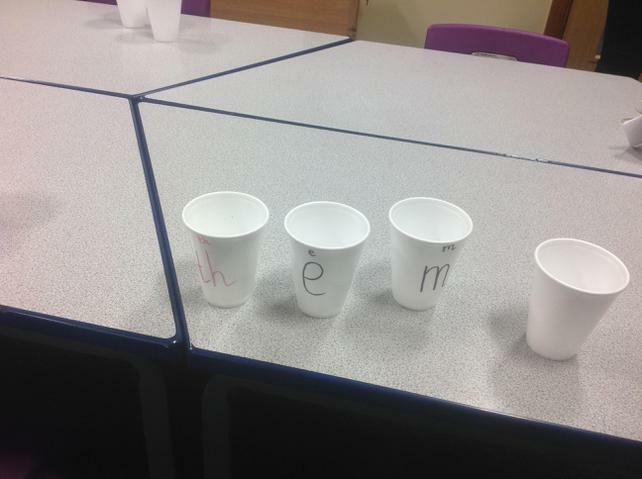 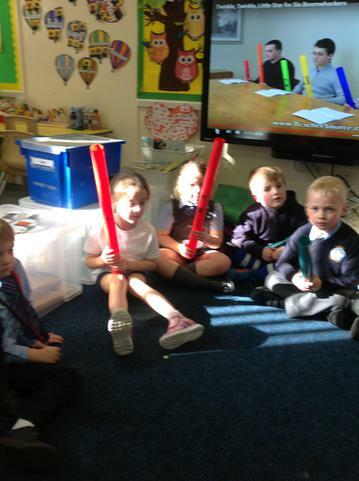 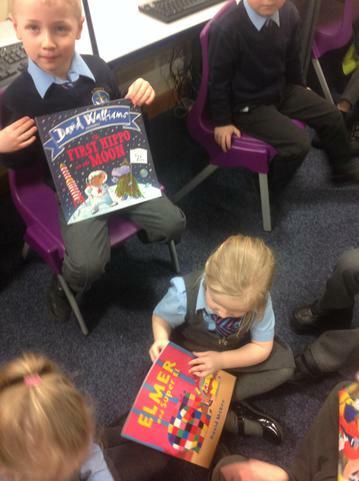 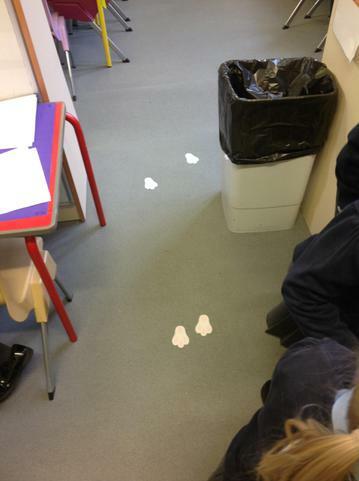 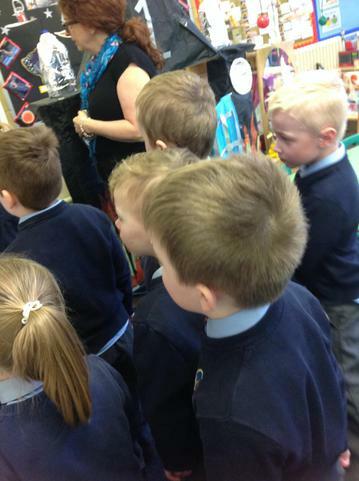 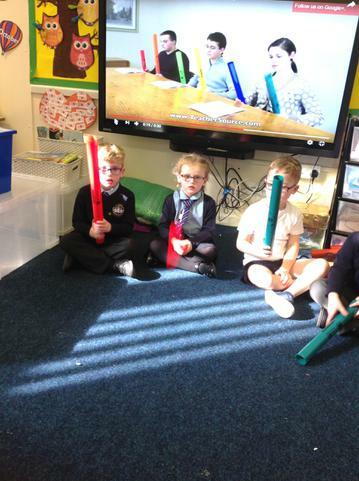 Class 1 came back excited for the new Topic (Moon Zoom). 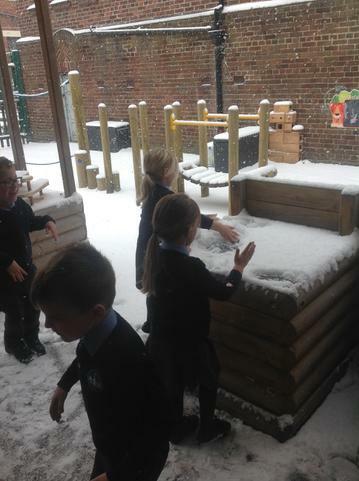 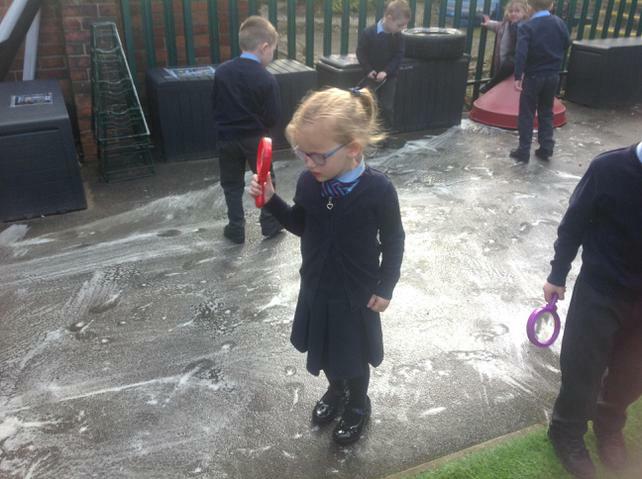 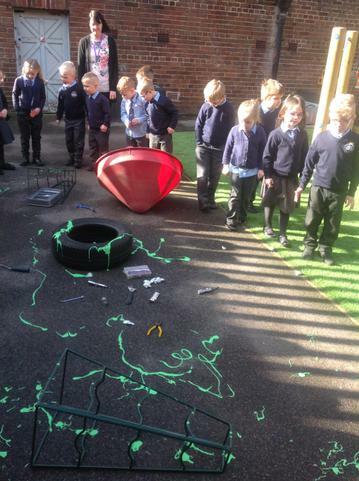 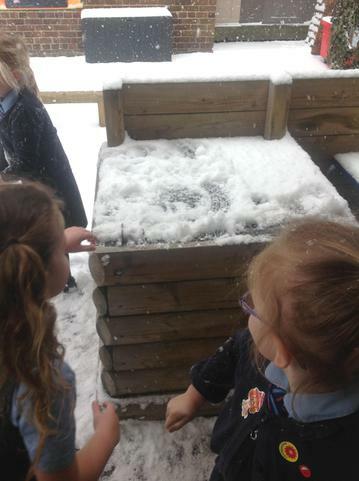 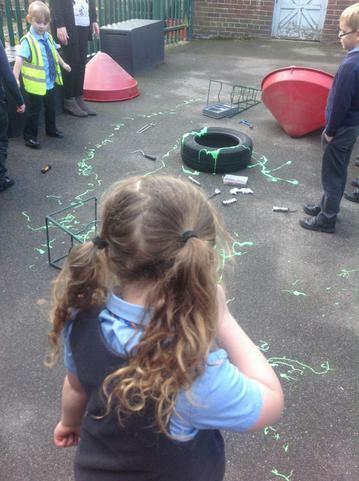 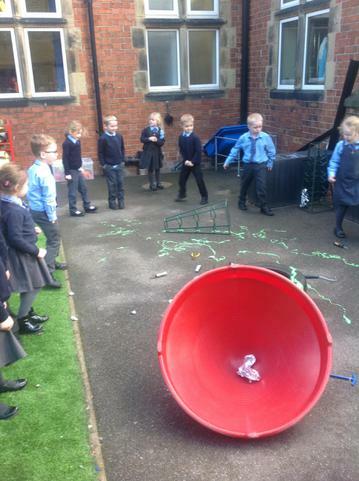 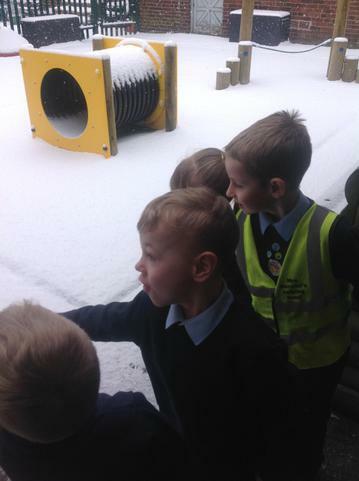 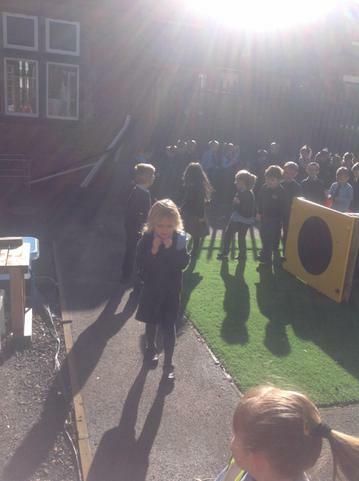 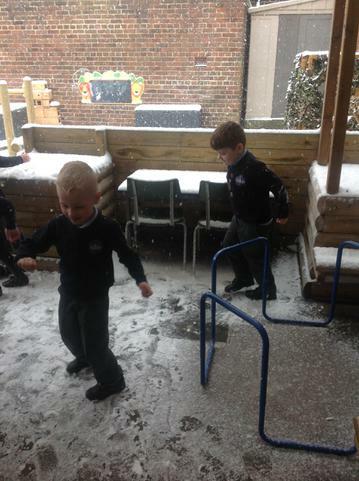 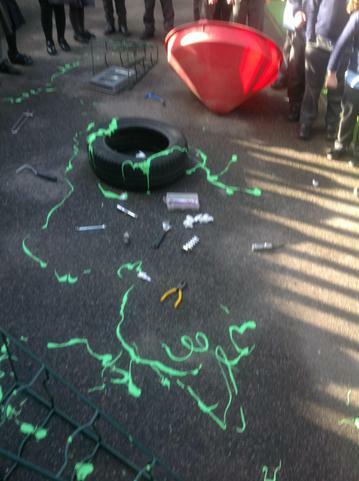 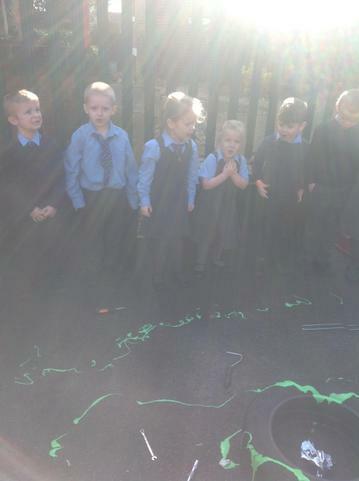 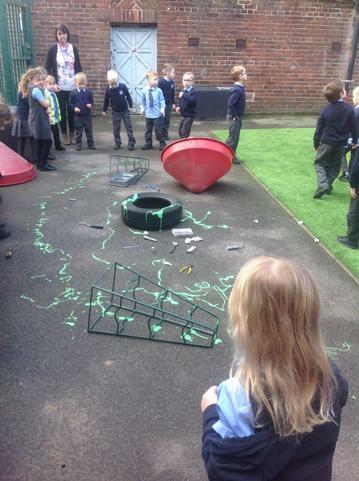 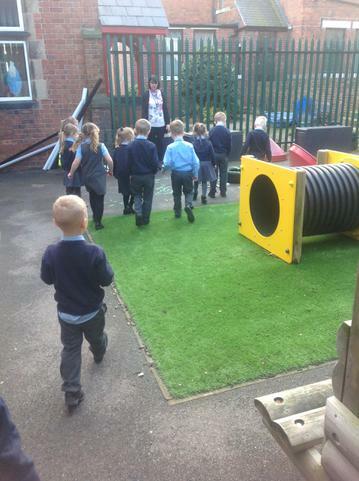 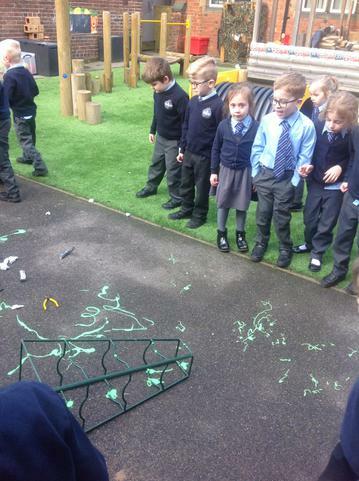 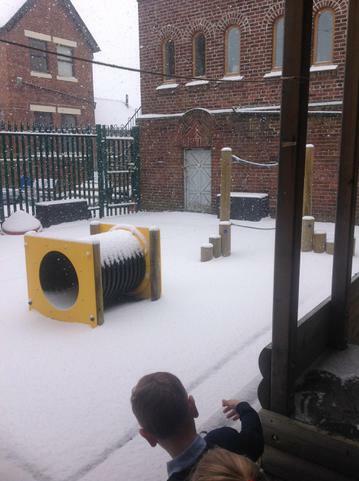 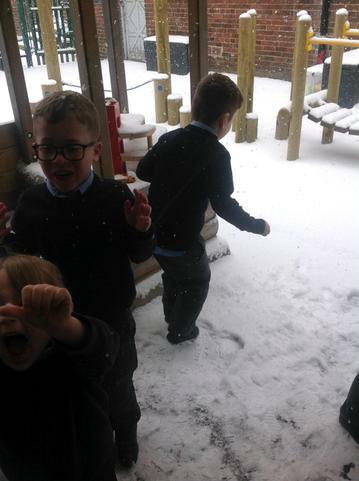 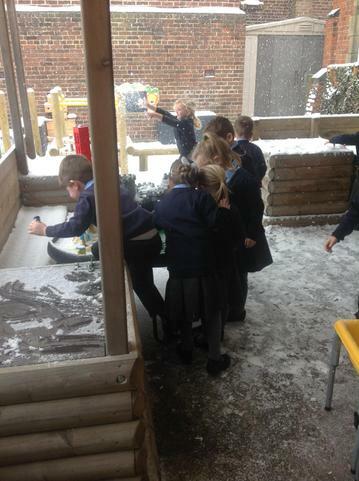 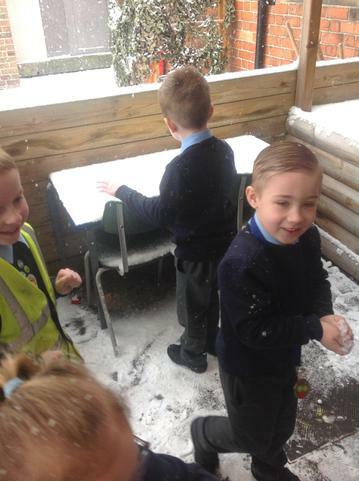 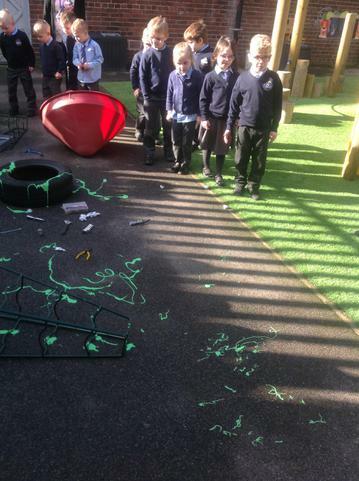 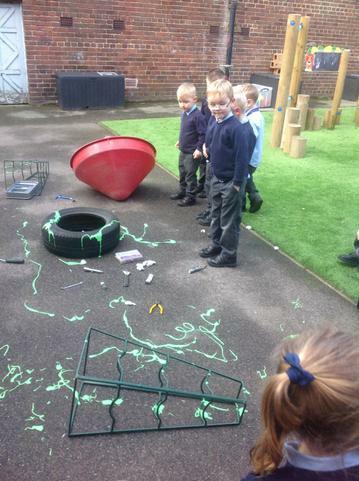 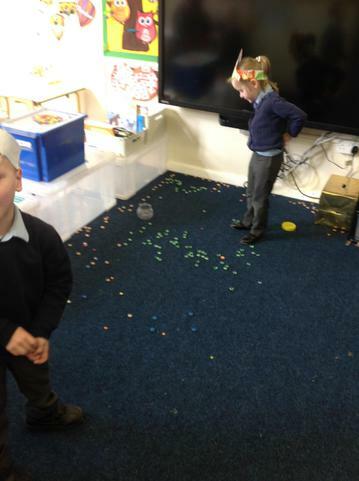 A strange thing happened in our outdoor play area. 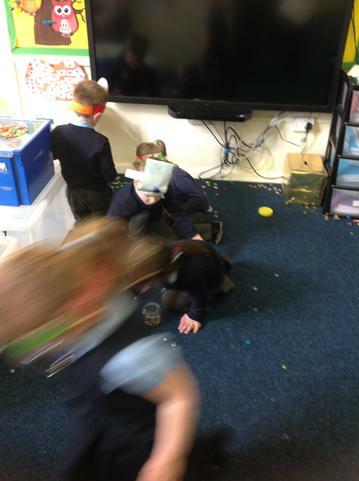 Something crashed! 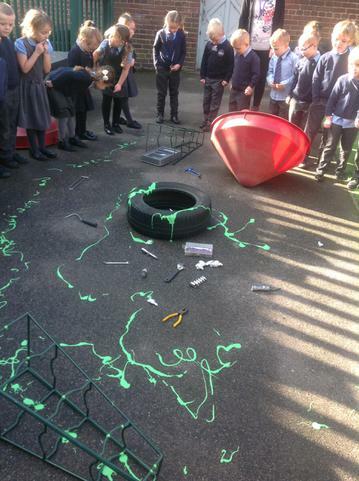 We found green slime and some metal objects. 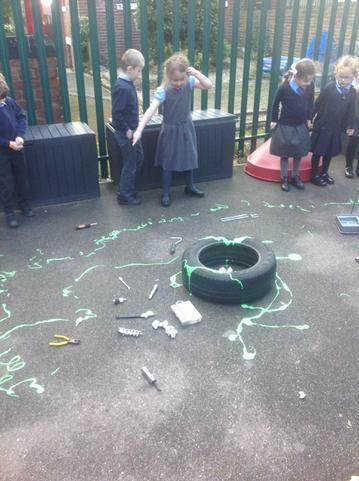 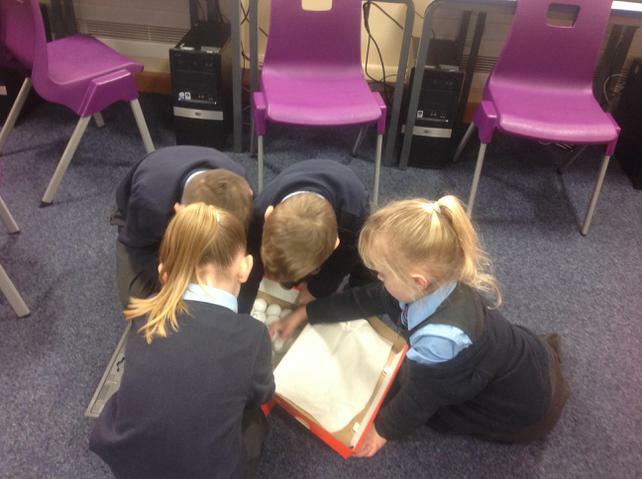 We discussed what we thought might have crashed and what we will do to investigate. 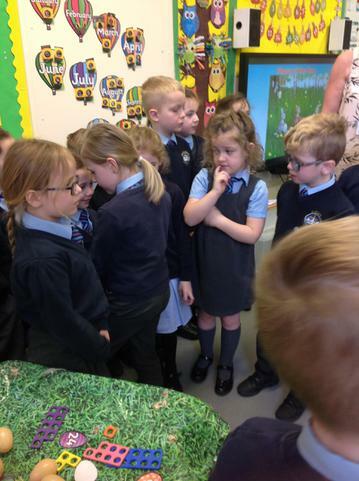 We concluded that whatever it was, it must be friendly and wants to learn about our school.